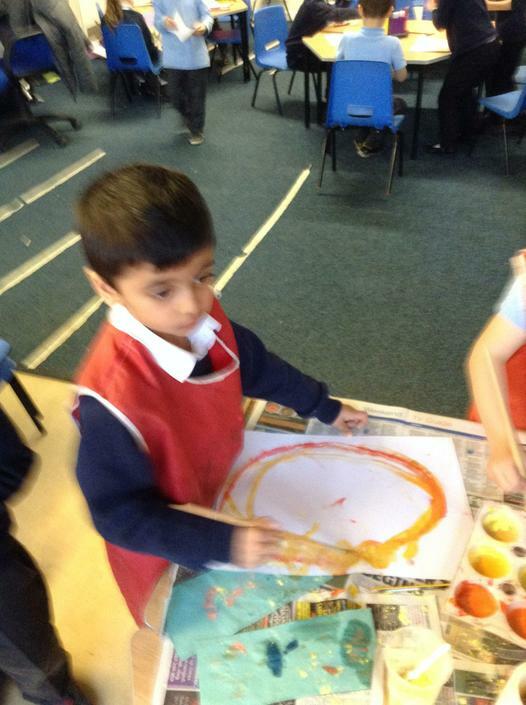 What a great half term we have had in Anansi class. 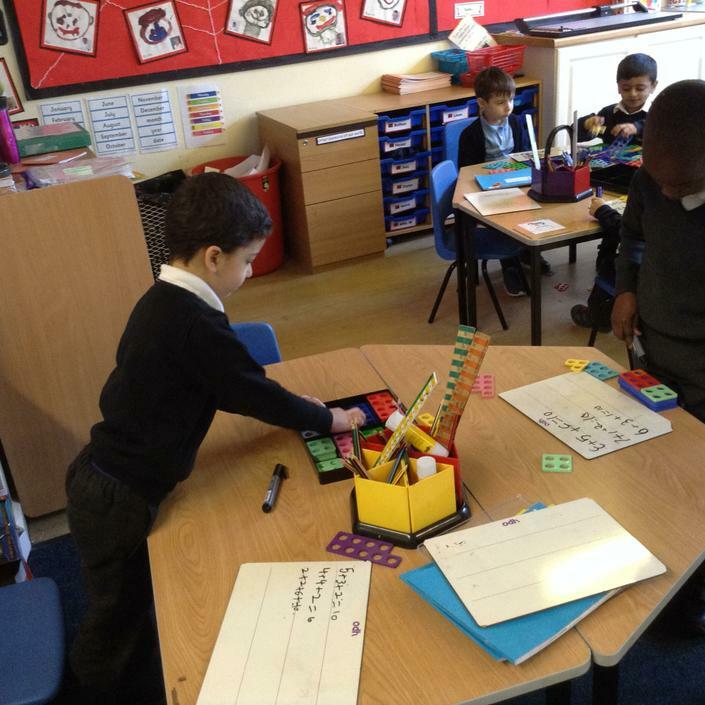 This week we introduced a new concept which is bar modelling. 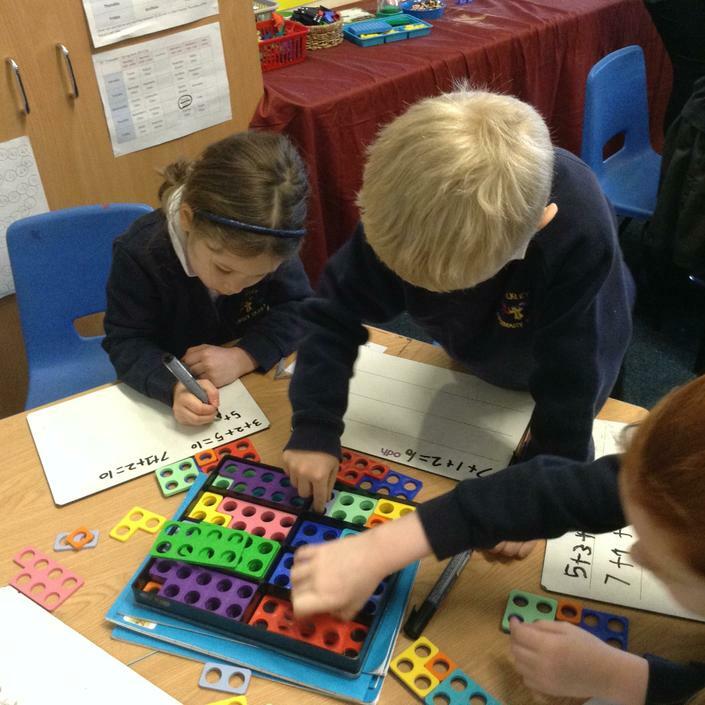 This really helps the children visualise maths problems. 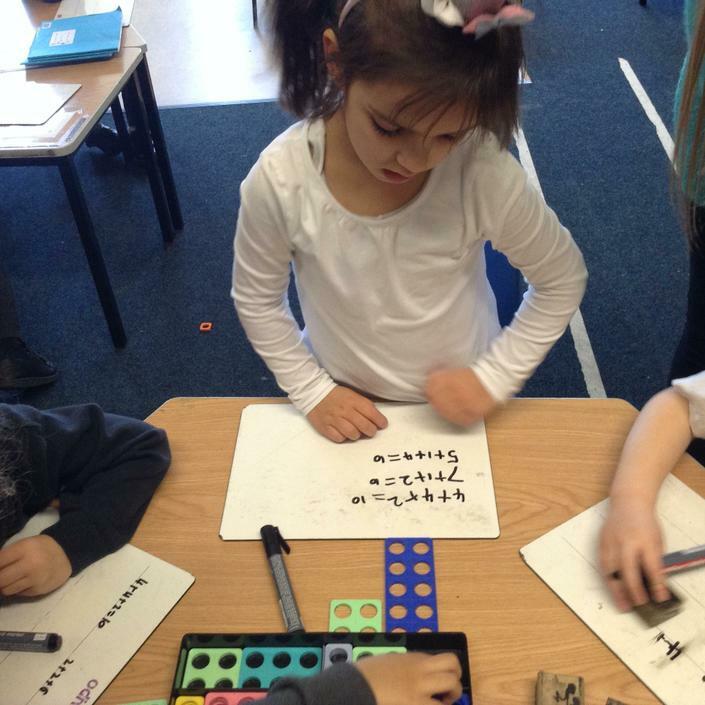 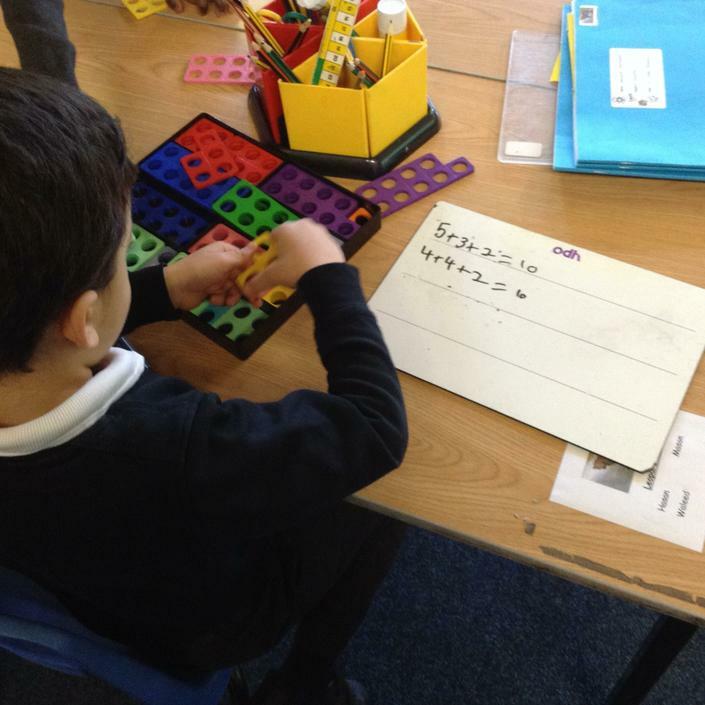 The children have really worked on understanding it and have used it well to write number sentences. 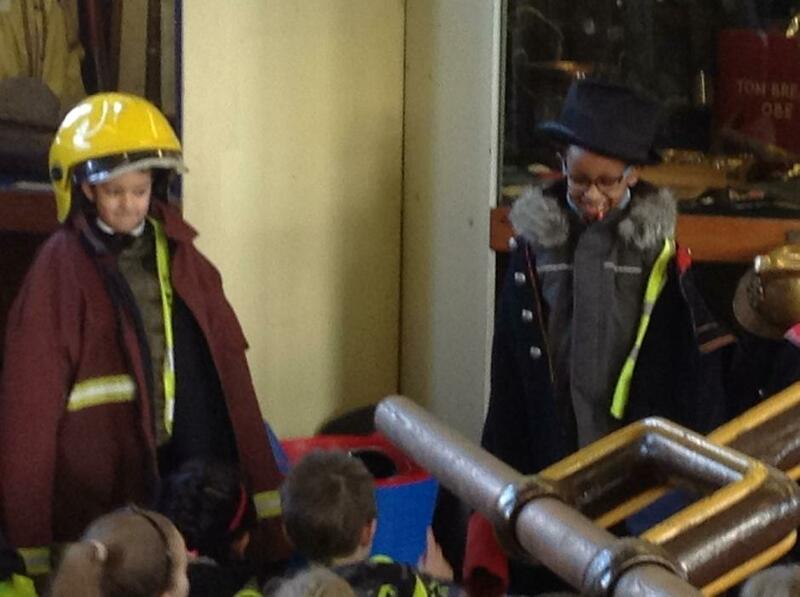 Through this half term we have been working towards our writing a newspaper report on the fire that happened in London. 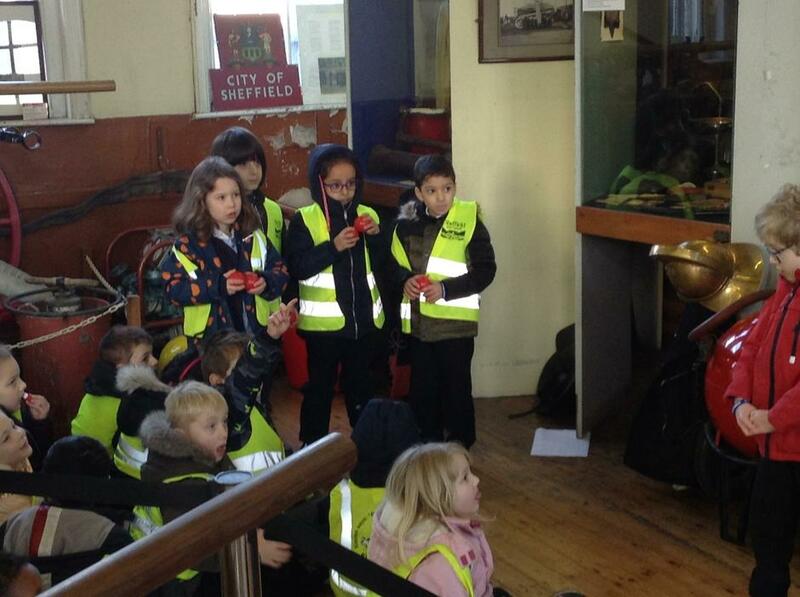 We discussed what a newspaper was and what to include in a report. 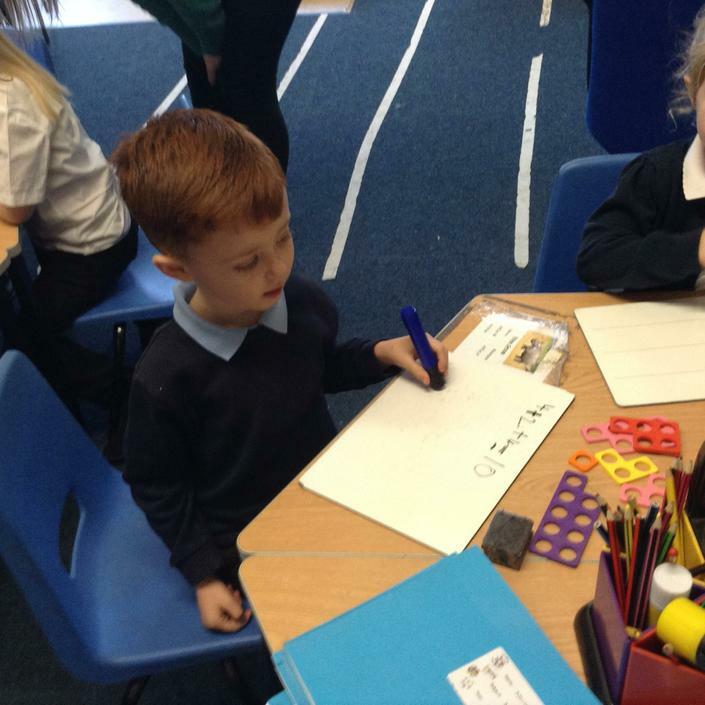 After the first draft we edited our writing to a high standard. 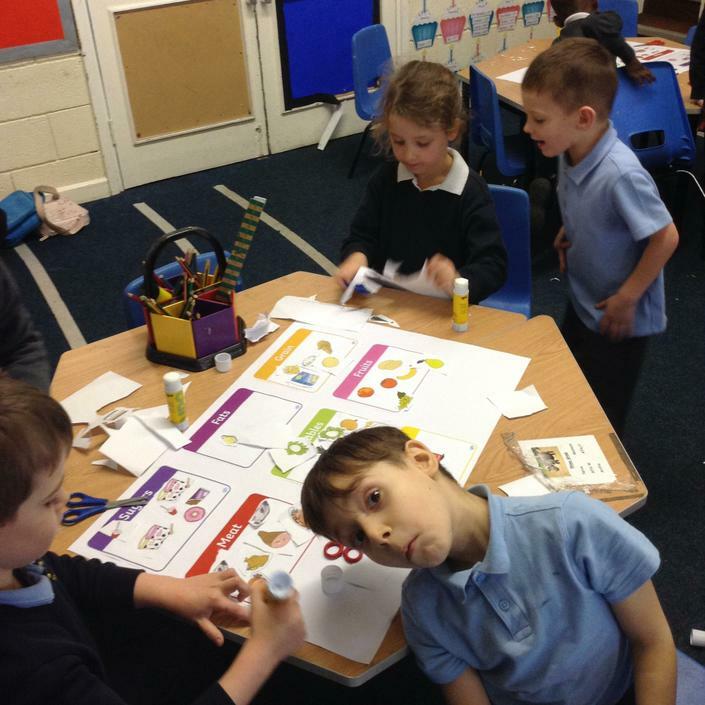 In the last week we have completed all our final drafts and they all look fantastic. 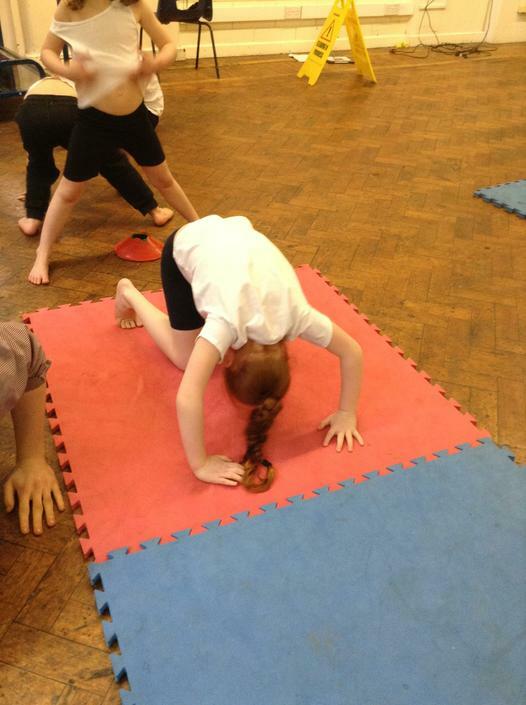 Also in this final week we have finished gymnastics in P.E and we will be moving onto dance next term with Amy from Dazzle Dance. 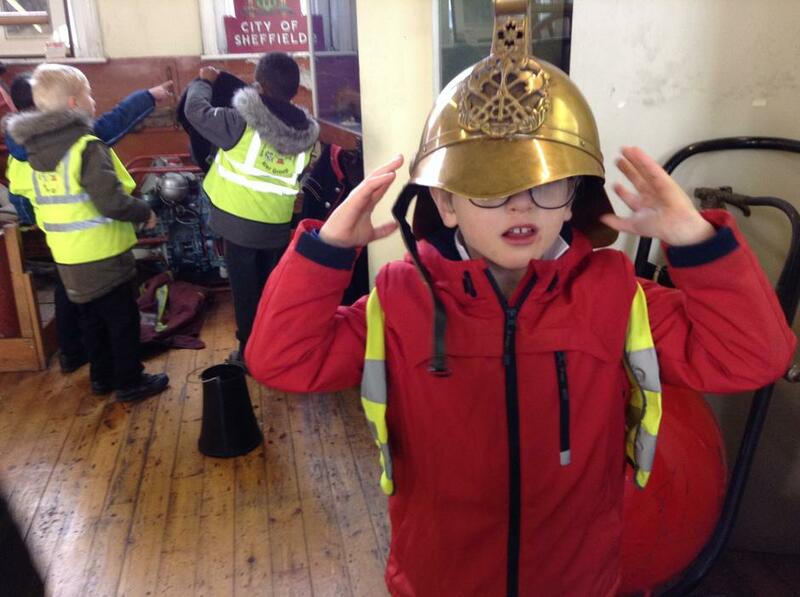 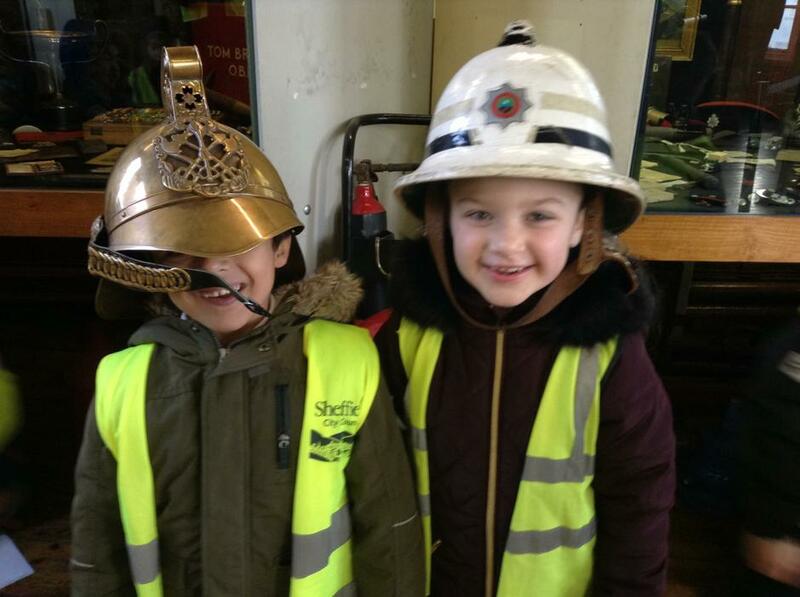 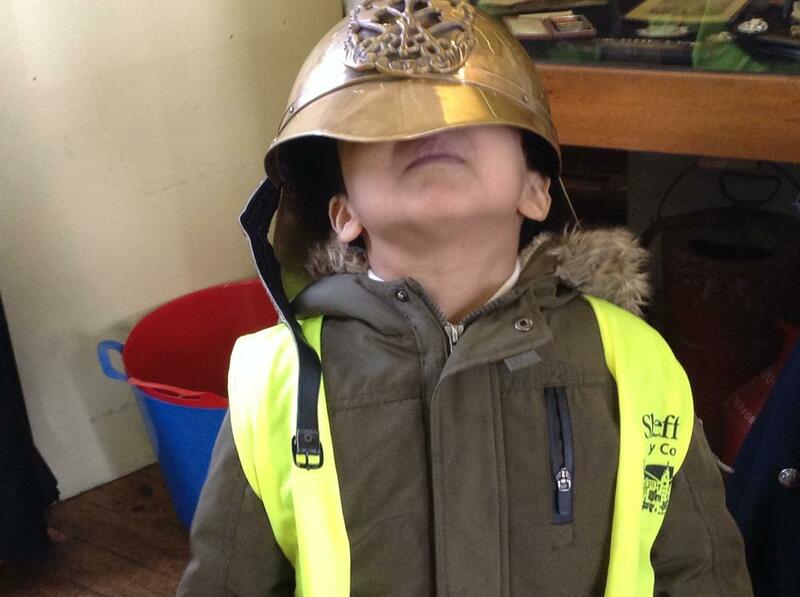 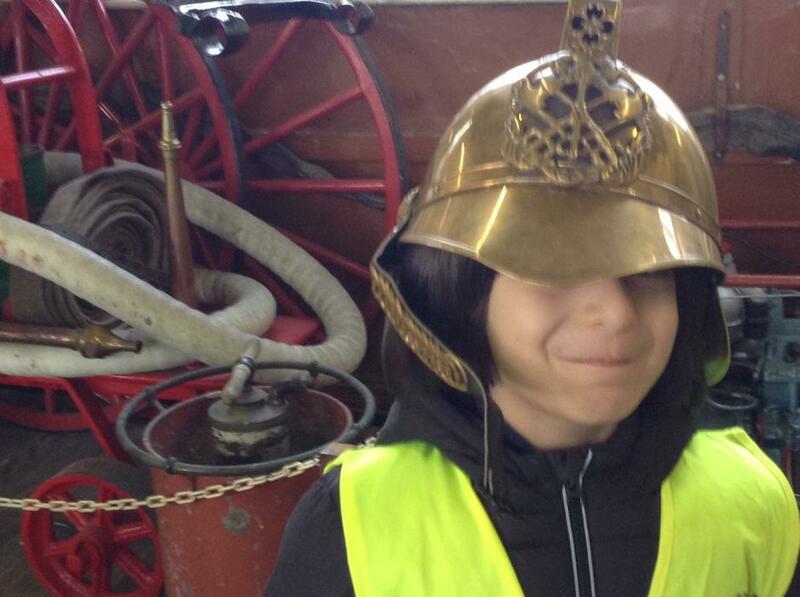 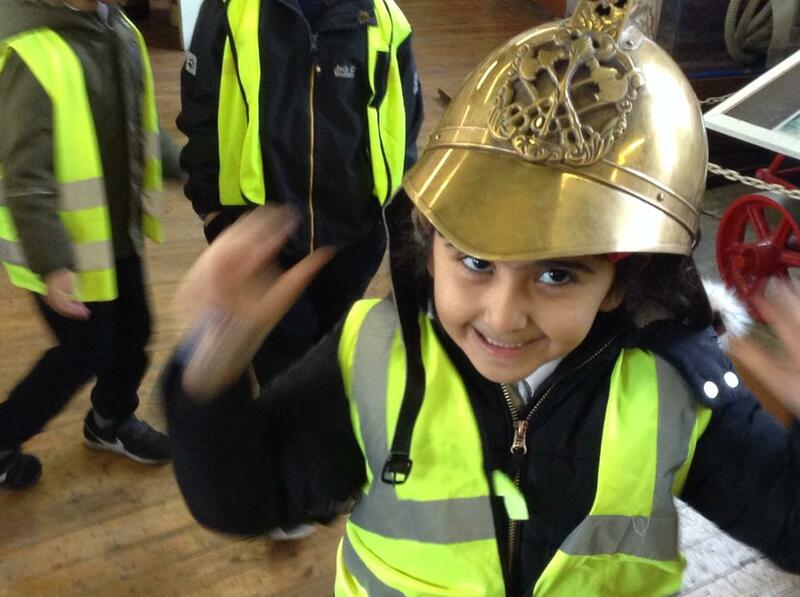 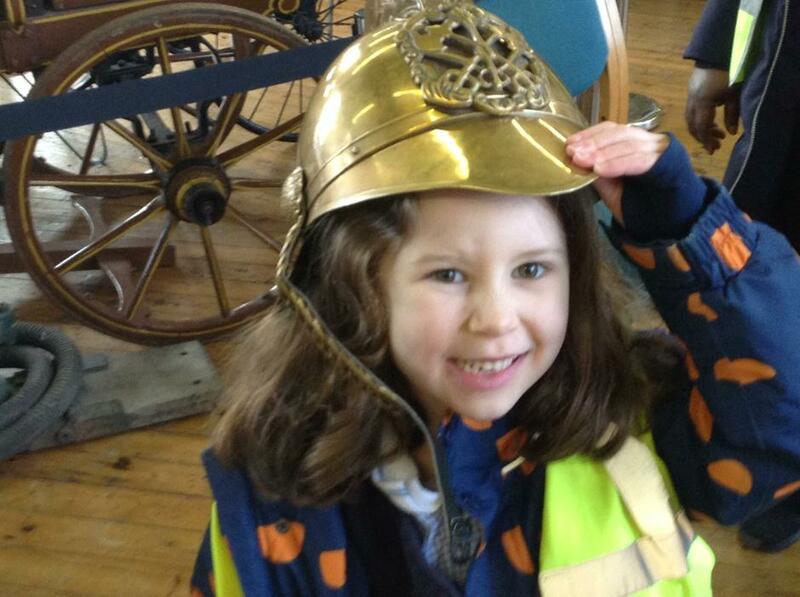 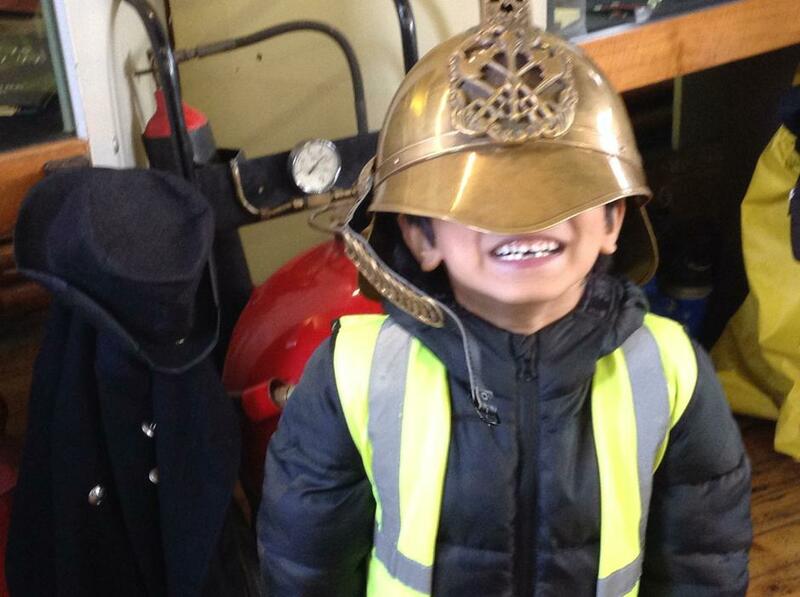 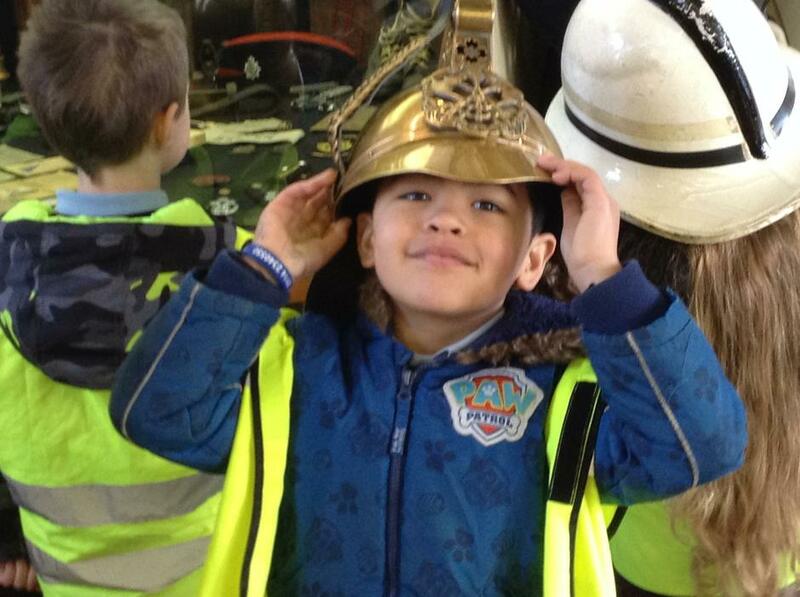 It has been a great half term, next half we will still be continuing with our theme The Great Fire of London. 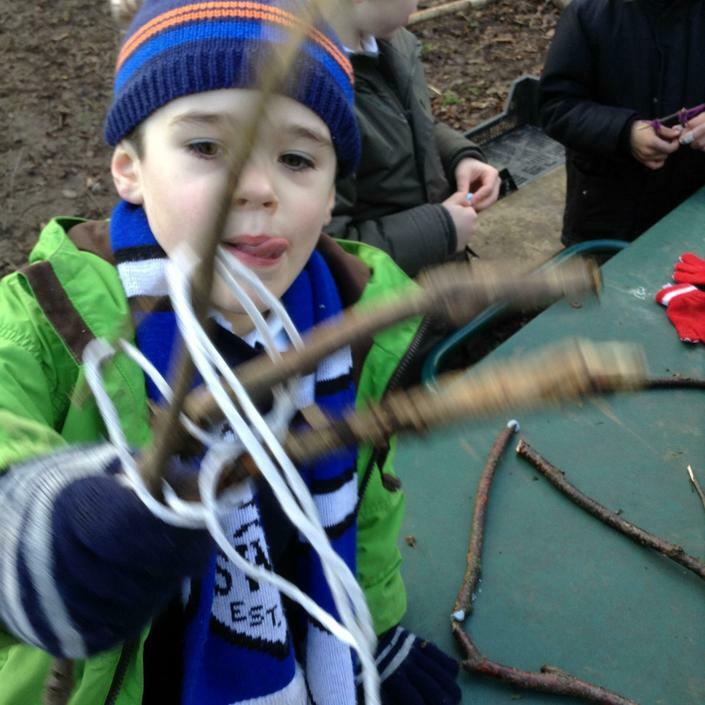 Have a lovely half term and we will see you in Spring 2 for another exciting half term of learning. 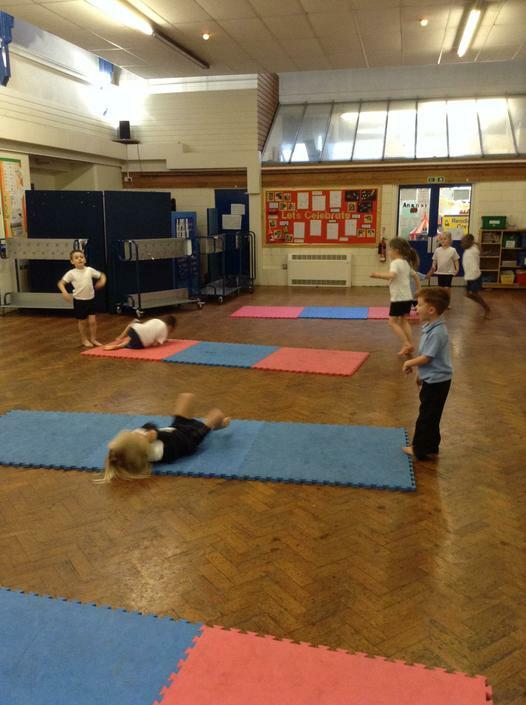 Today Amy led a Chinese dancing session with the Year 1. 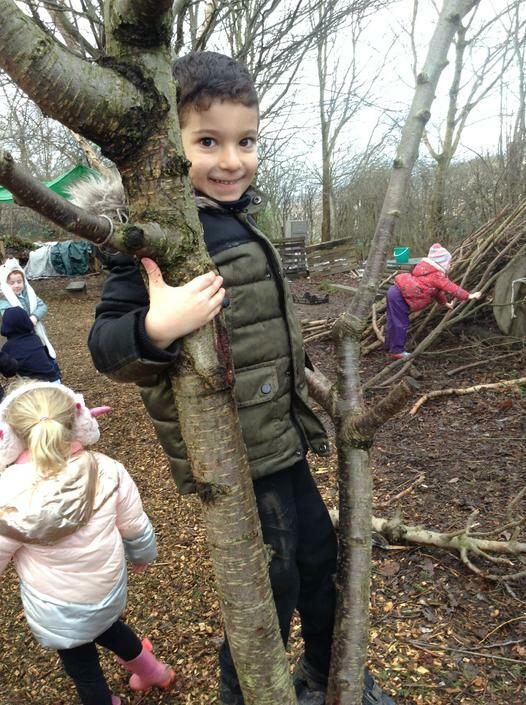 Take a look at the link below. 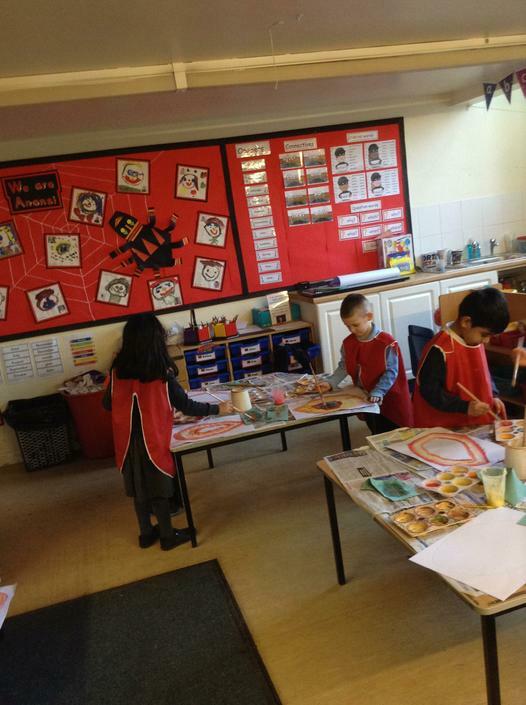 We have had a lovely week this week in Anansi. 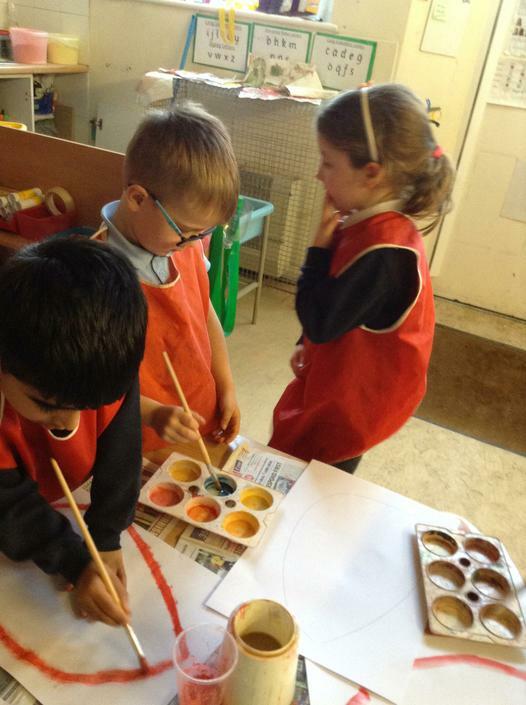 We have done some really interesting activities. 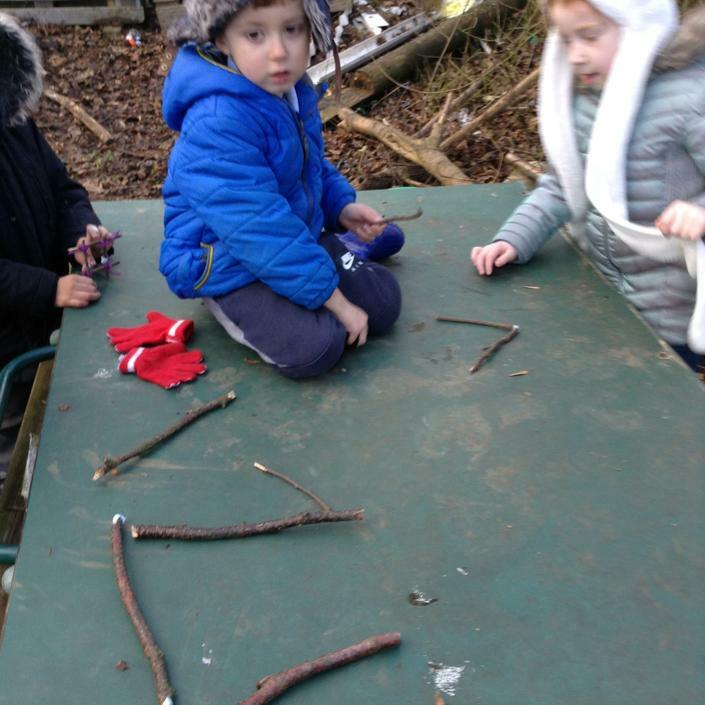 As our topic is The Great Fire of London we having been having ago at making some wooden houses out of sticks that we have collected from the forest. 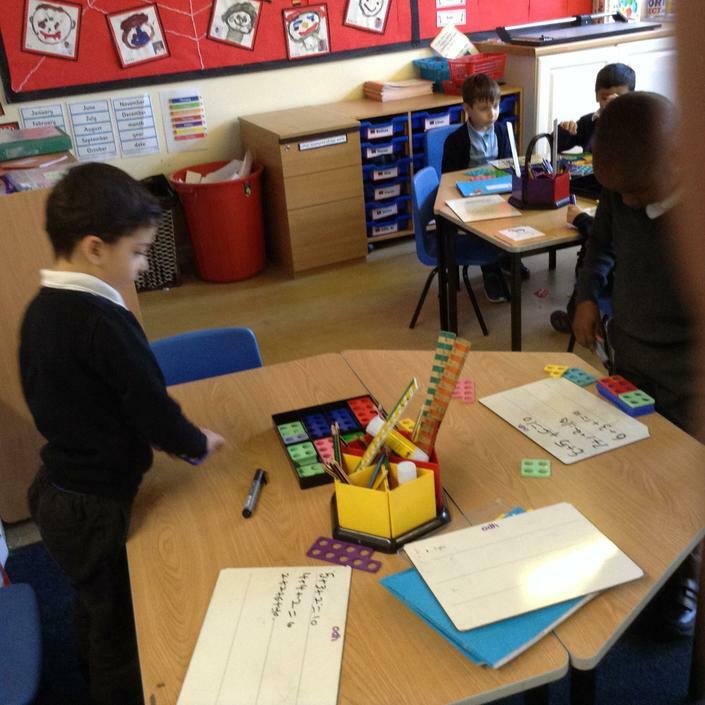 In the classroom, we talked about the shape of a house and how they are 3D. 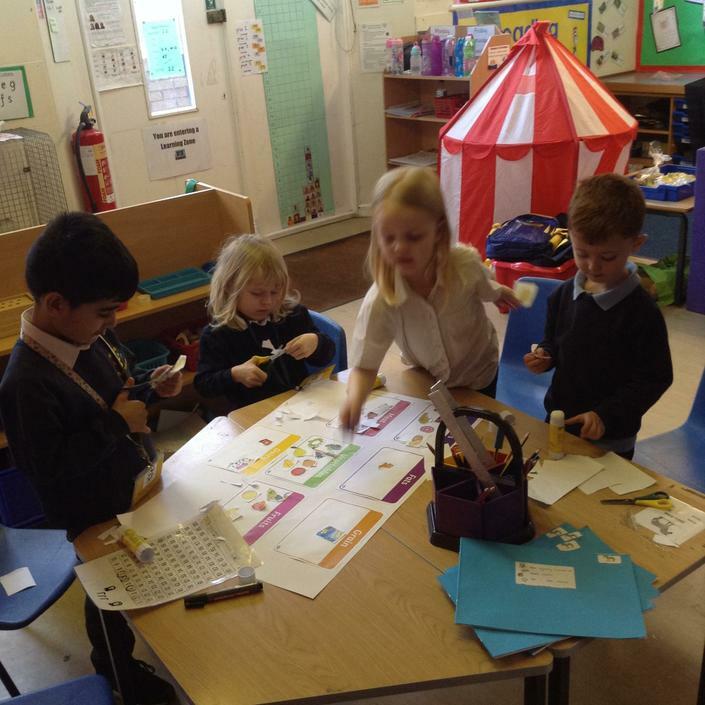 We used our knowledge of 3D shapes to work out that a house is a cube or cuboid shape. 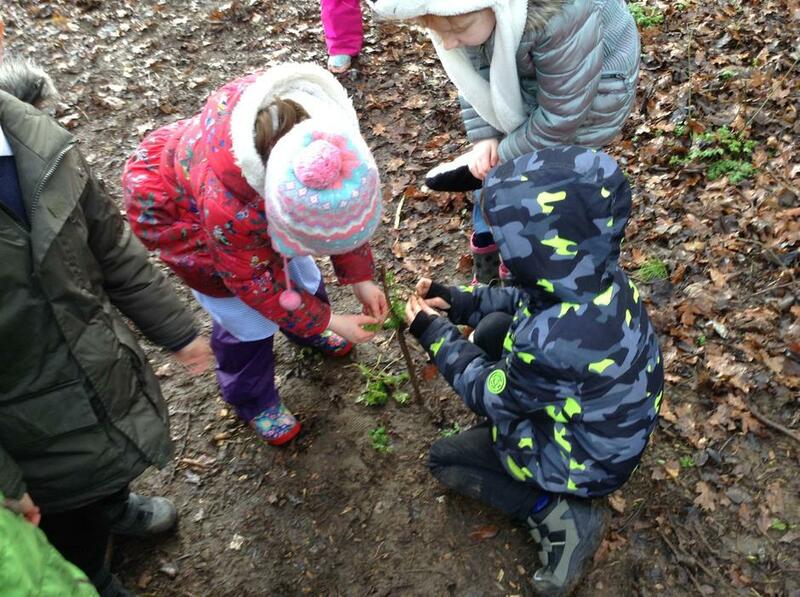 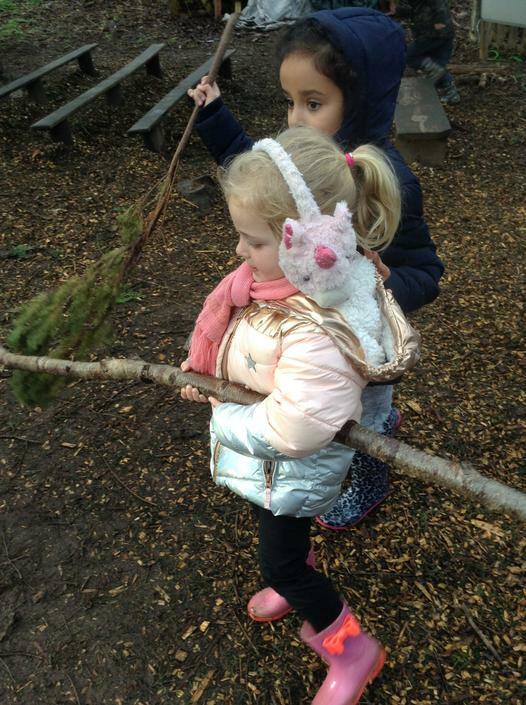 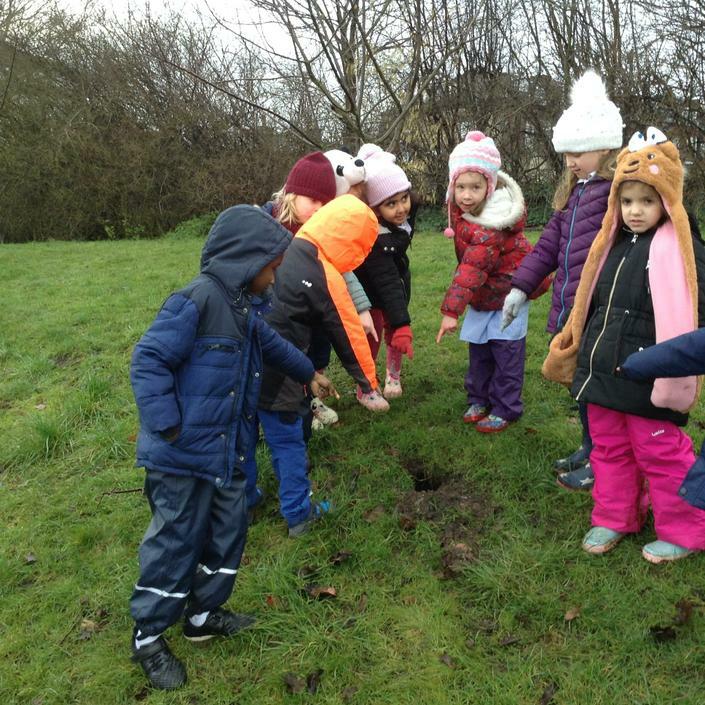 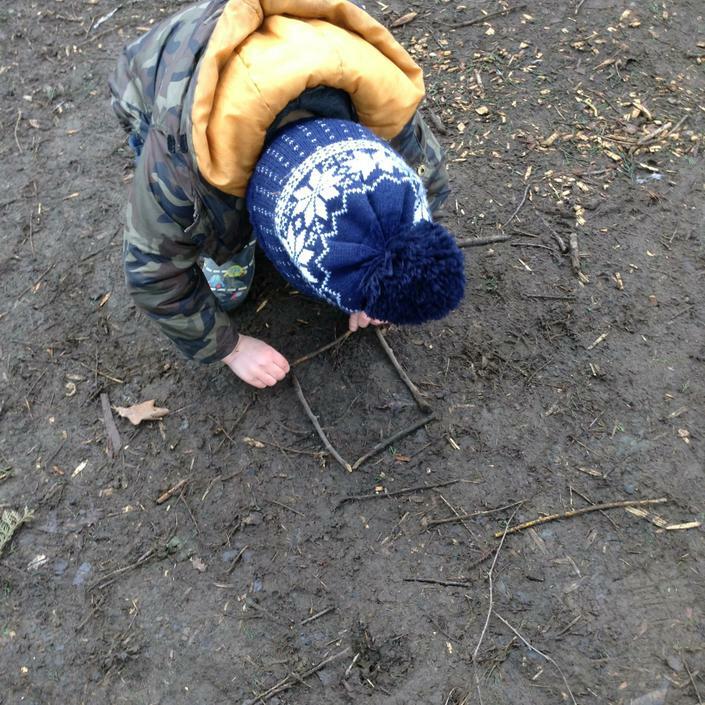 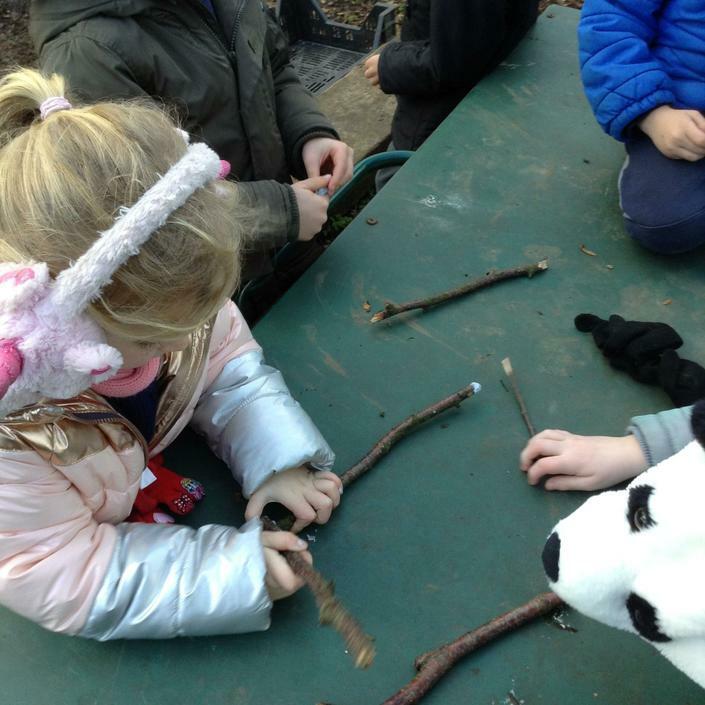 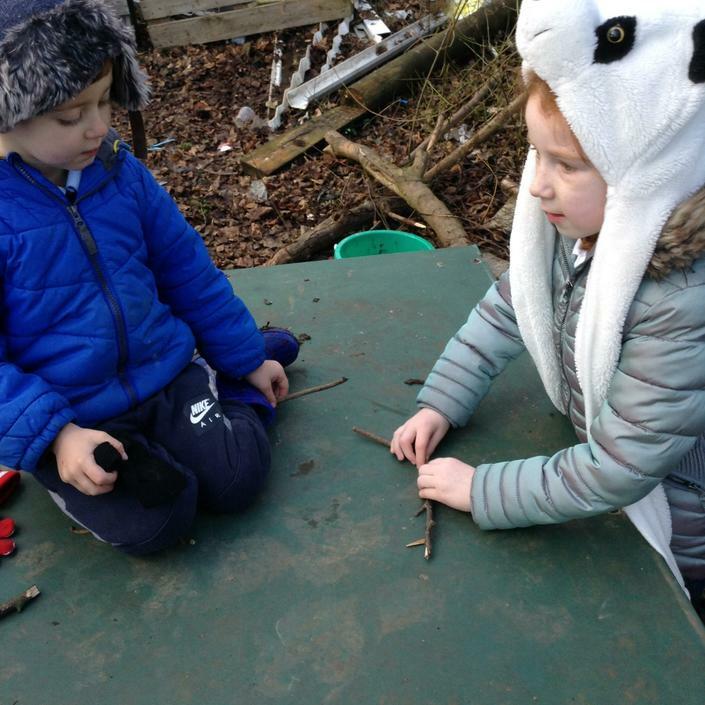 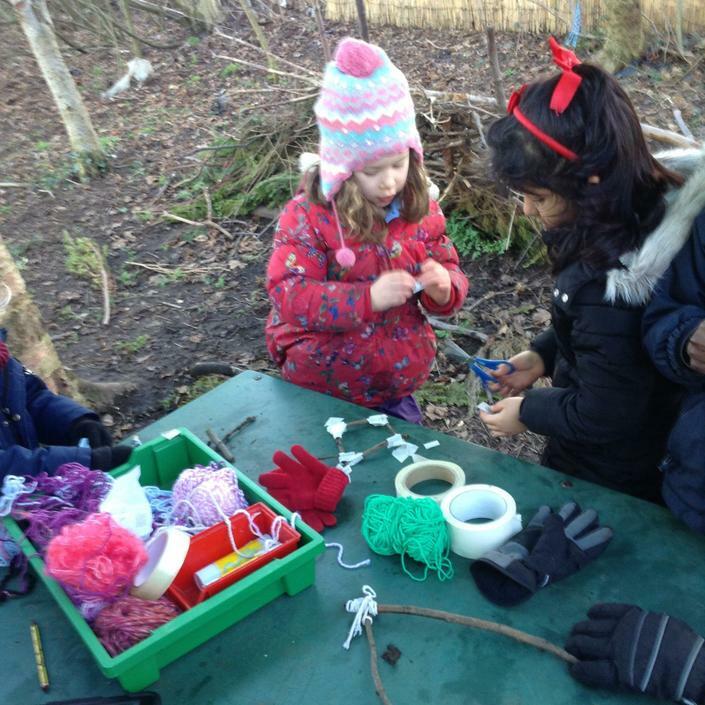 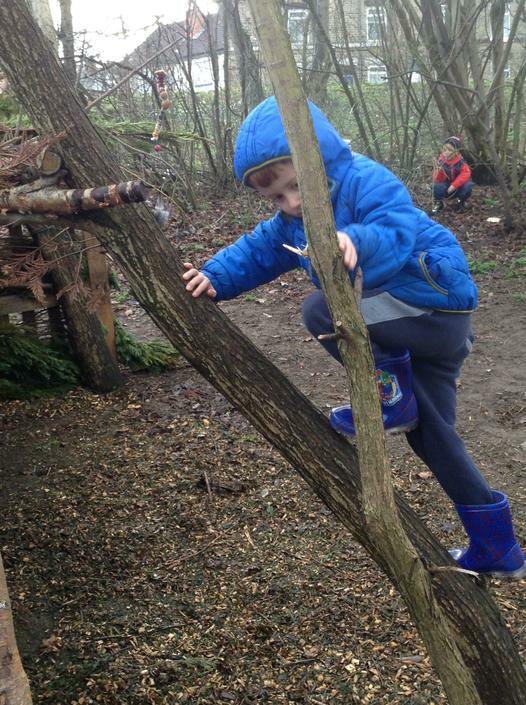 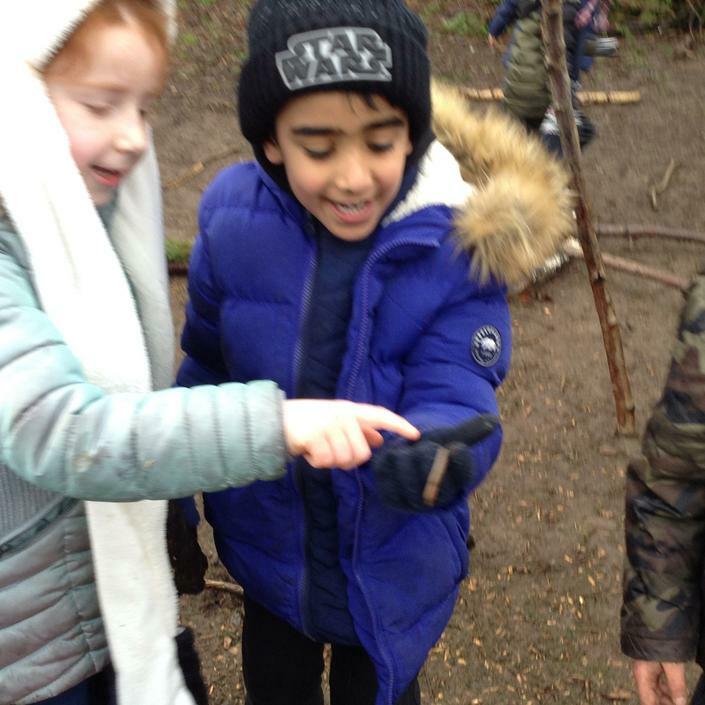 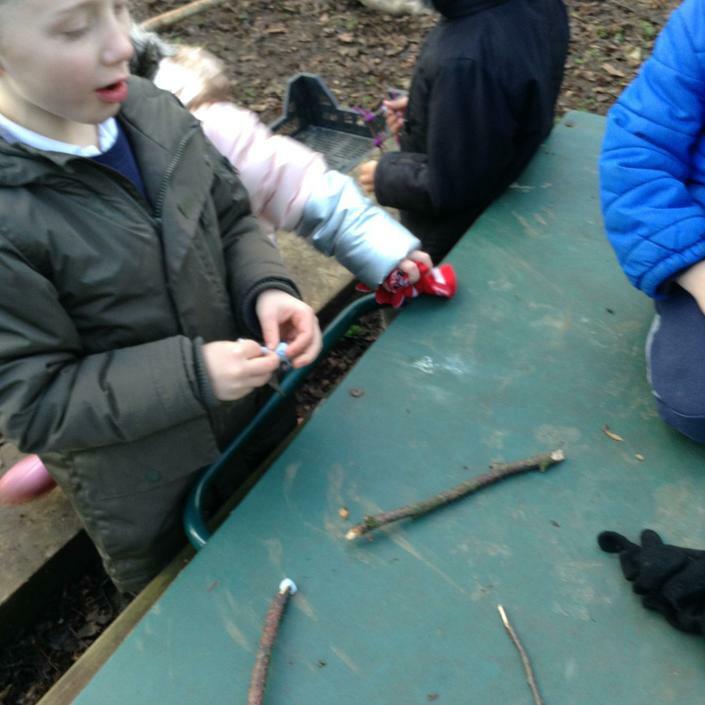 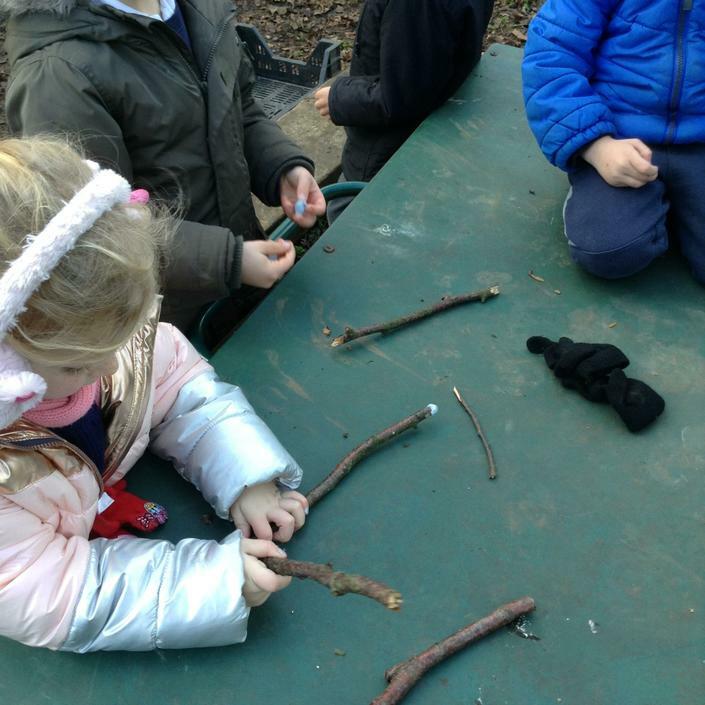 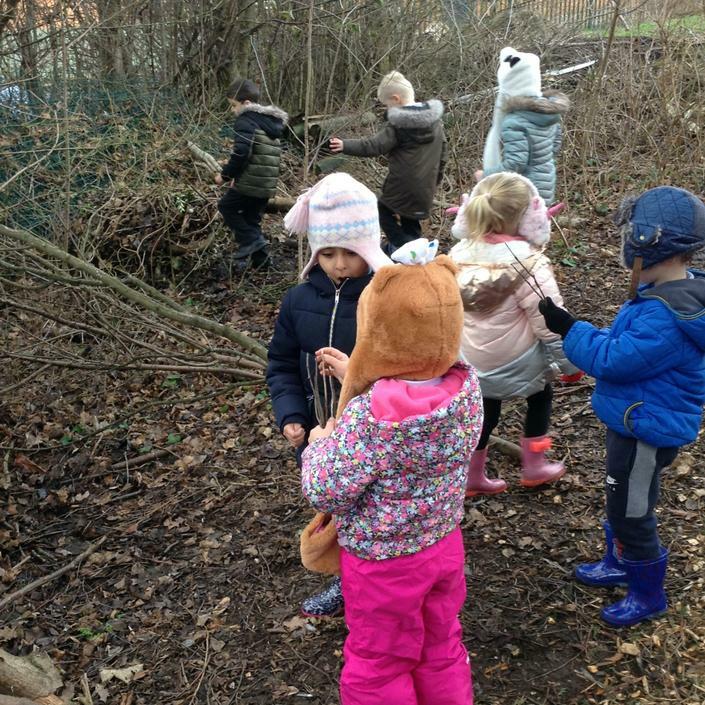 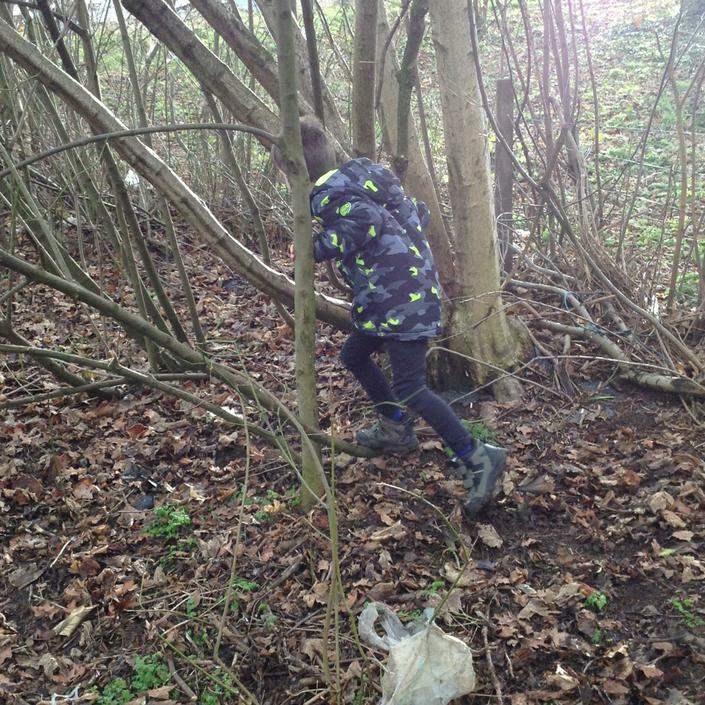 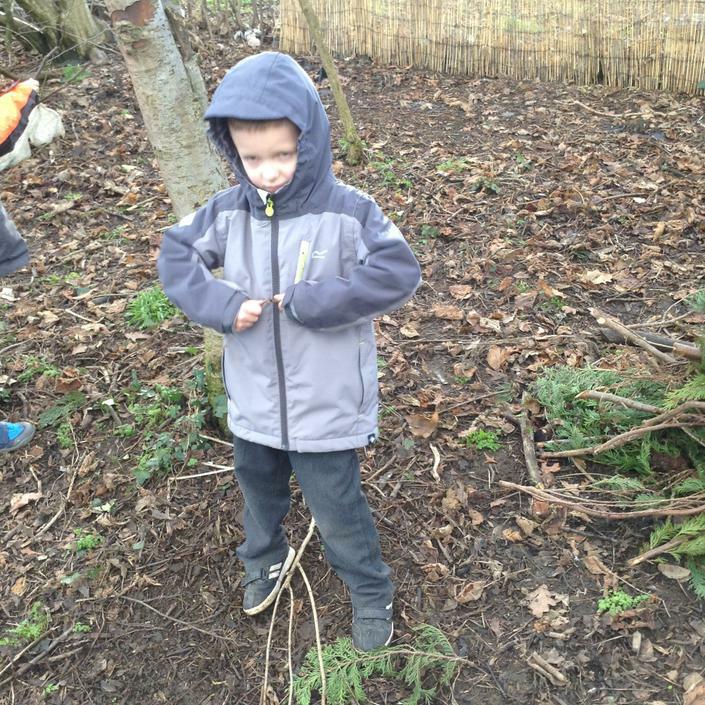 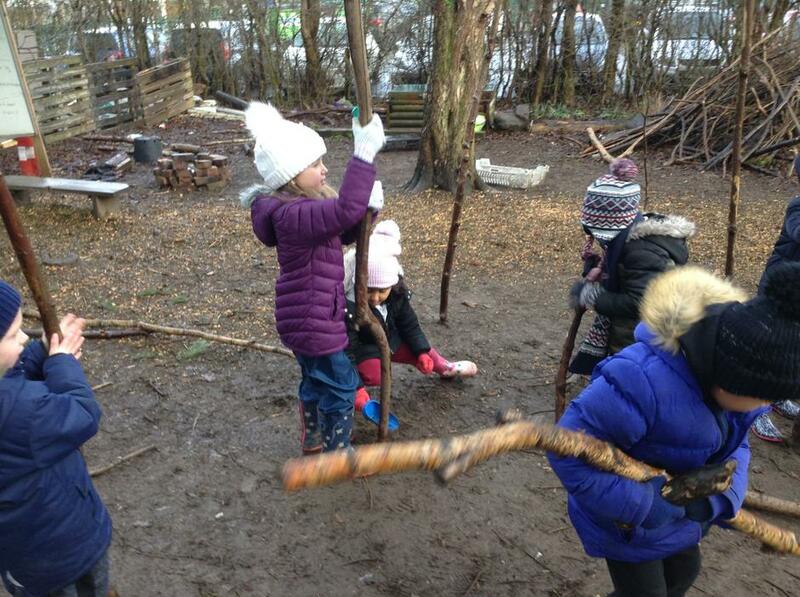 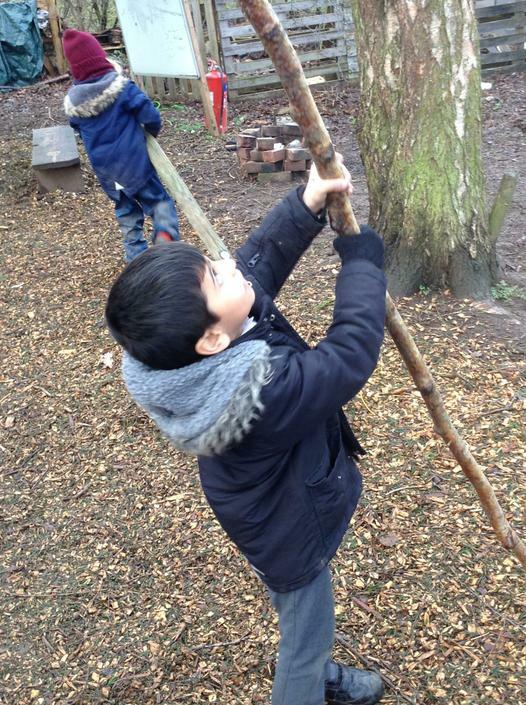 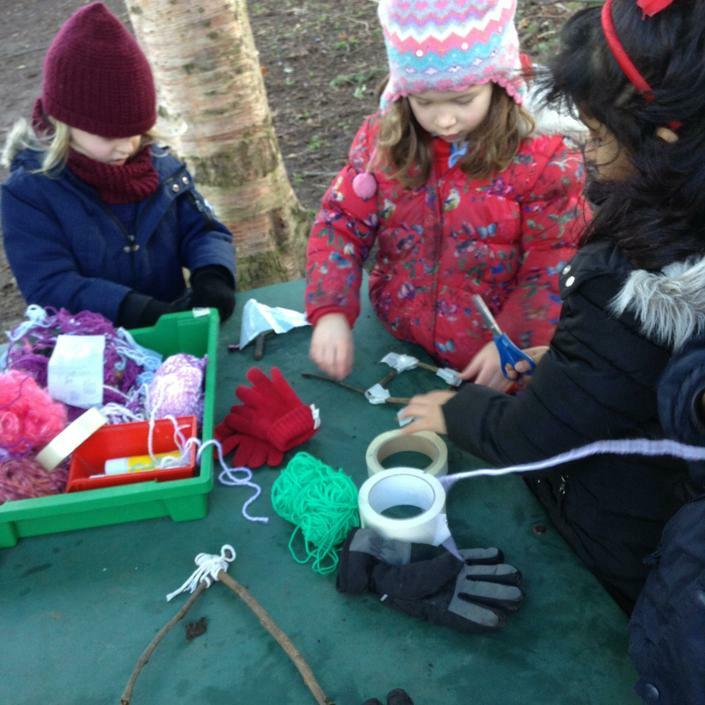 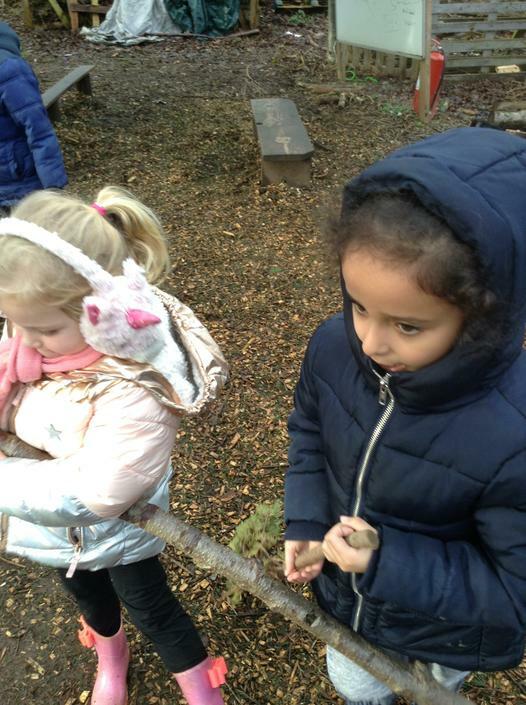 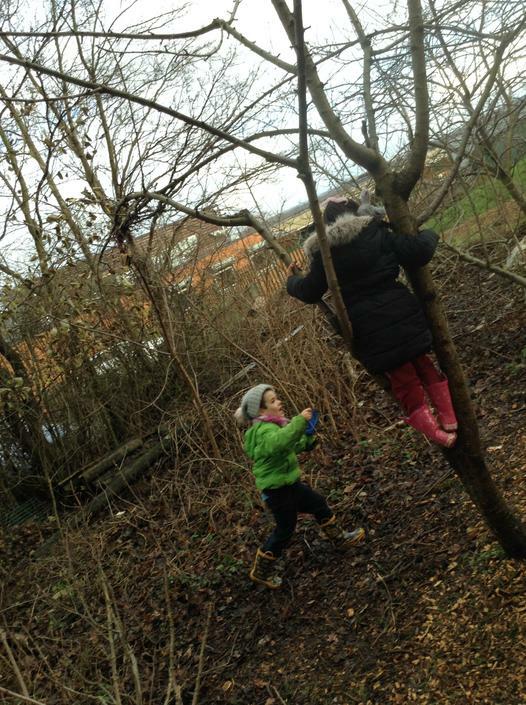 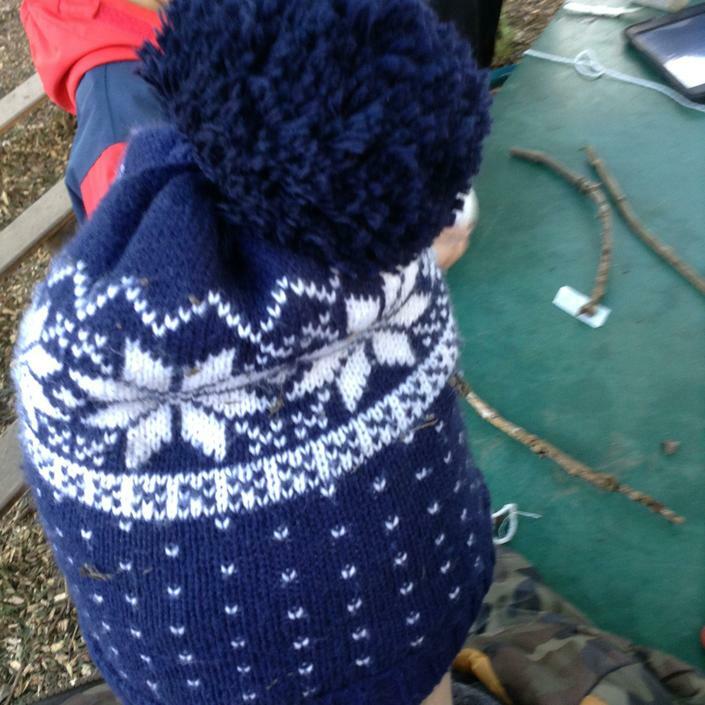 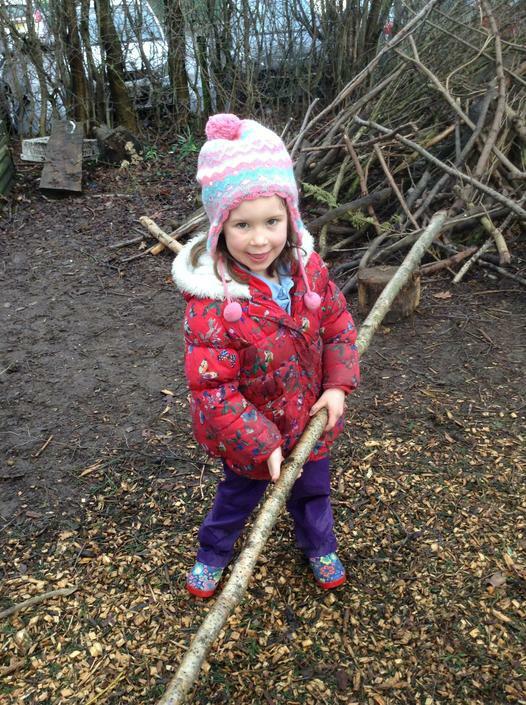 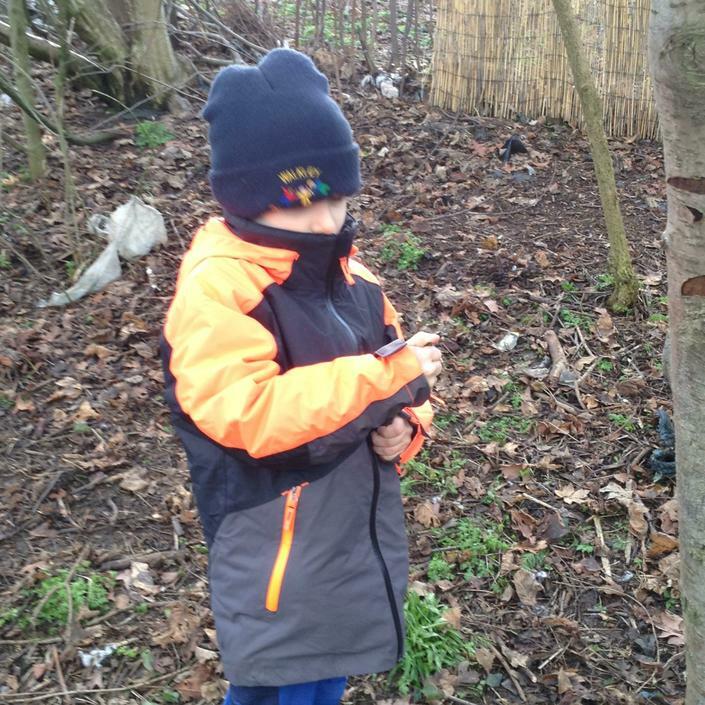 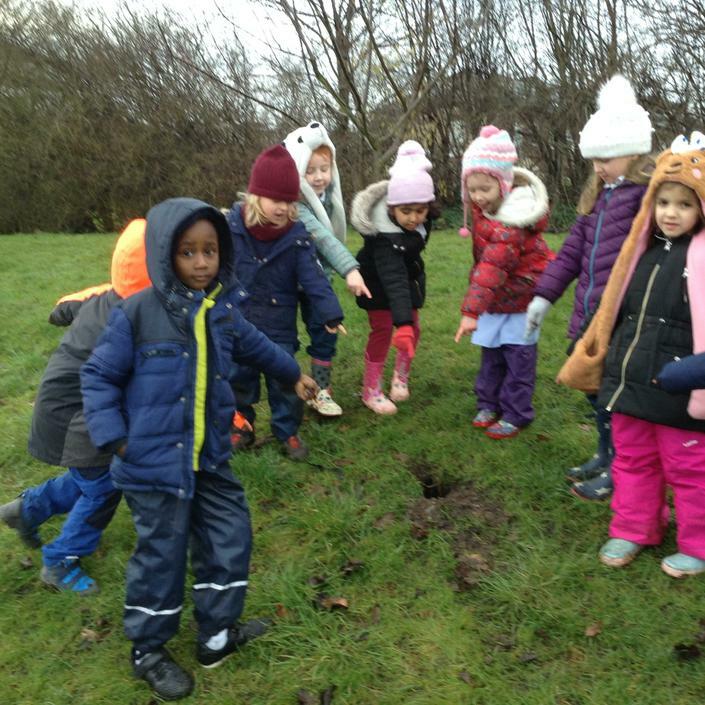 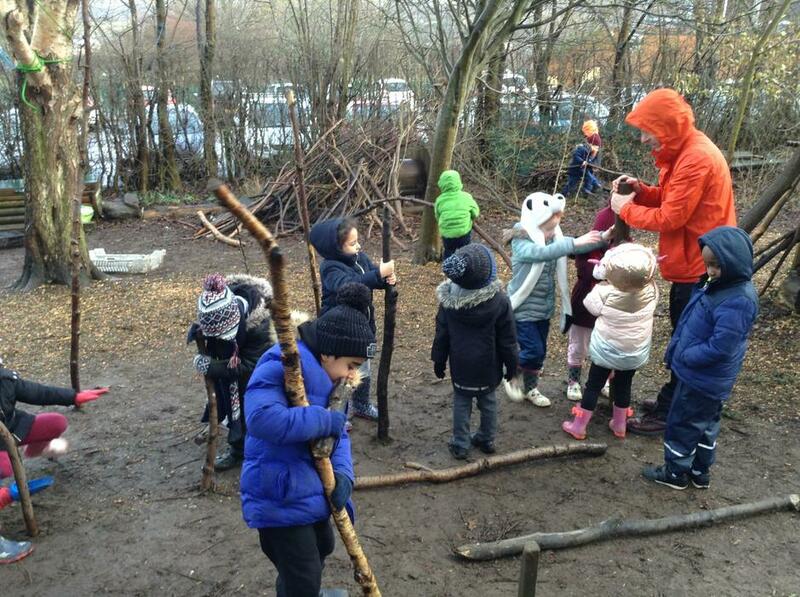 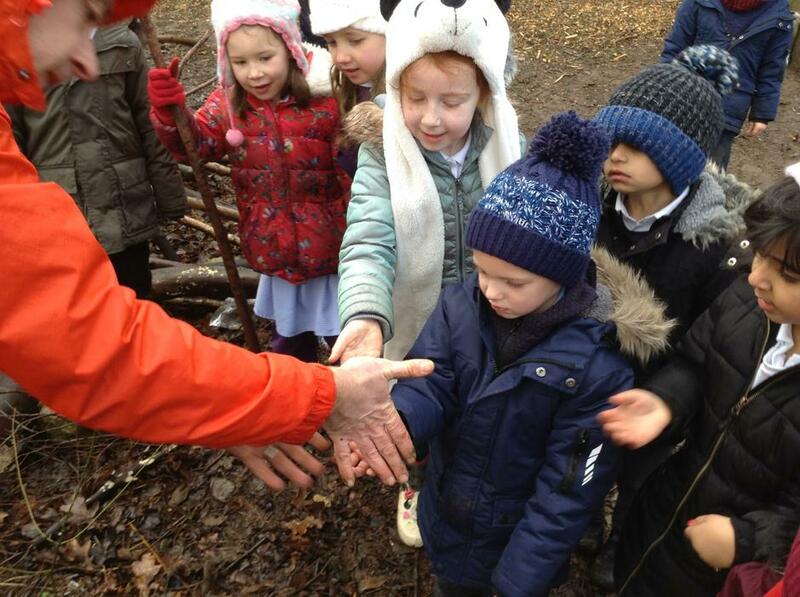 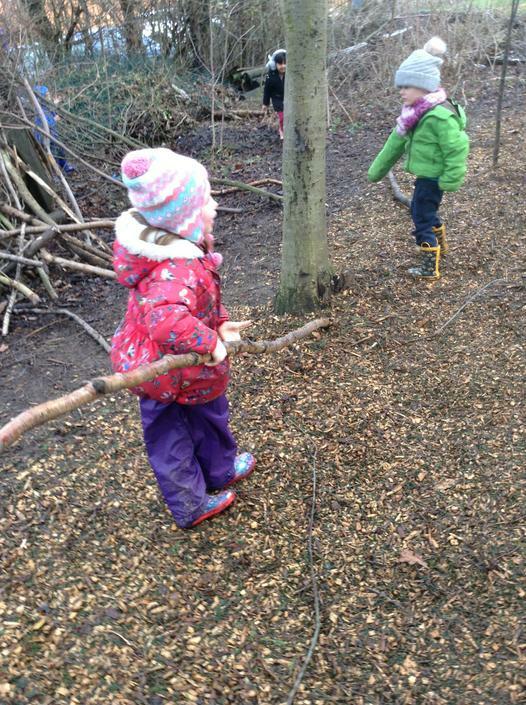 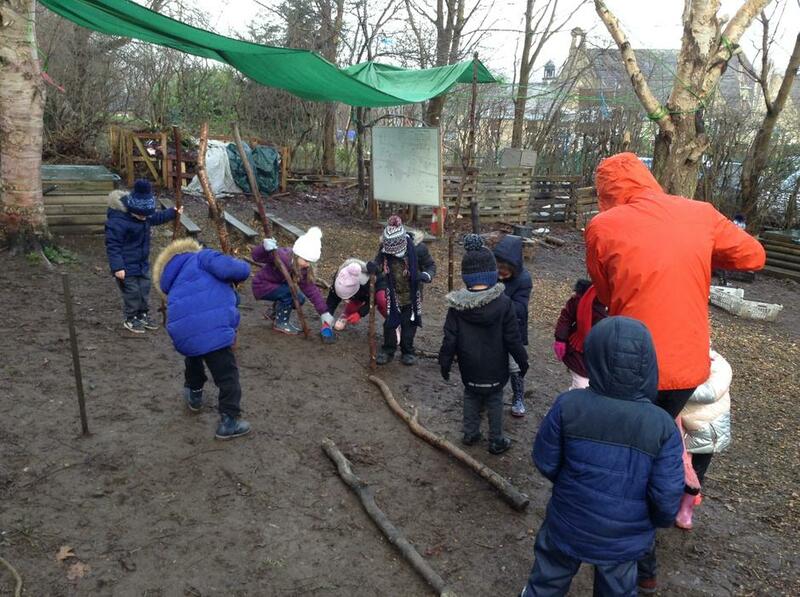 We went into the forest and tried to stick sticks together we used lots of different methods of sticking. 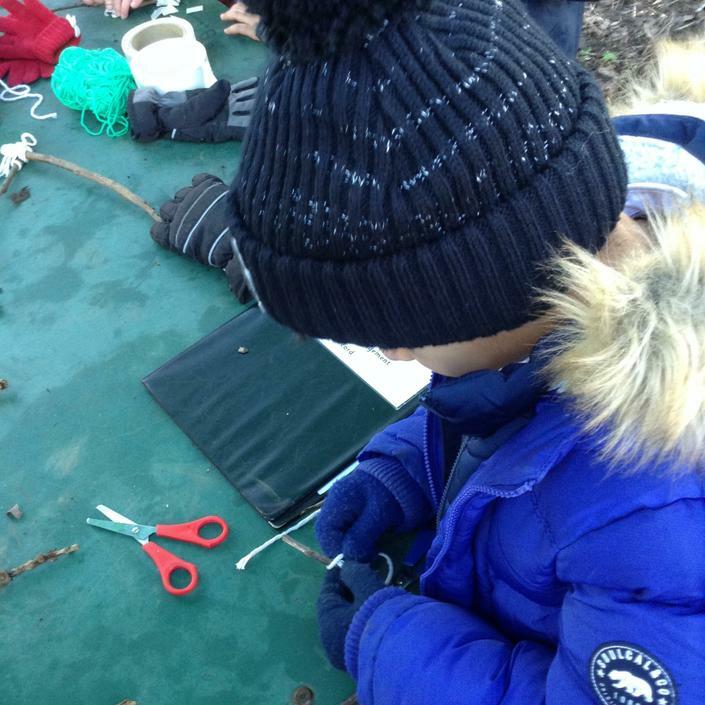 We used glue, tape, mud, blue-tack, wool and string. 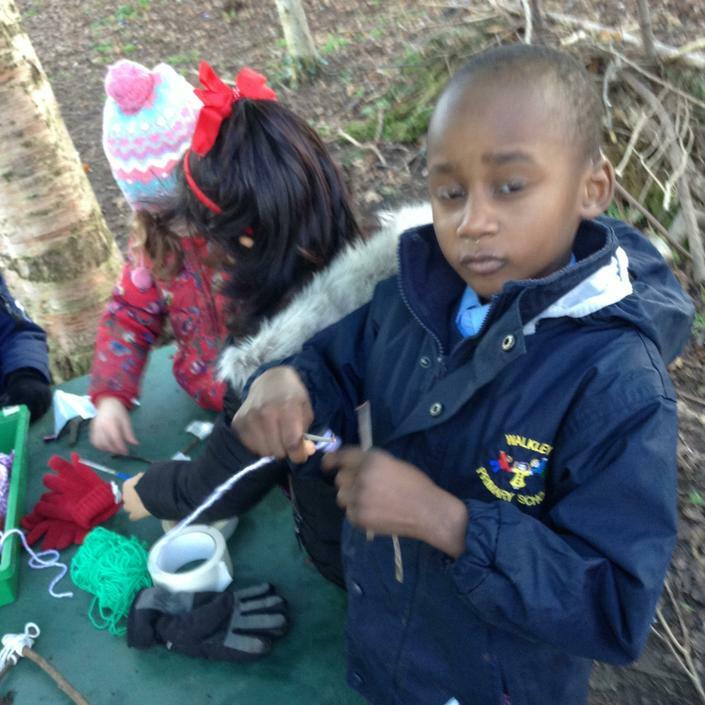 After we tried most of the techniques the children realised that string was the best way to make a base for our house because it was strong and it kept the stick together the best. 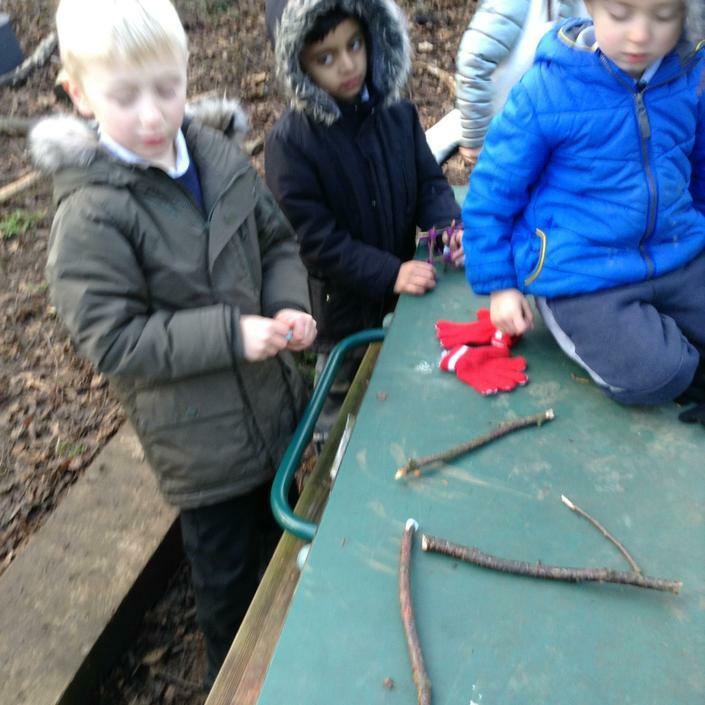 We then went out later in the week and tried tying knots around sticks to make some squares that when put together would make a cube. 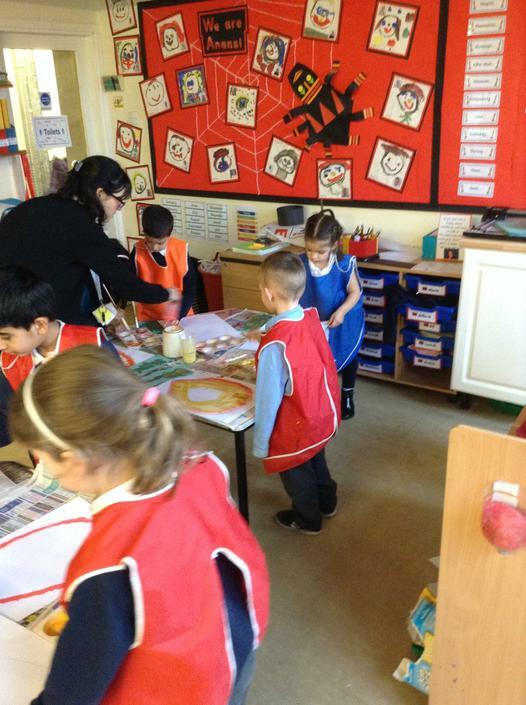 All the children did a fantastic job and we have made some bases for our houses. 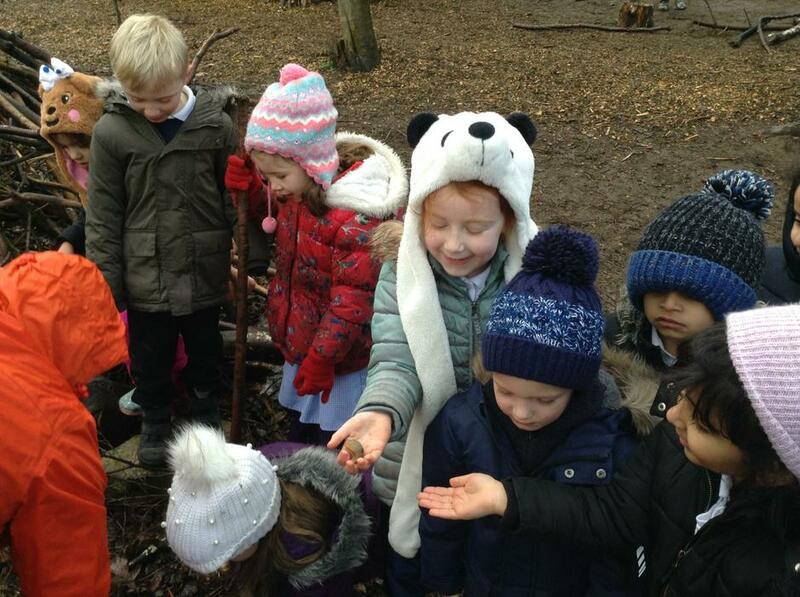 This week the children reached 100 class wide rewards so they decided they would like to have a forest school class wide reward party. 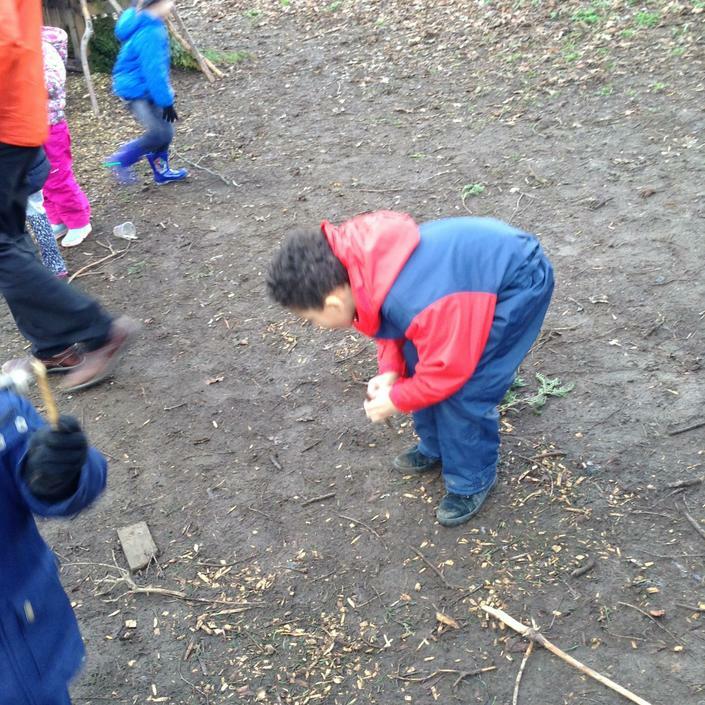 We spent some of the afternoon in the forest playing some fun games. 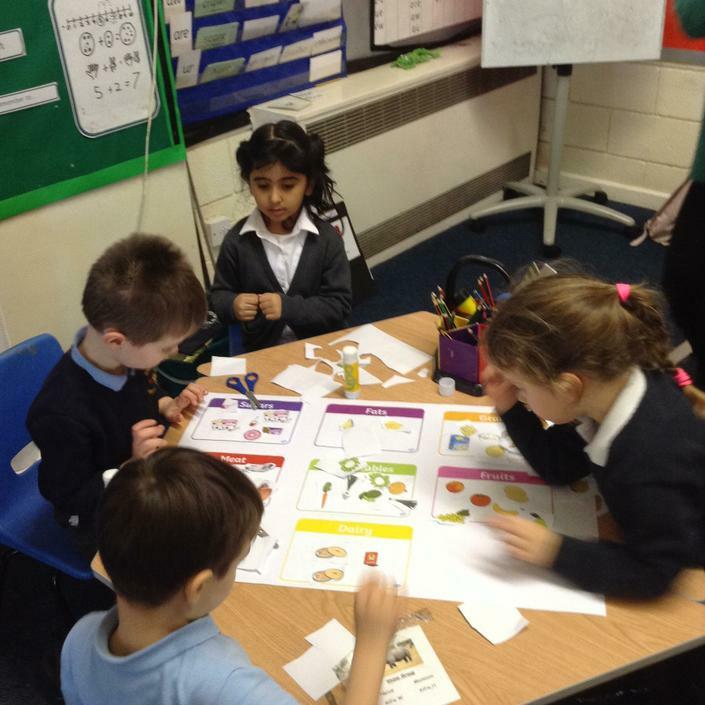 This week, the children learnt their new groups for RWI. 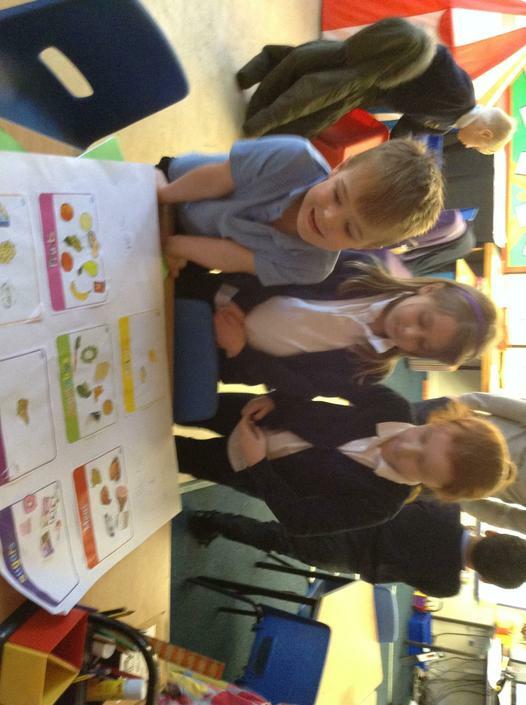 This is always an exciting time as everyone gets to see the progress they have made in RWI. 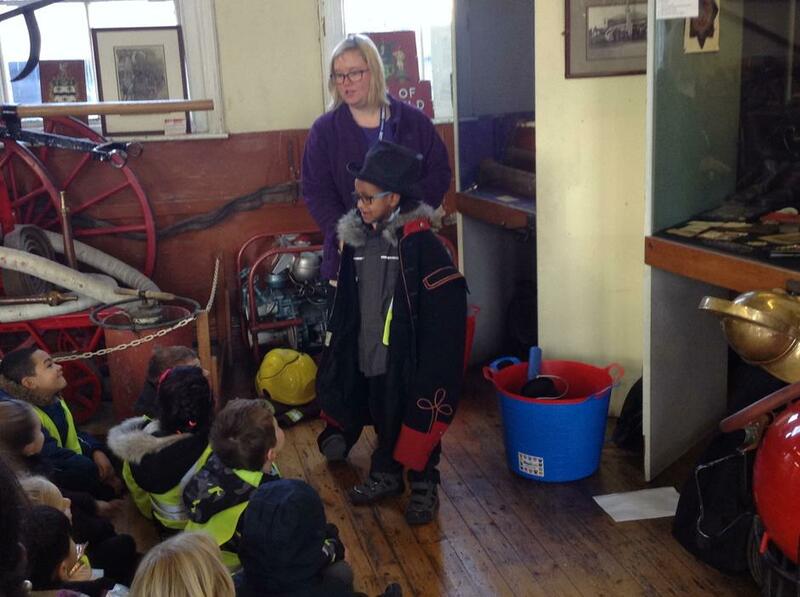 We have been continuing with our newspaper report writing on The Great Fire of London. 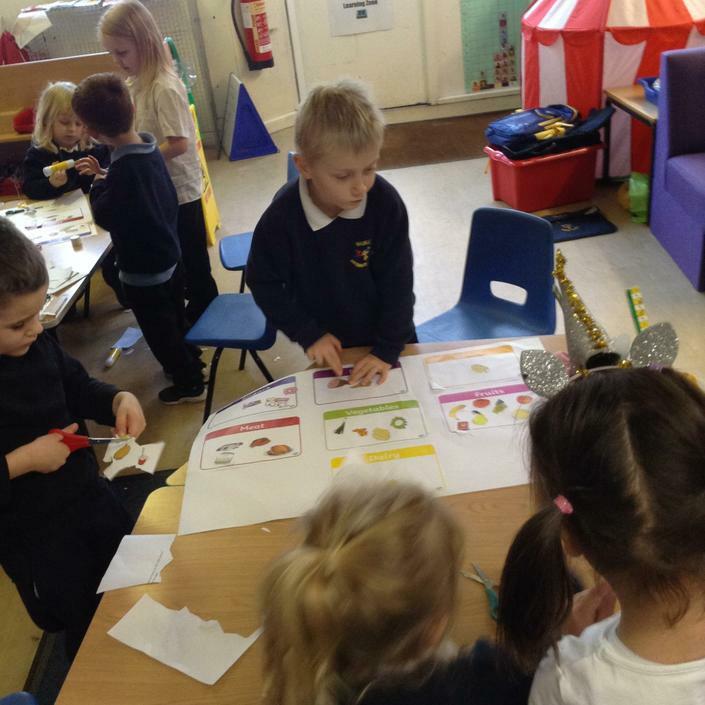 This week we looked at editing our work and now all the children are ready to start their neat copy of their newspaper article. 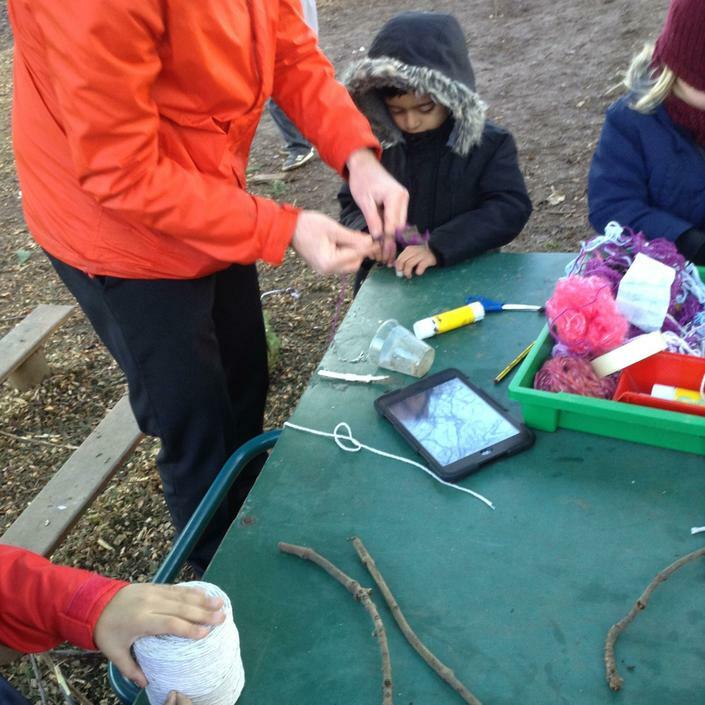 Also, this week we have looked at how people use the internet and other devices to work how we spend our time using screens. 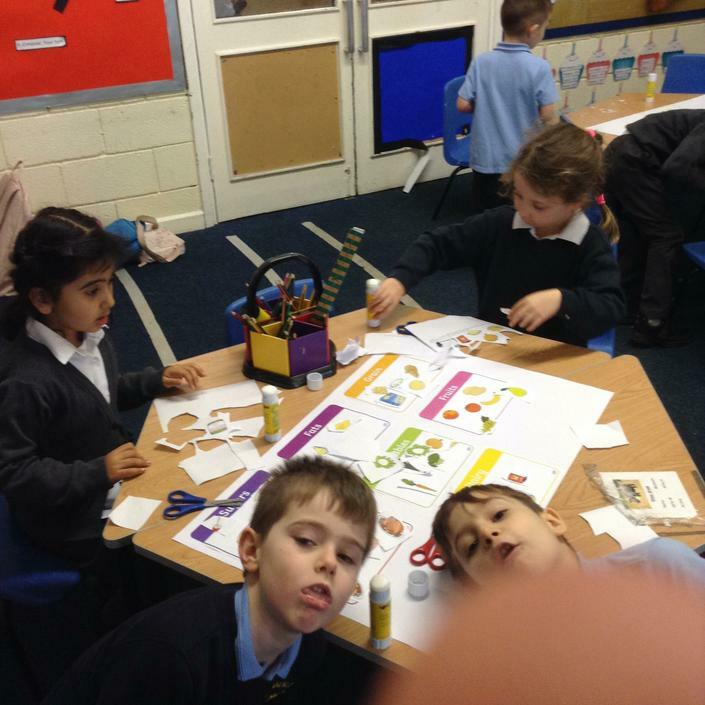 We learnt about screen time and ways we can use a screen in a productive way. 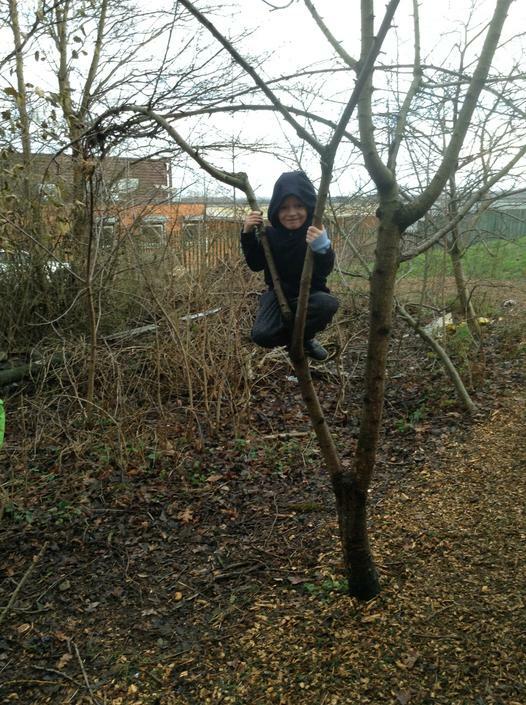 As a class, the Anansi’s decided to use their screen time creativity and actively. 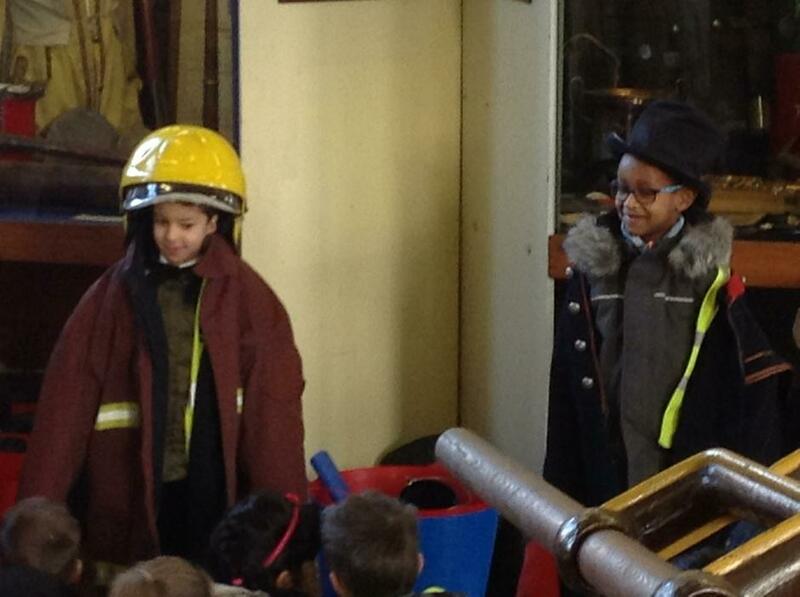 We went on YouTube and learnt a song about our theme The Great Fire of London. 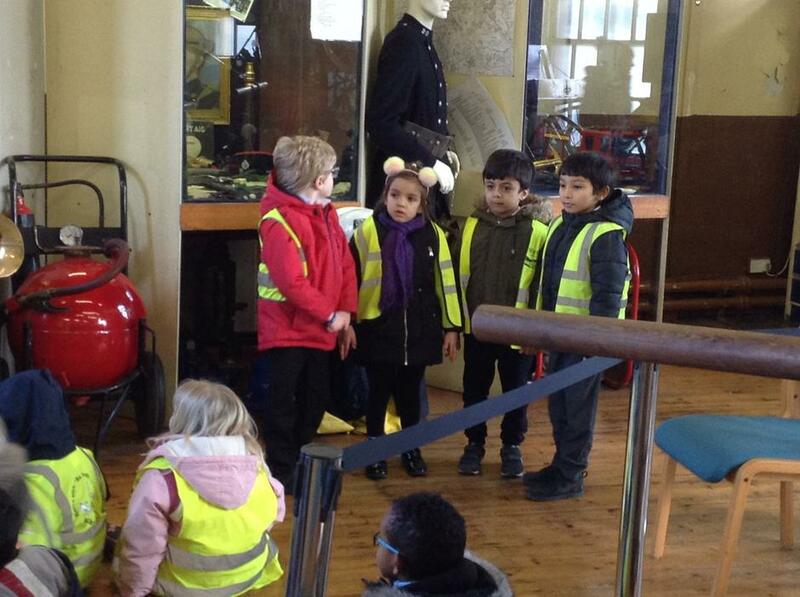 We spent a couple of minutes a day learning the first section of the song. 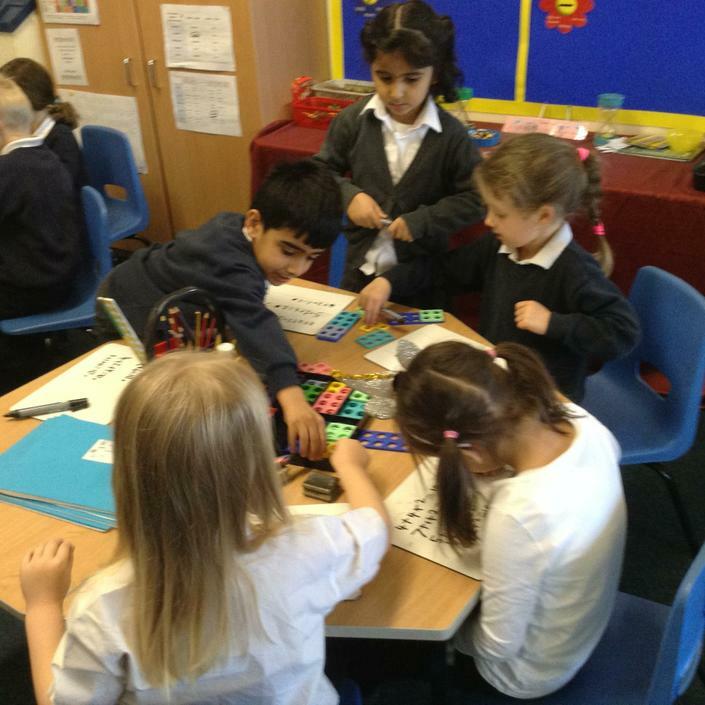 We then used our screen time actively as we performed the song we had learnt. 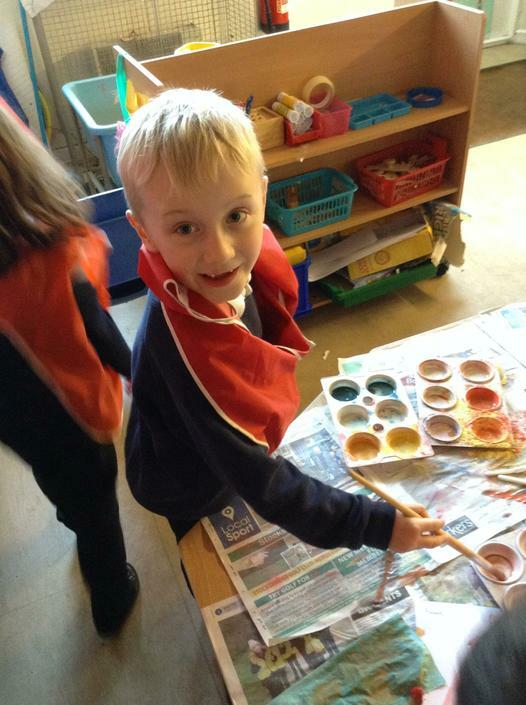 We have had a great week this week, next week is our last week of this half term. 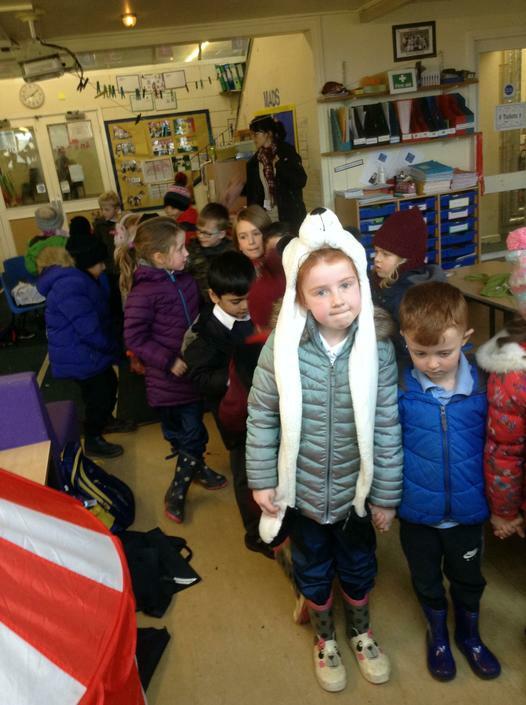 See you all on Monday for another fun filled week of learning. 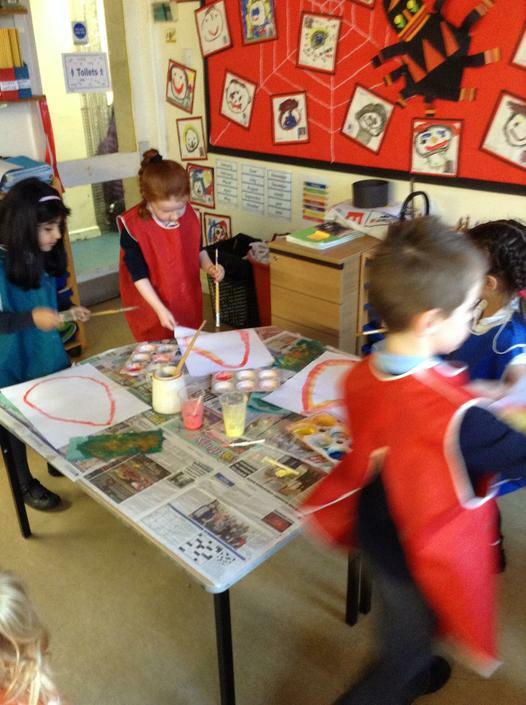 What a fantastic week we have had in Anansi class. 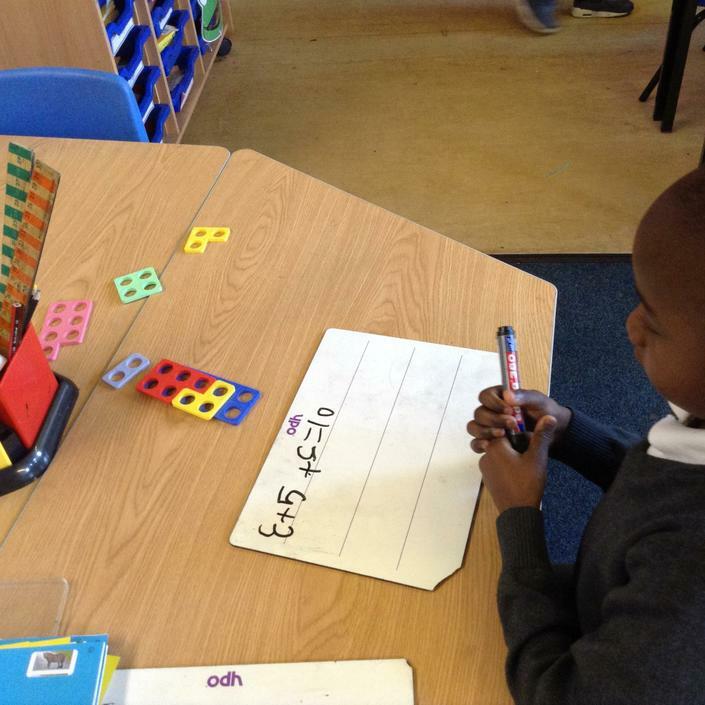 This week in maths, we have been continuing our work on place value. 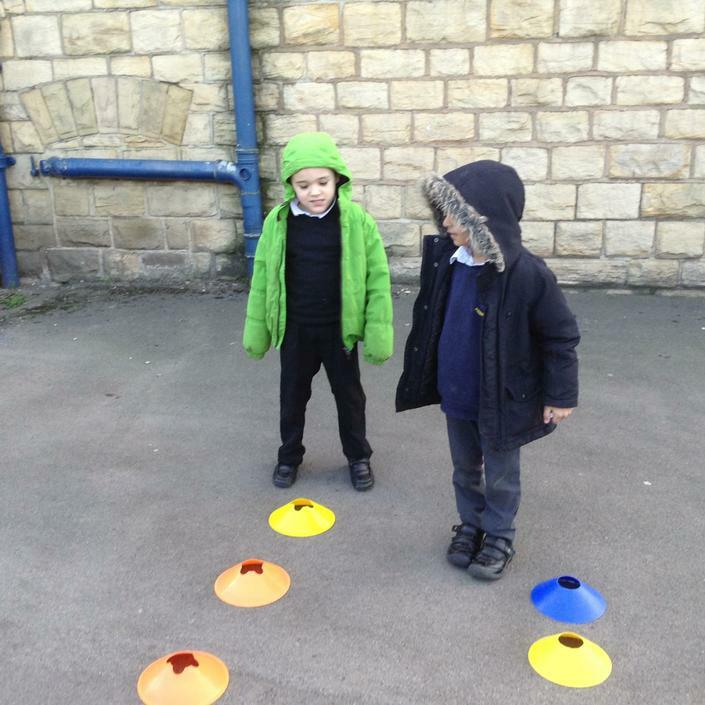 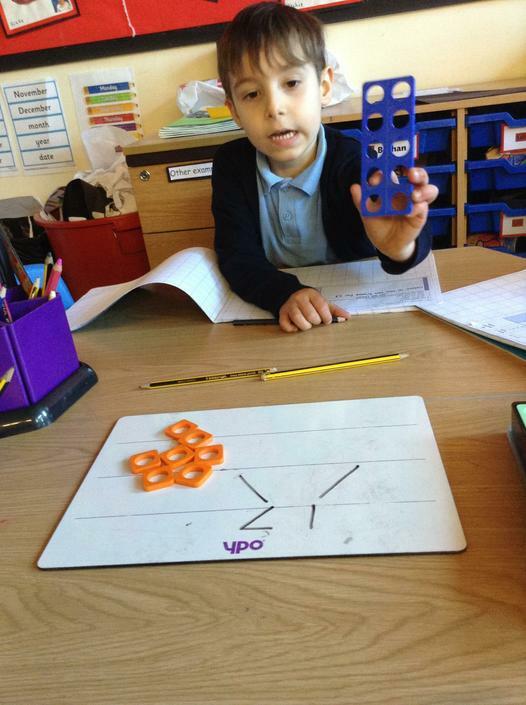 The children had to find different ways of representing numbers, by doing this it shows the children really understand the concept of tens and ones. 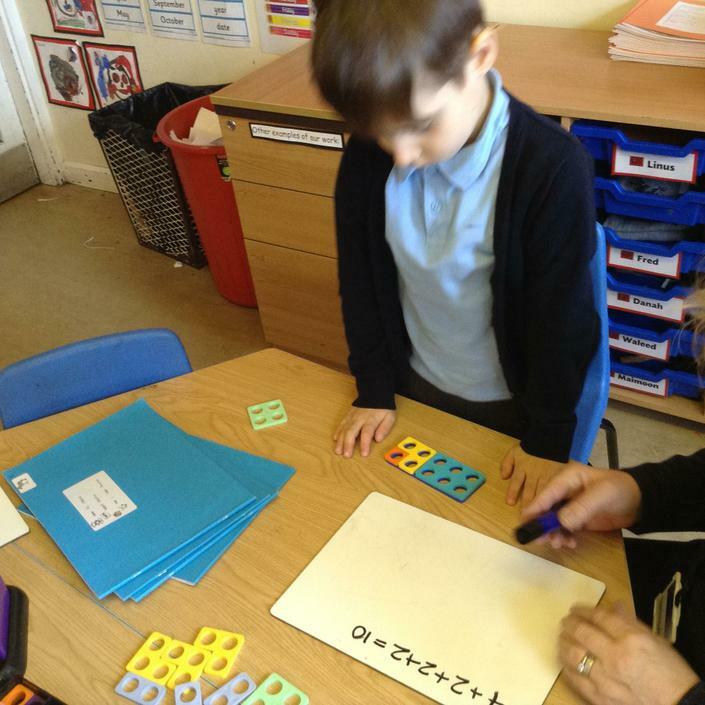 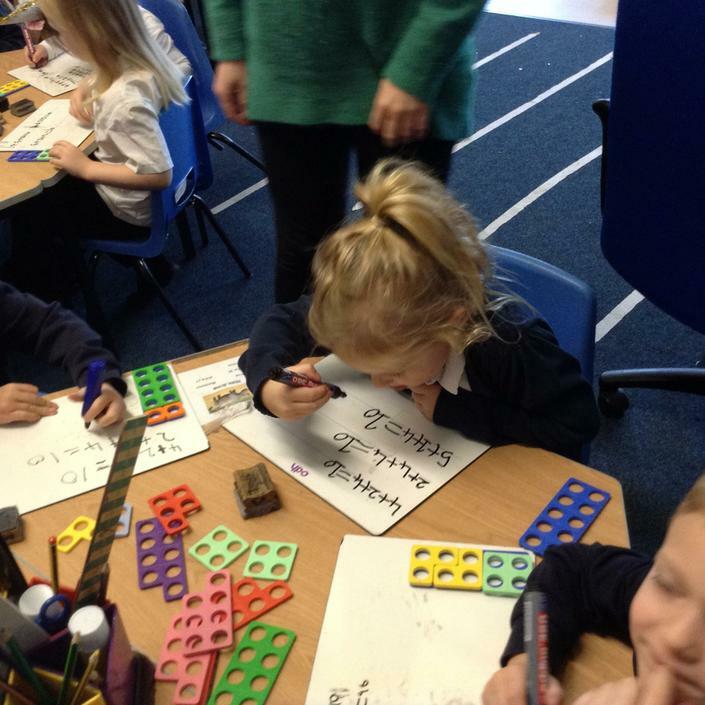 Later in the week, the children were given some representations of two numbers and then they had to stick the picture under the correct number. 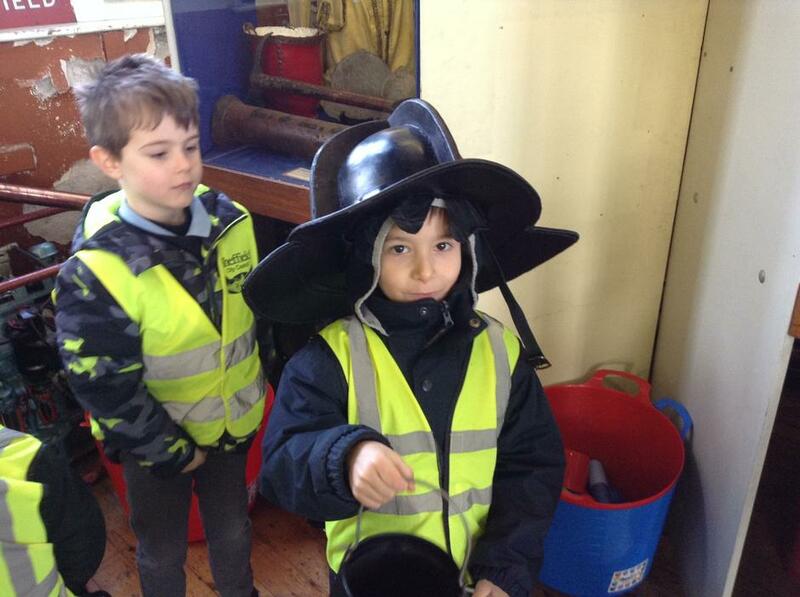 This week, we have been continuing with our newspaper report on The Great Fire of London. 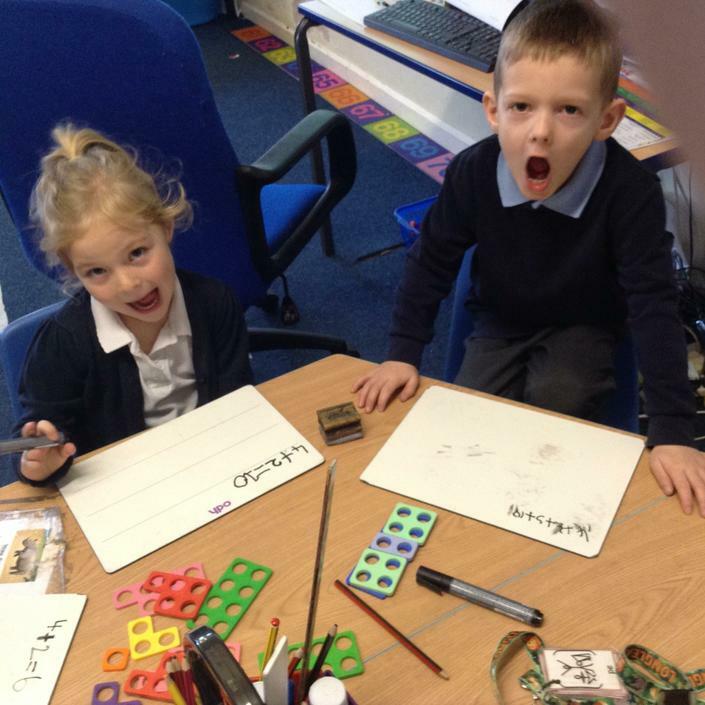 All the children know so many facts about our theme and all their first drafts have been excellently written. 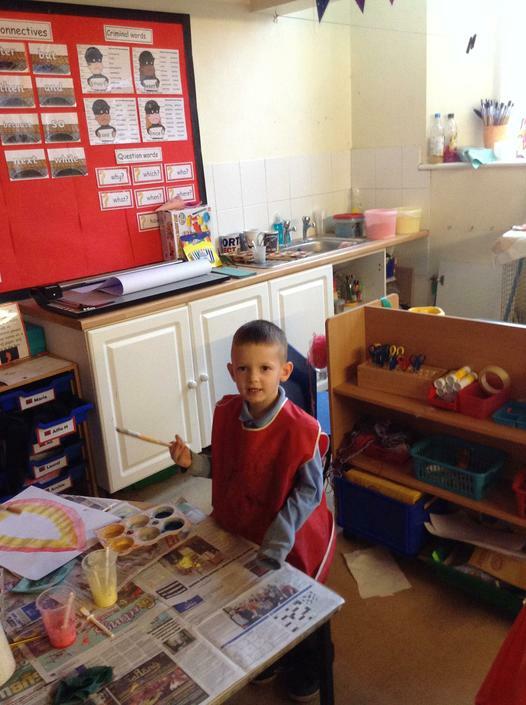 Next week, we will start to edit our first draft. 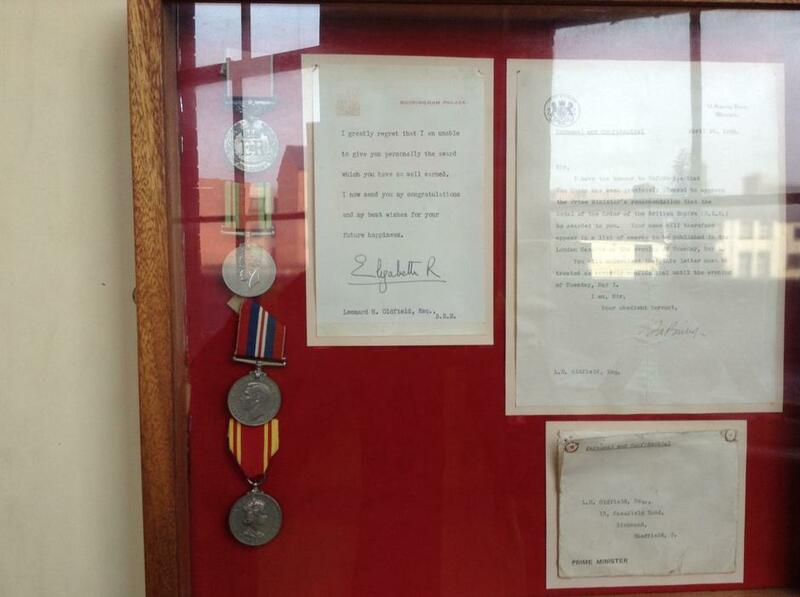 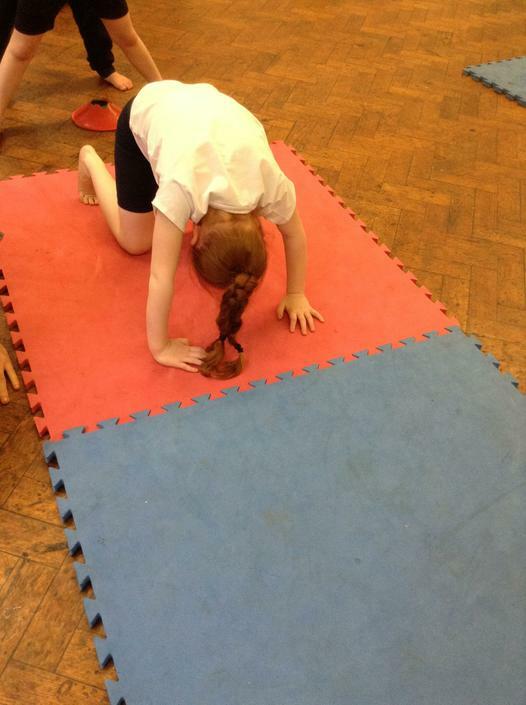 We carried on with our gymnastics work. 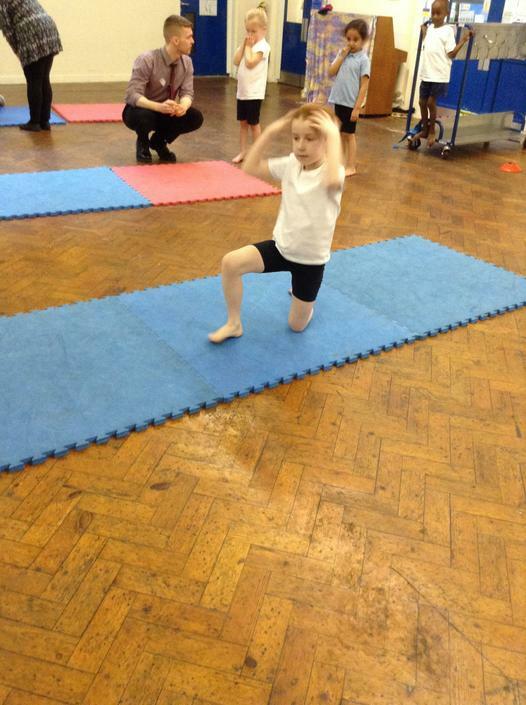 As we have learnt all the jumps, balances and rolls we have been putting that into practise by creating our own gymnastics routines. 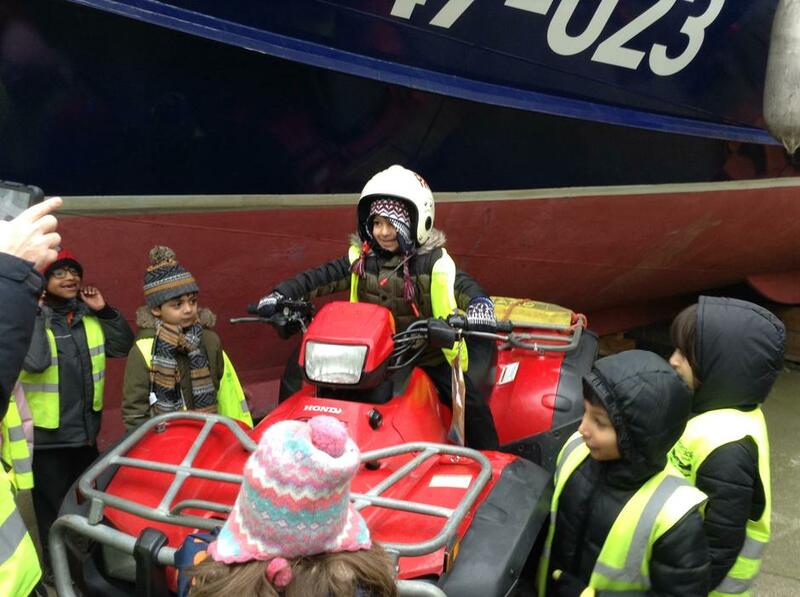 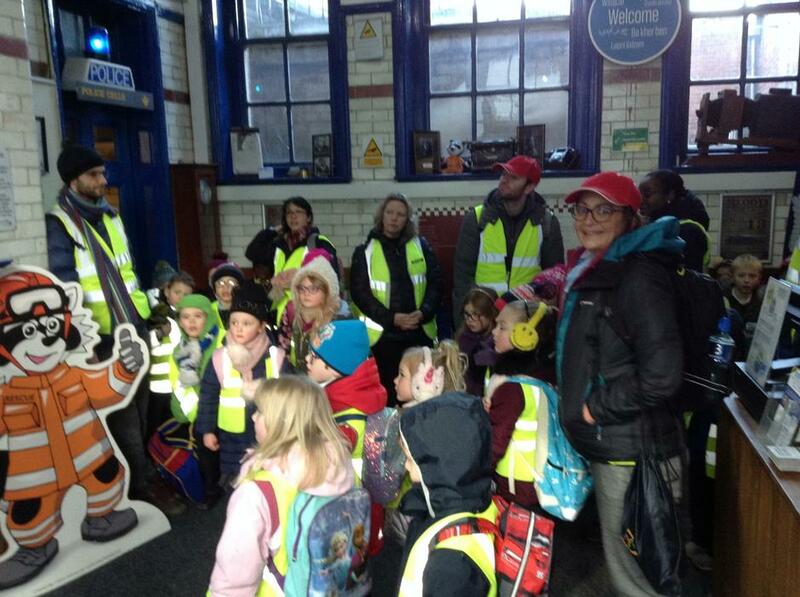 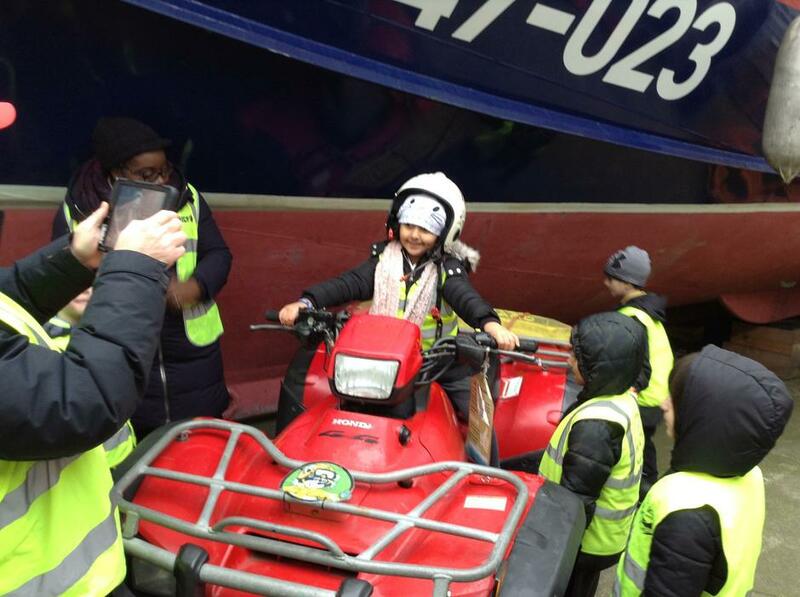 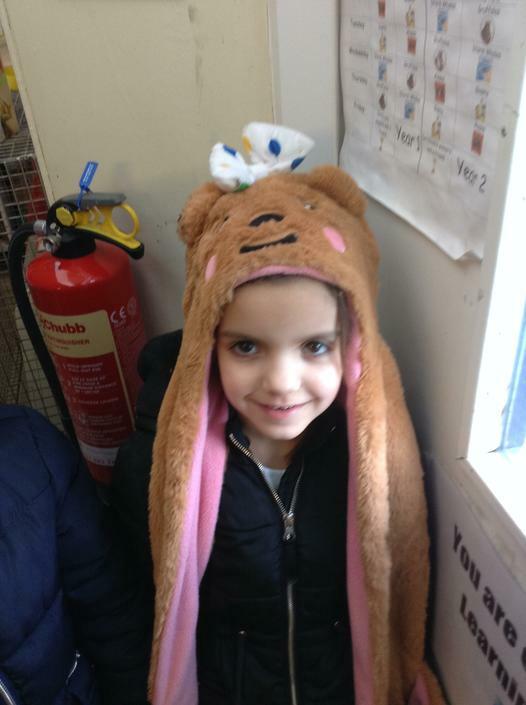 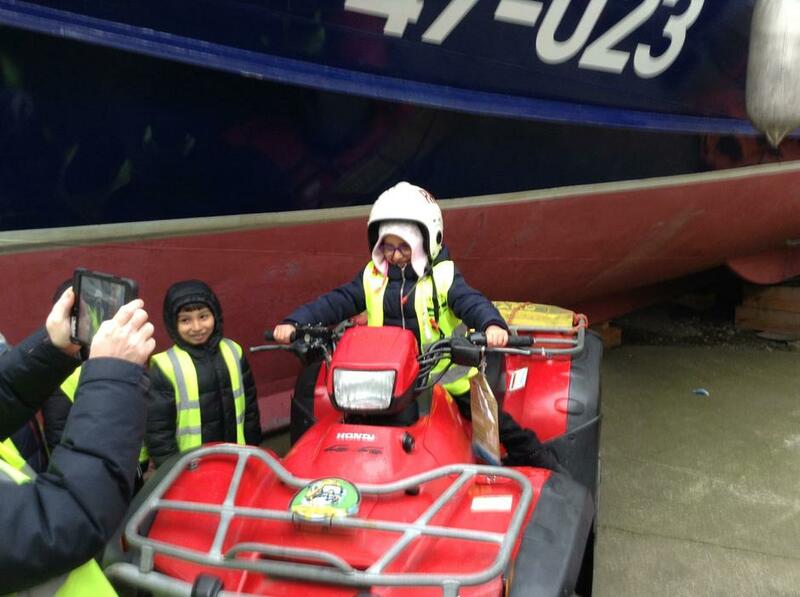 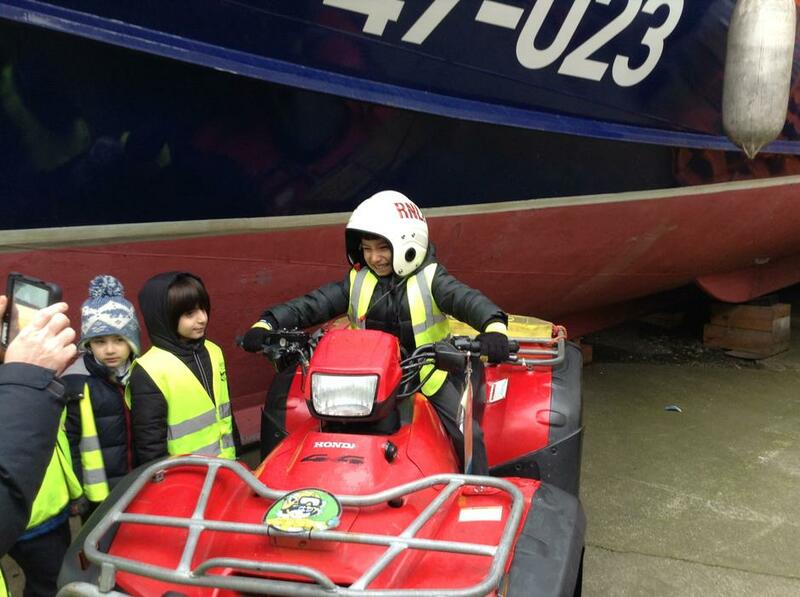 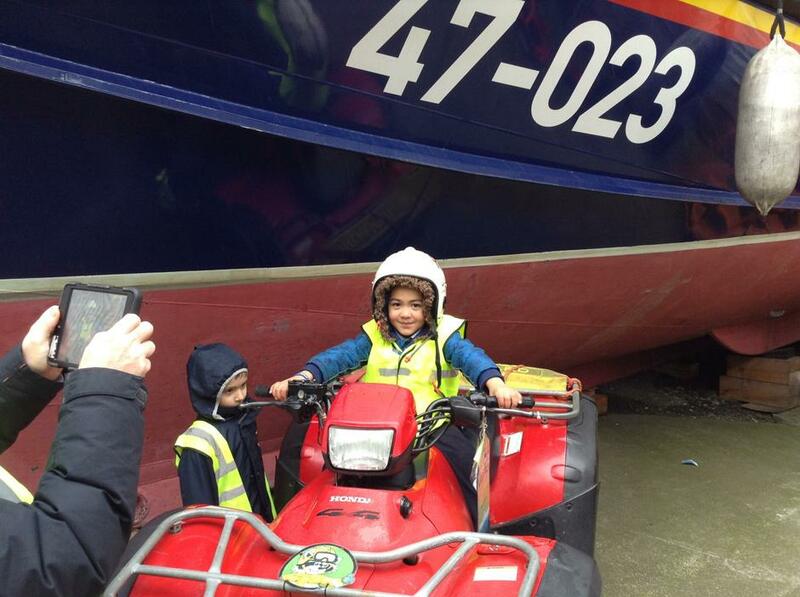 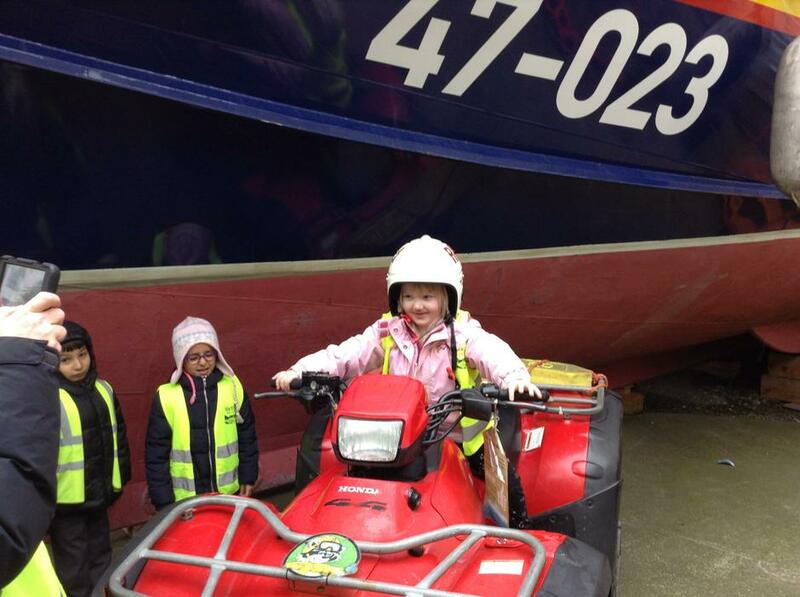 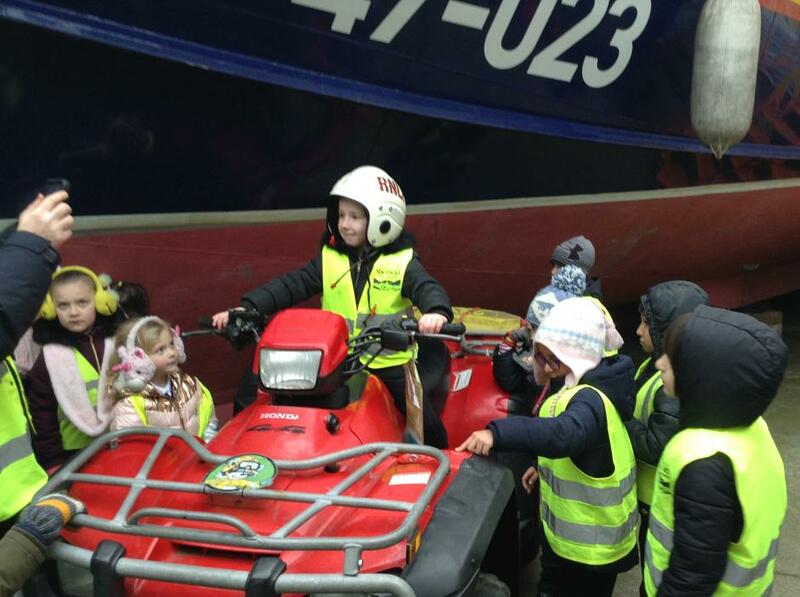 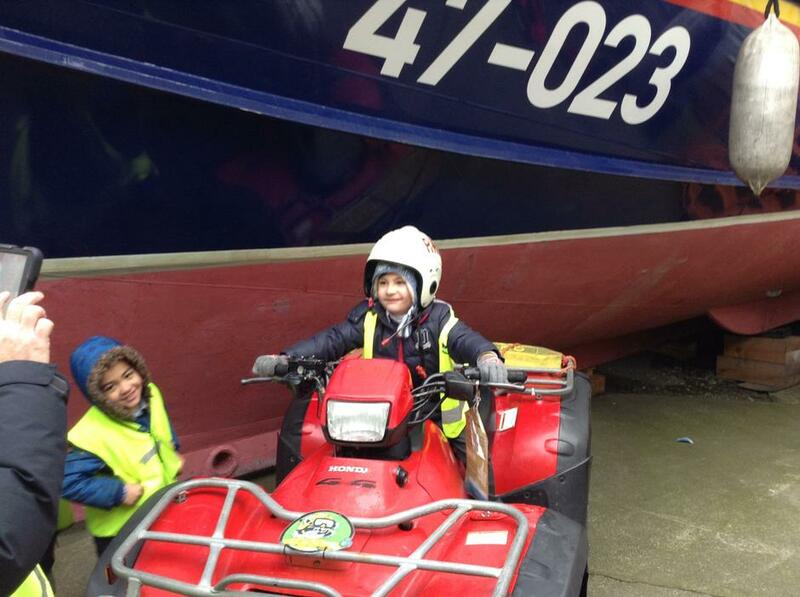 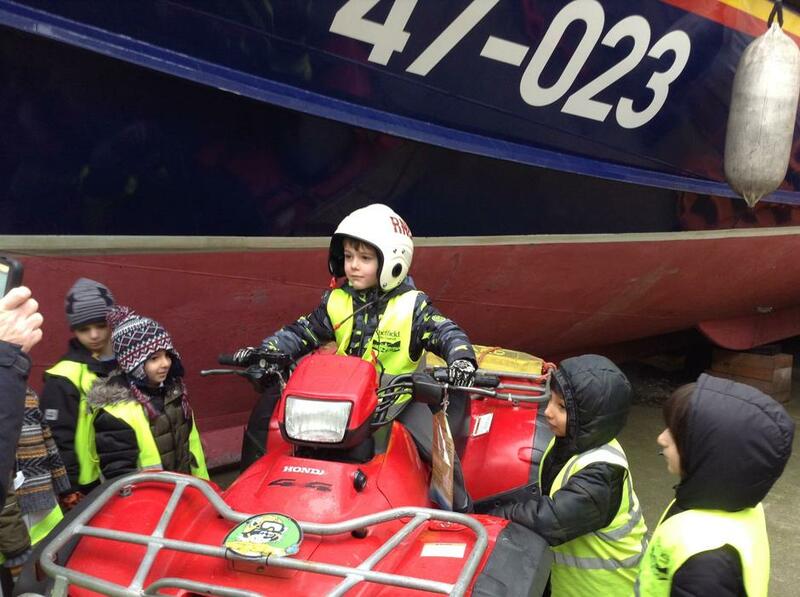 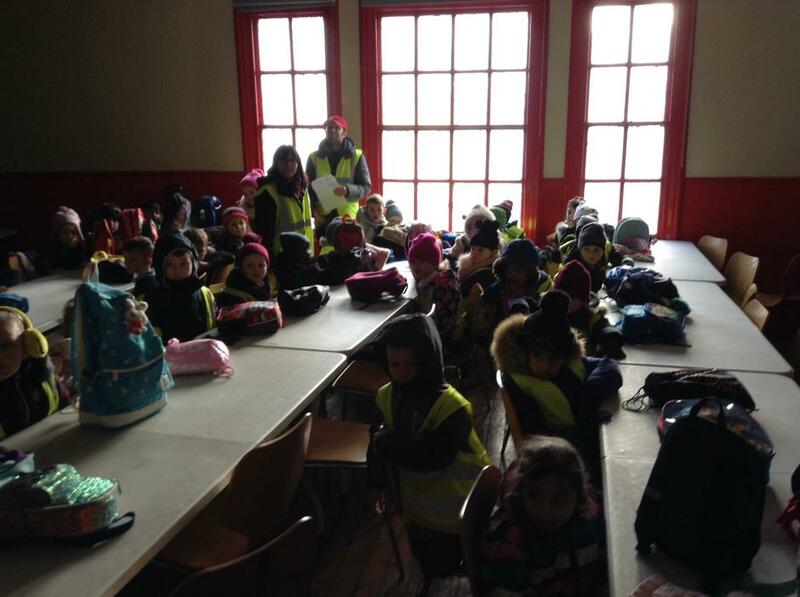 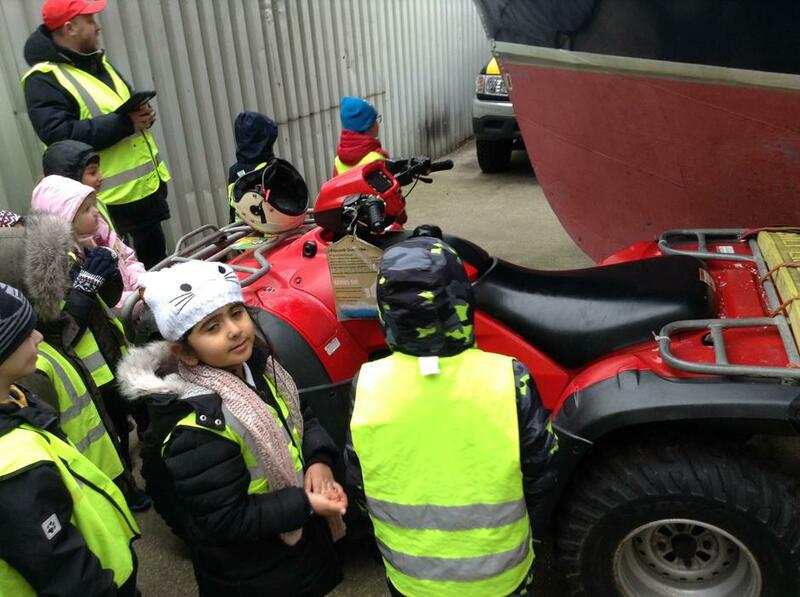 The children had been looking forward to the school trip and it was just such a wonderful day. 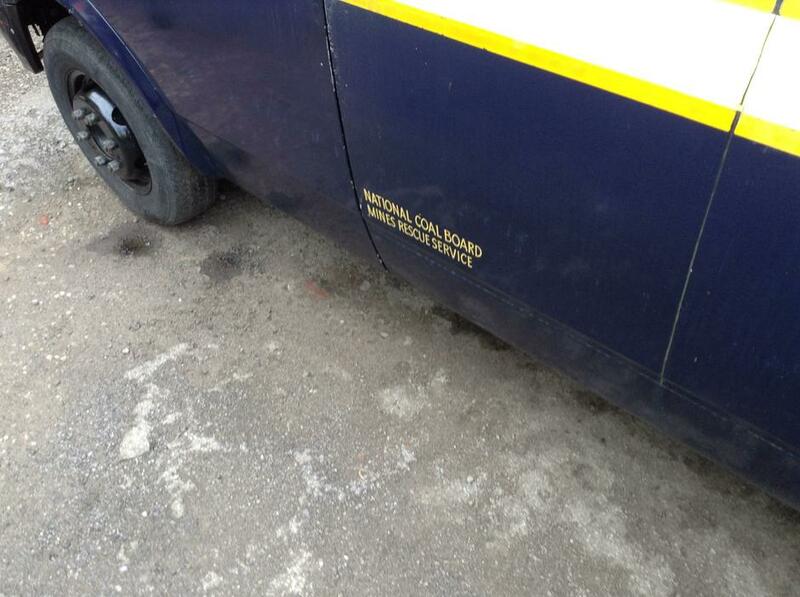 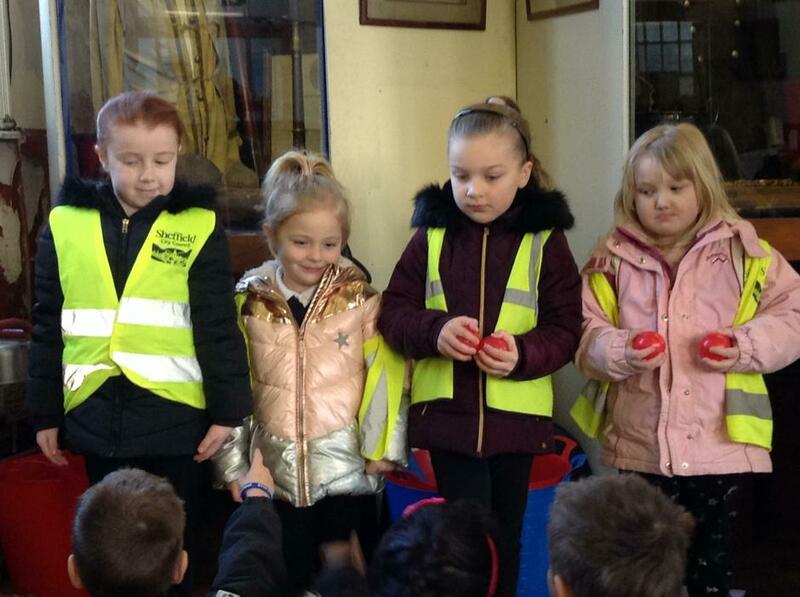 When the children arrived at school they were so excited. 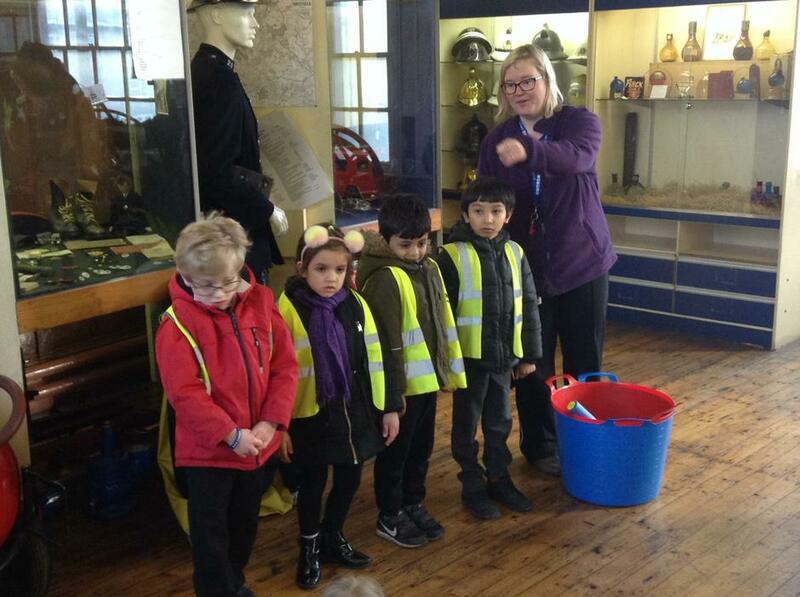 We all walked down to the tram stop and had a lovely journey to the museum. 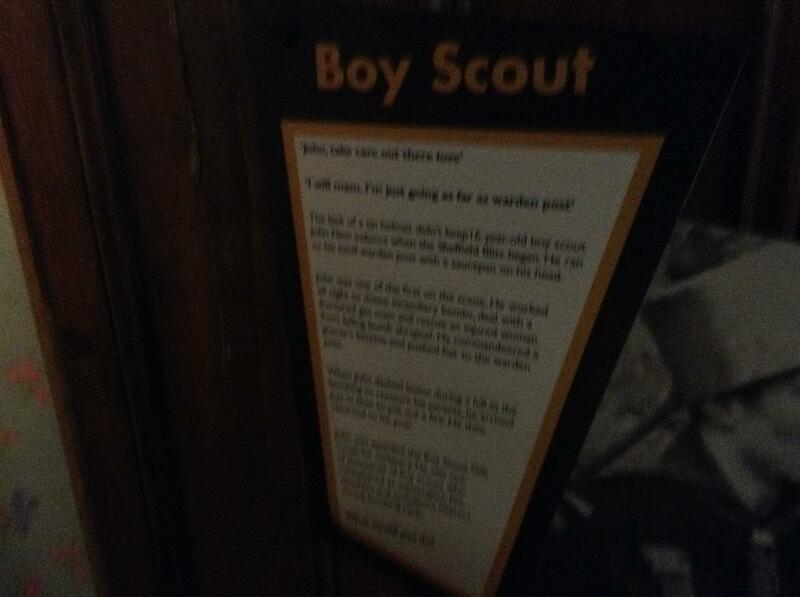 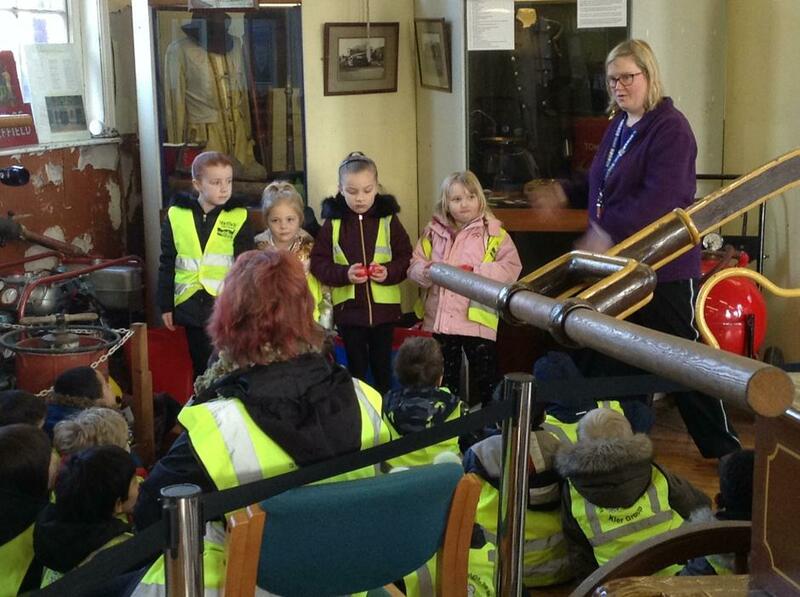 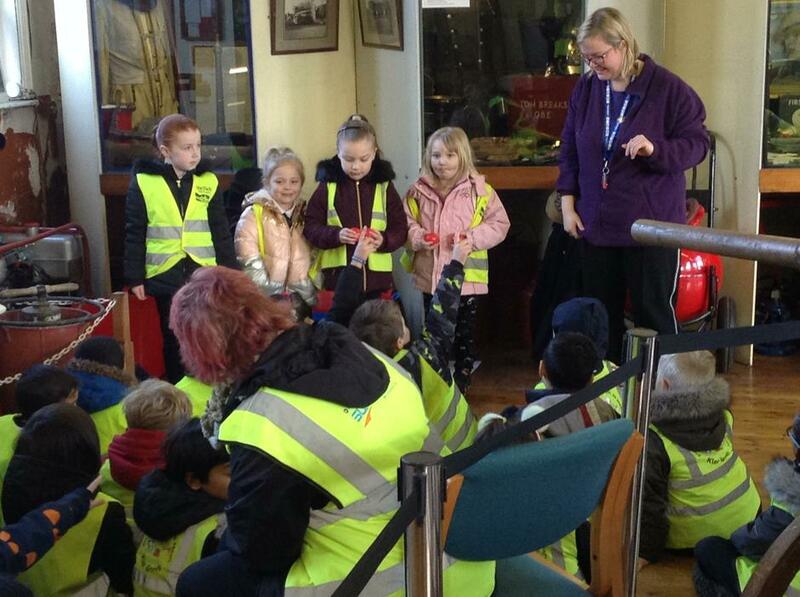 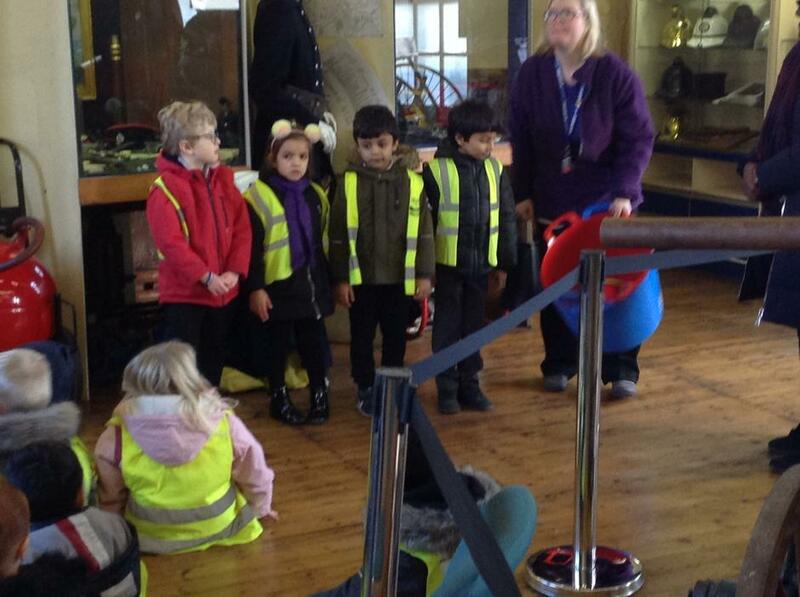 When we arrived at the museum, we were given a talk about what we would be doing. 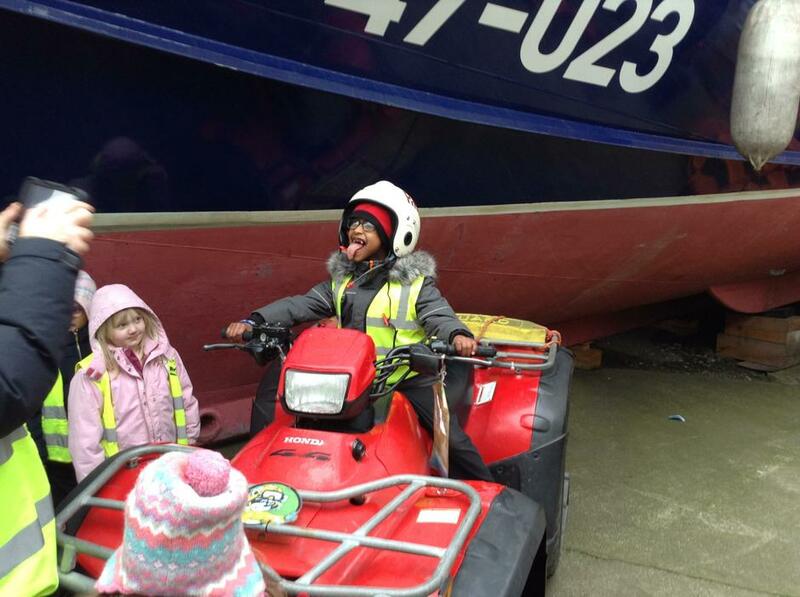 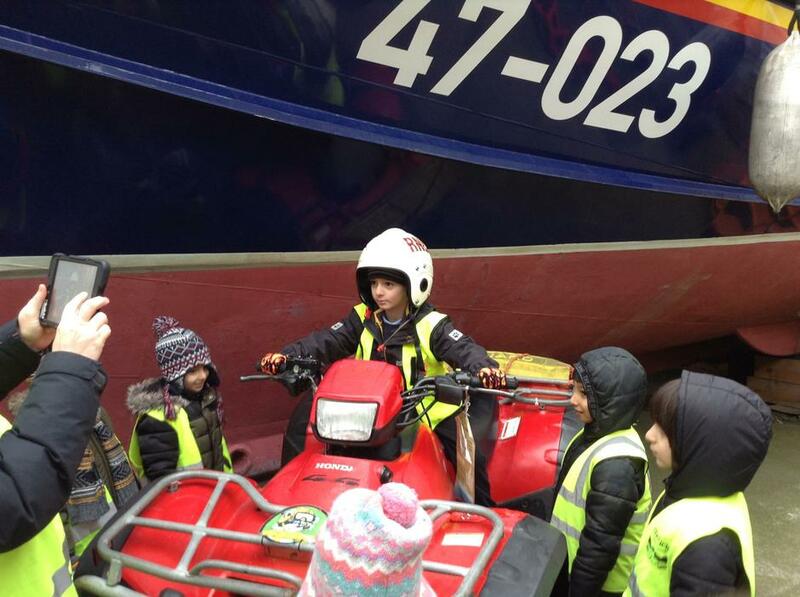 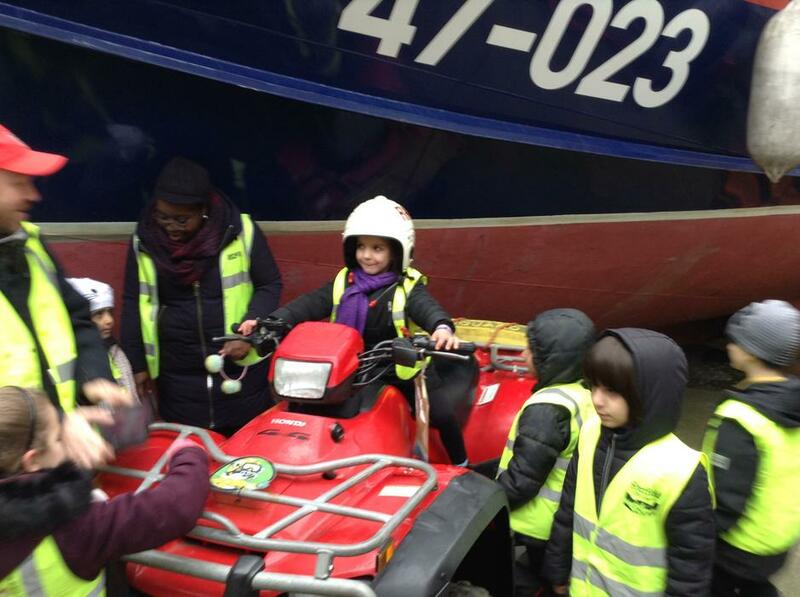 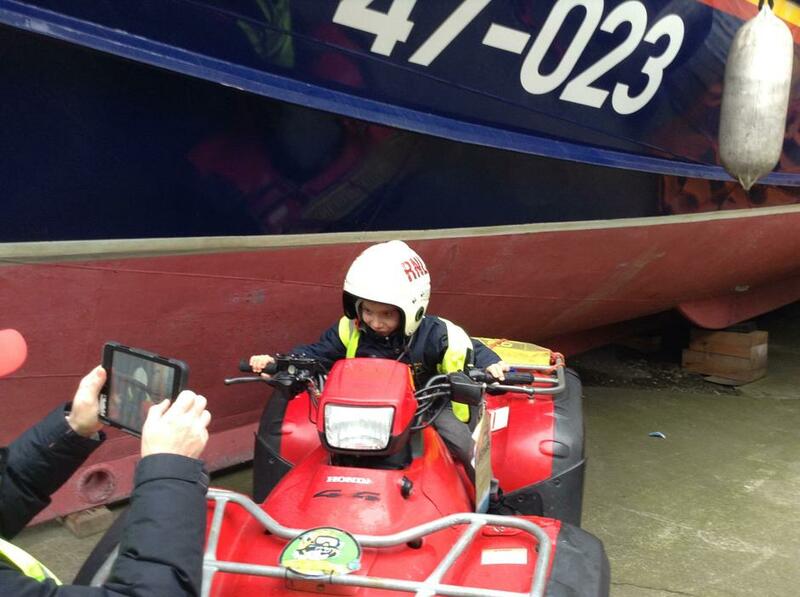 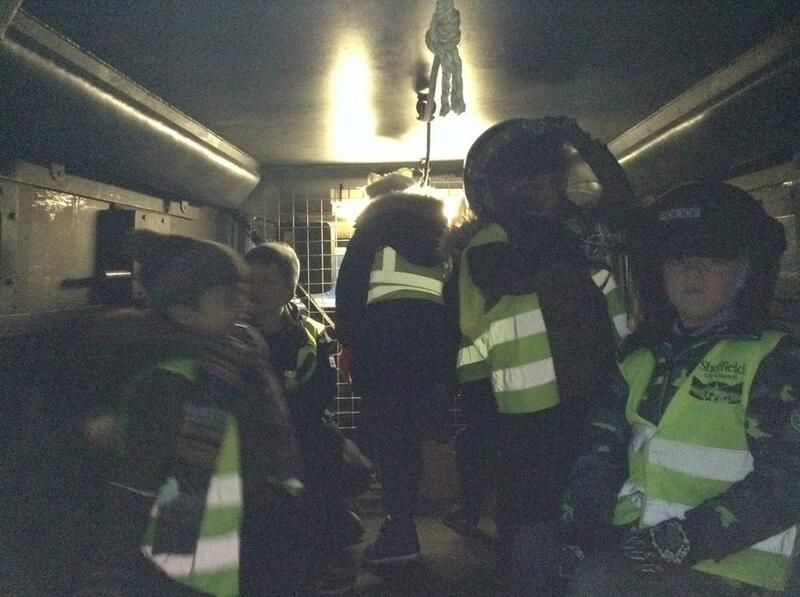 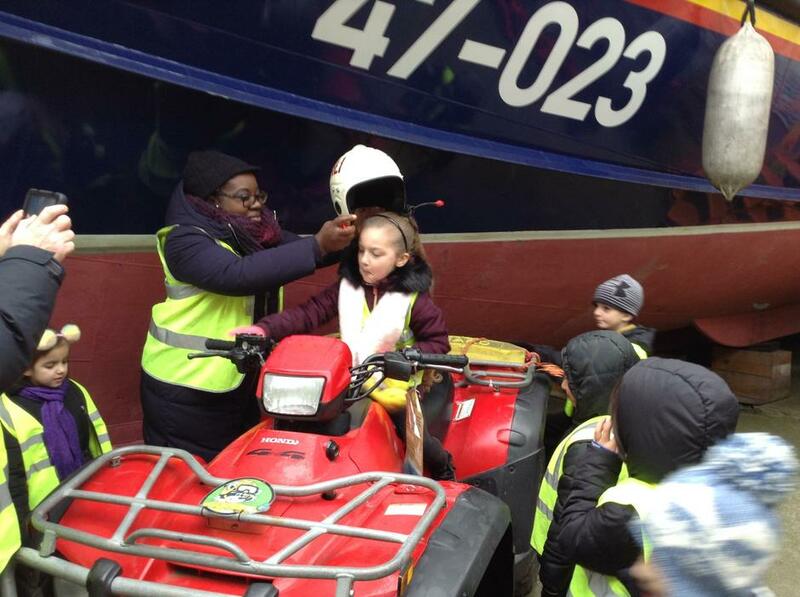 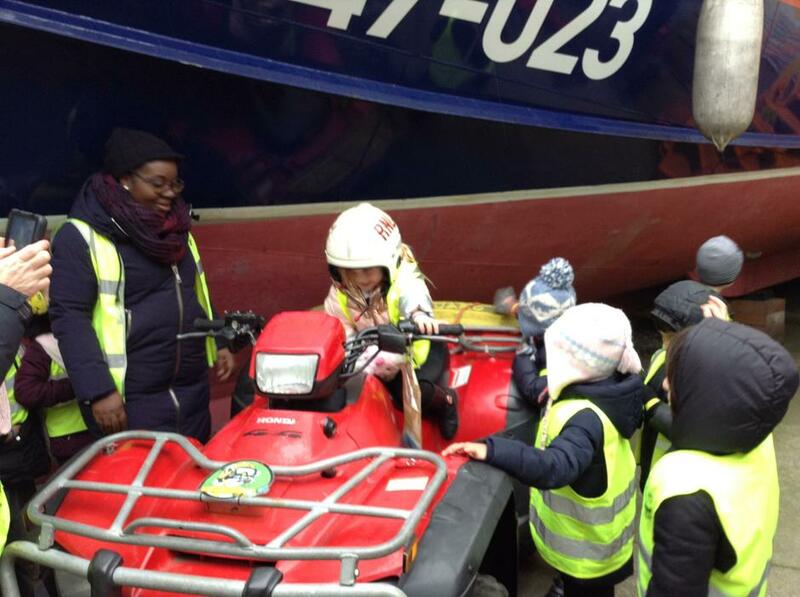 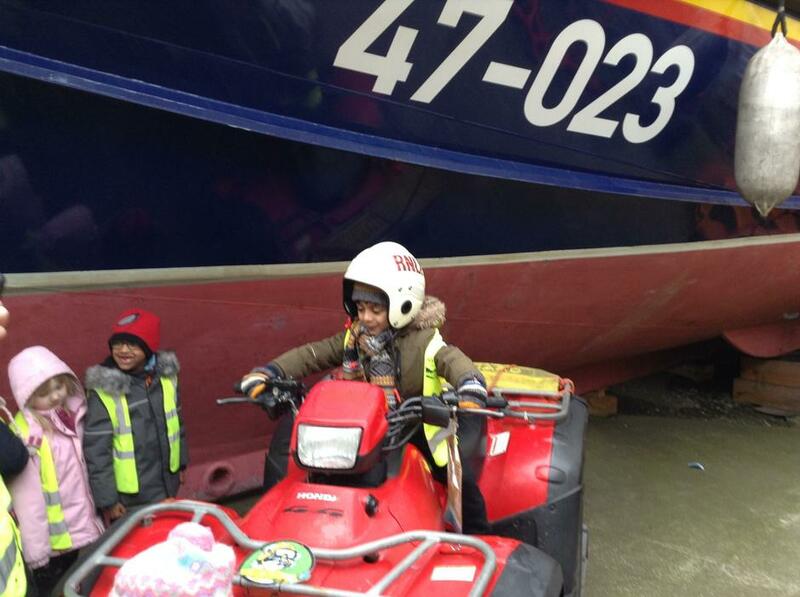 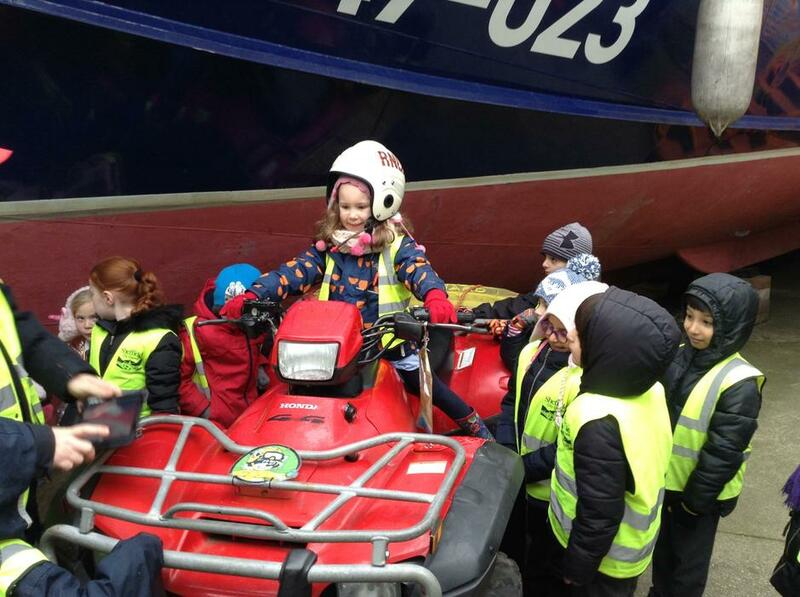 In the morning, half of the children went downstairs and they got to sit in ambulances, police vans, a quad bike and a fire engine. 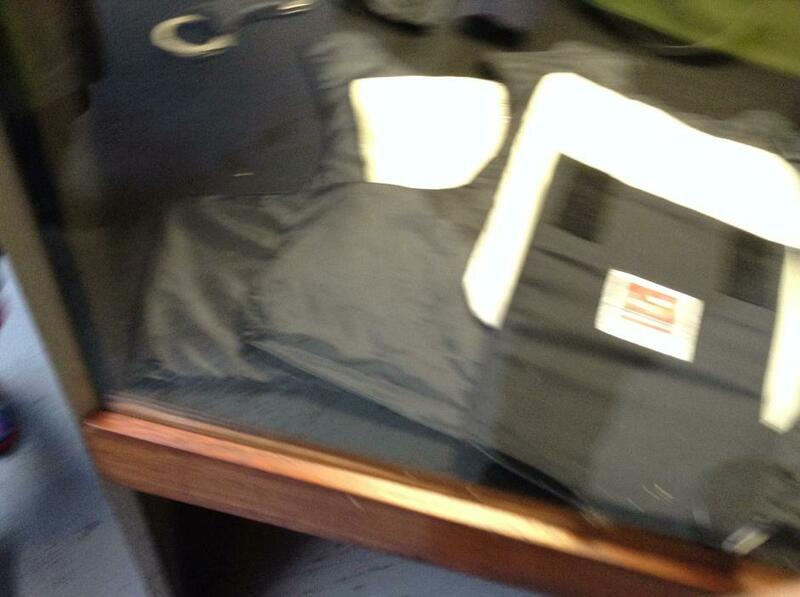 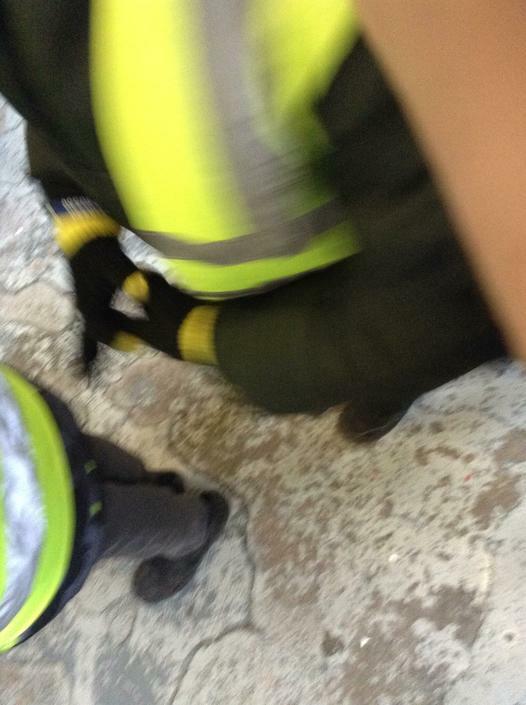 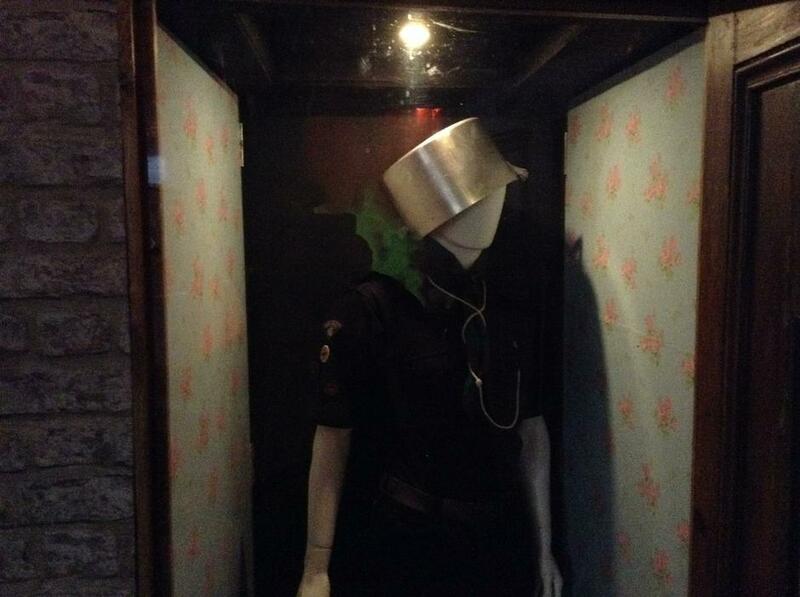 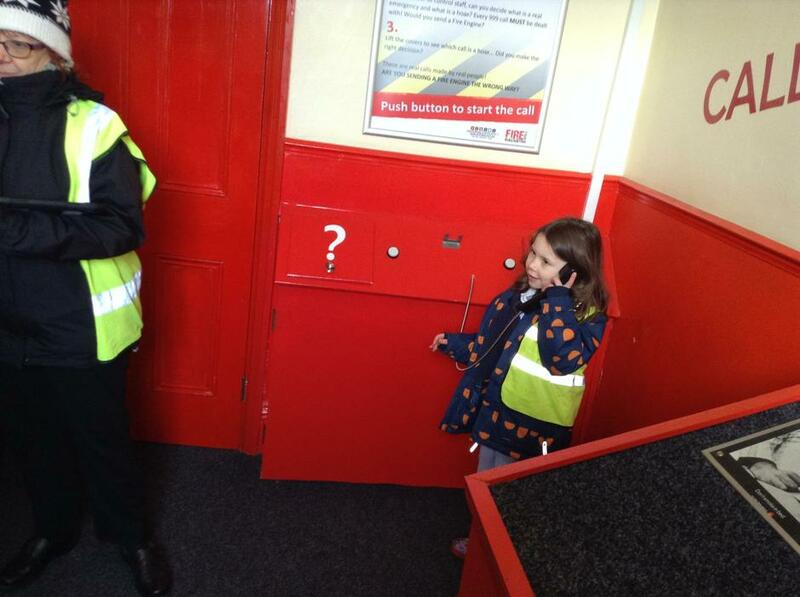 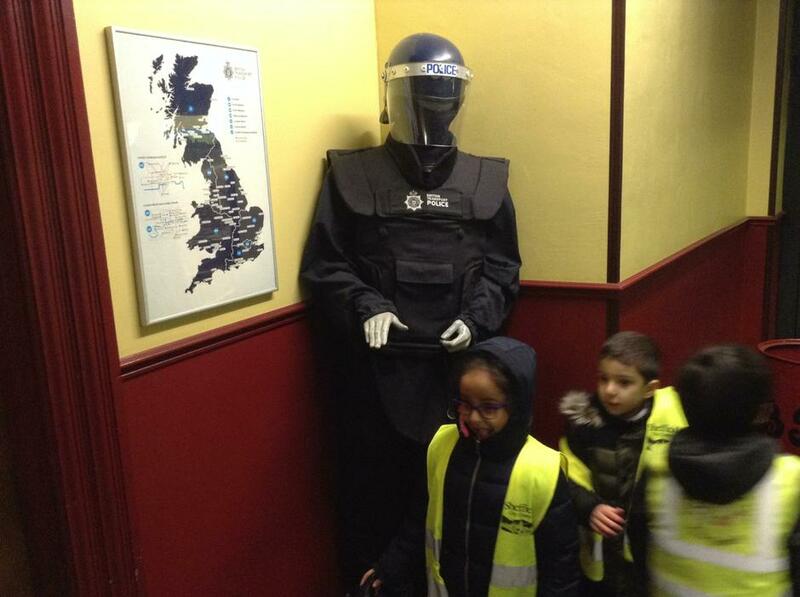 We also got to see what a real police cell looked and smelt like. 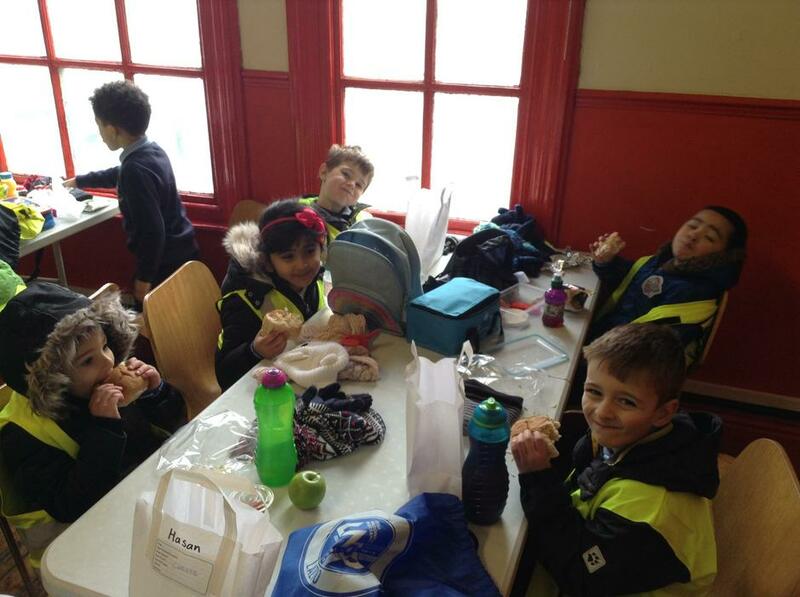 After lunch, the groups swapped activities. 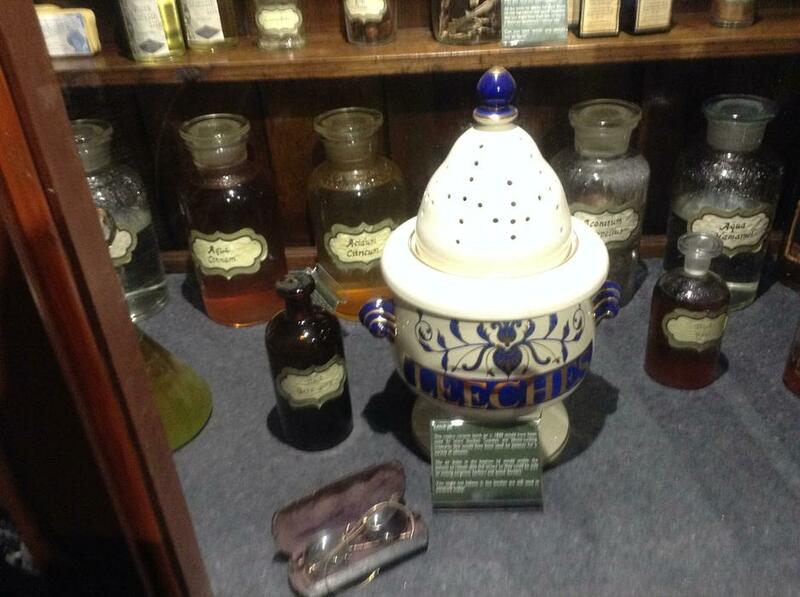 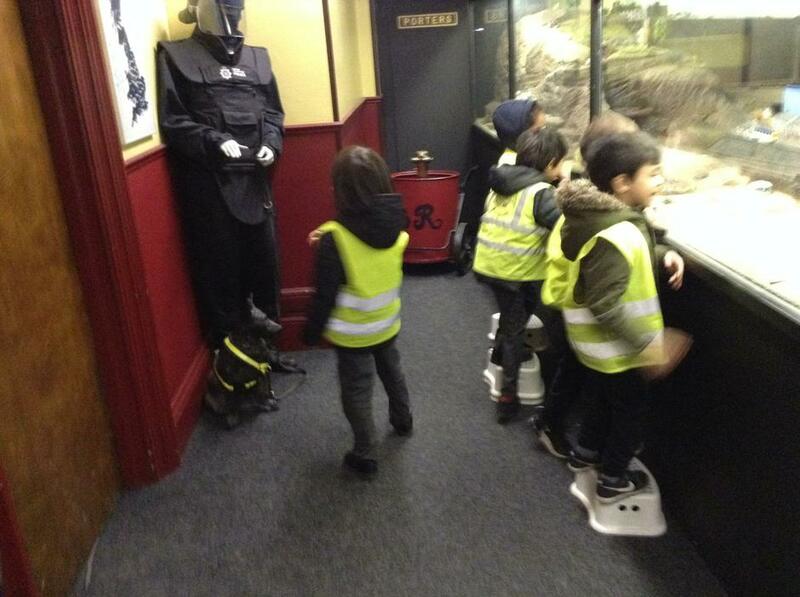 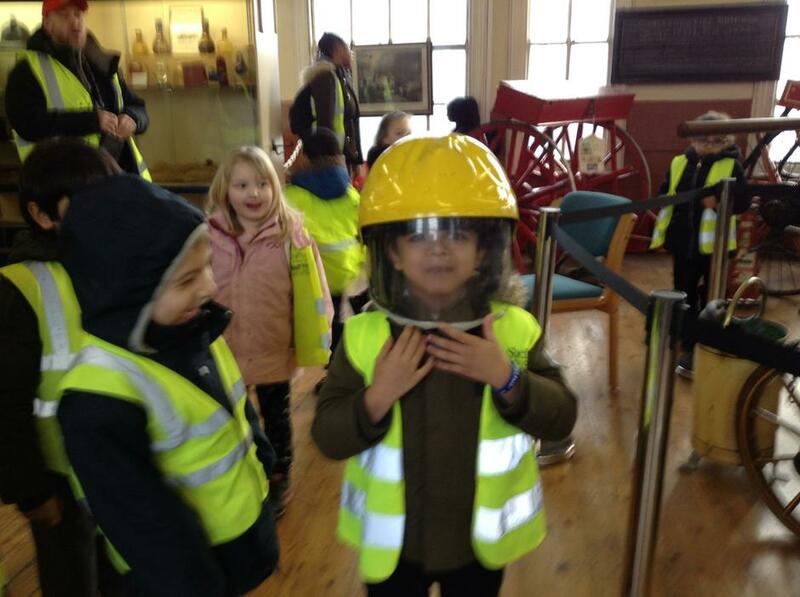 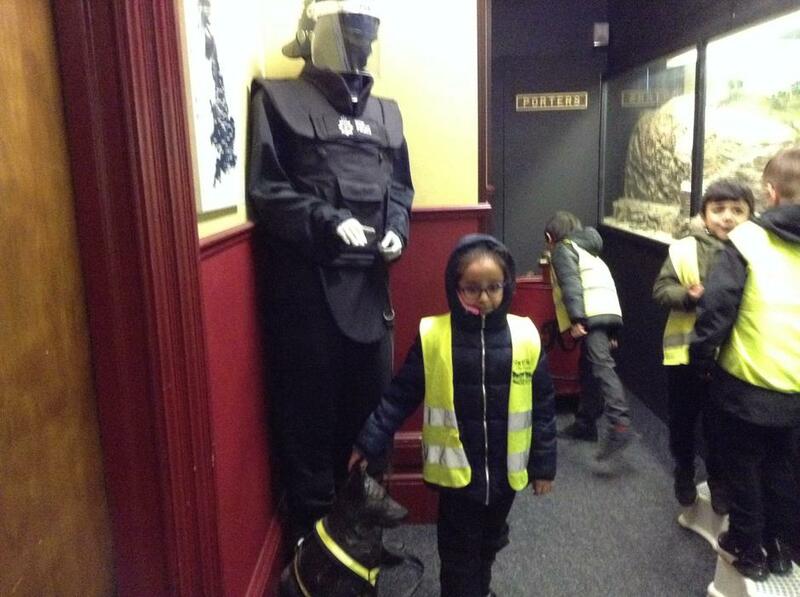 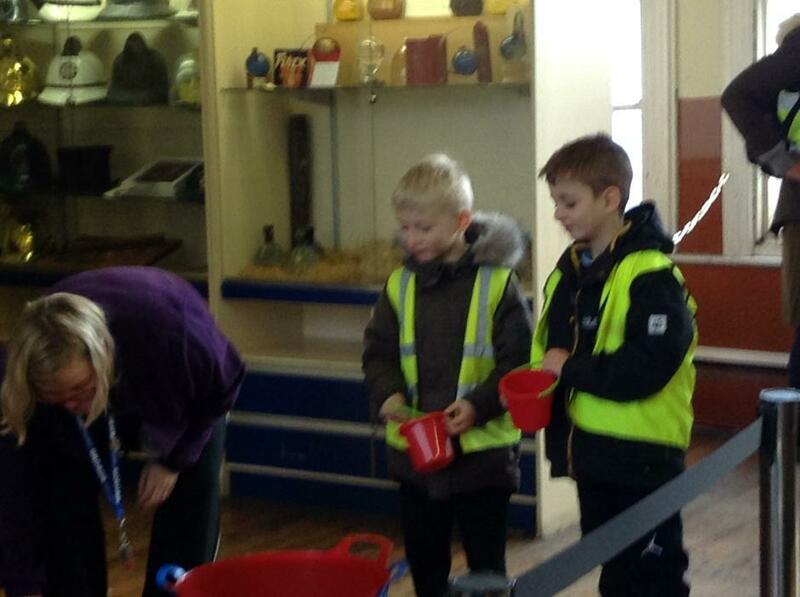 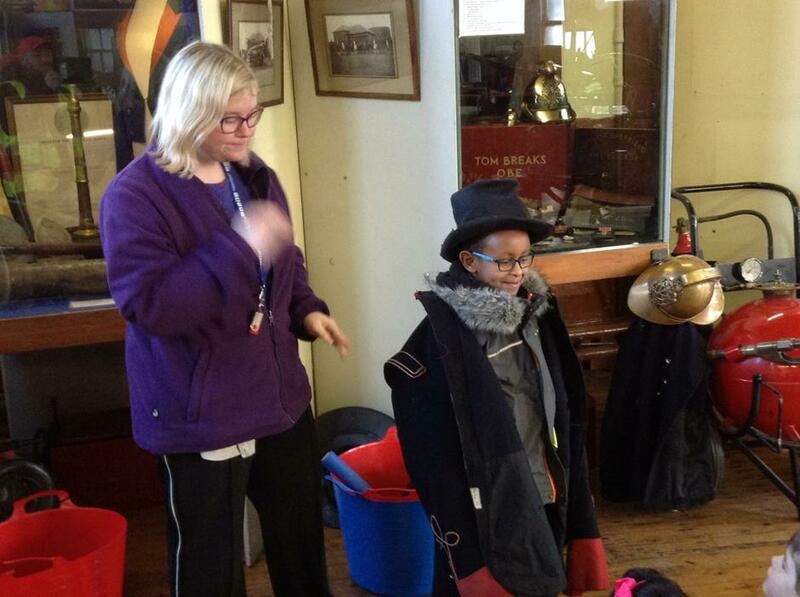 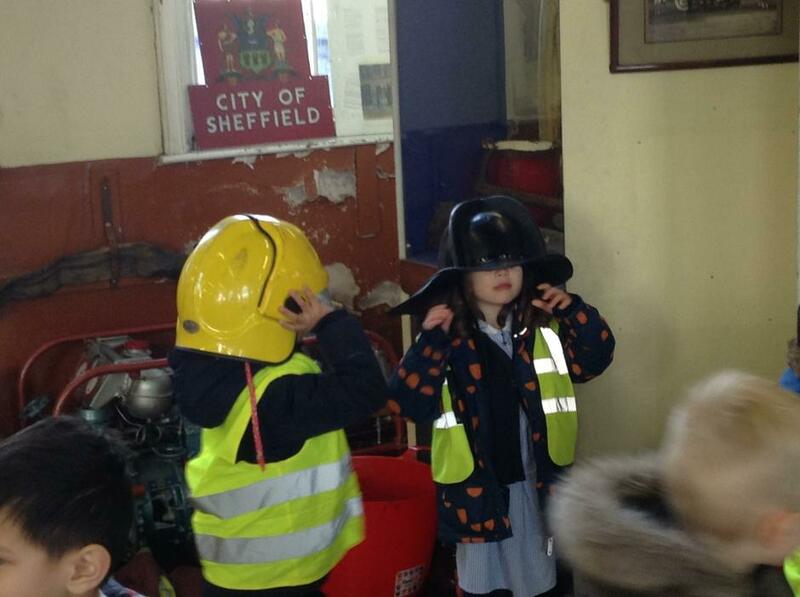 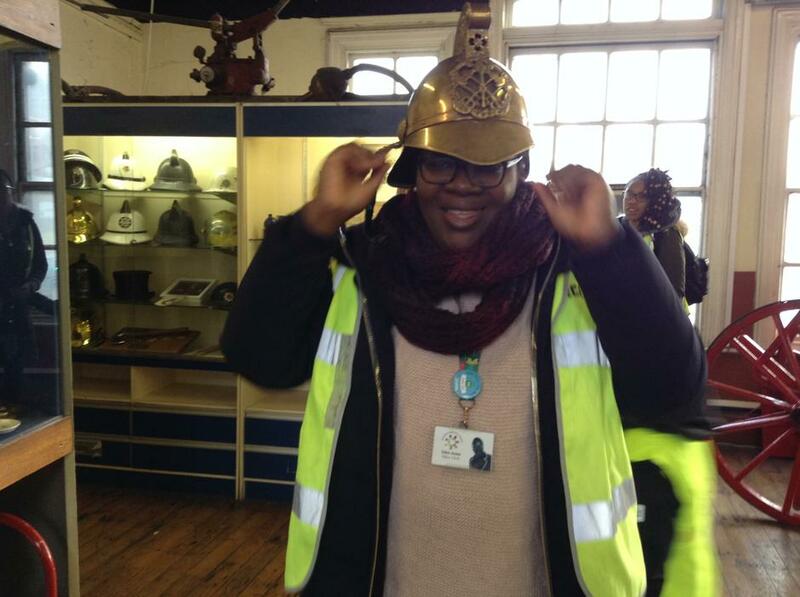 The children who were with the adults in Anansi class went to explore the second floor of the museum. 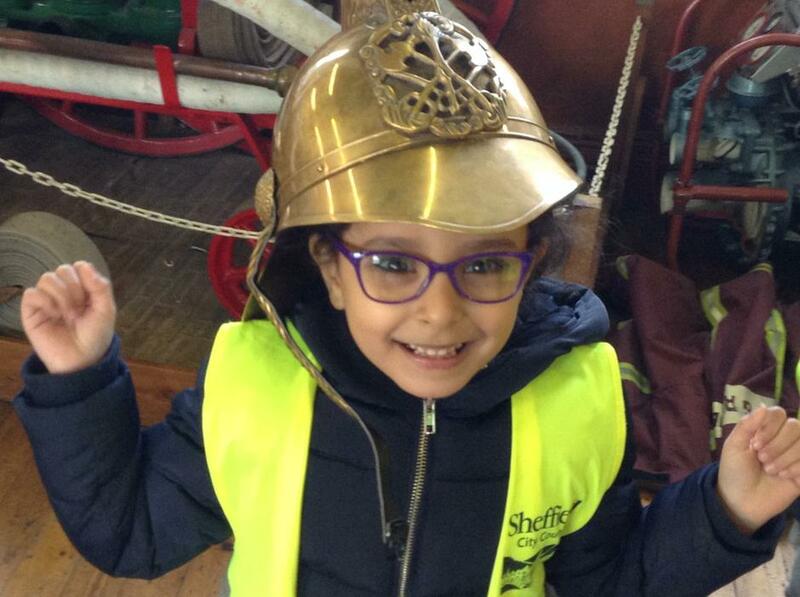 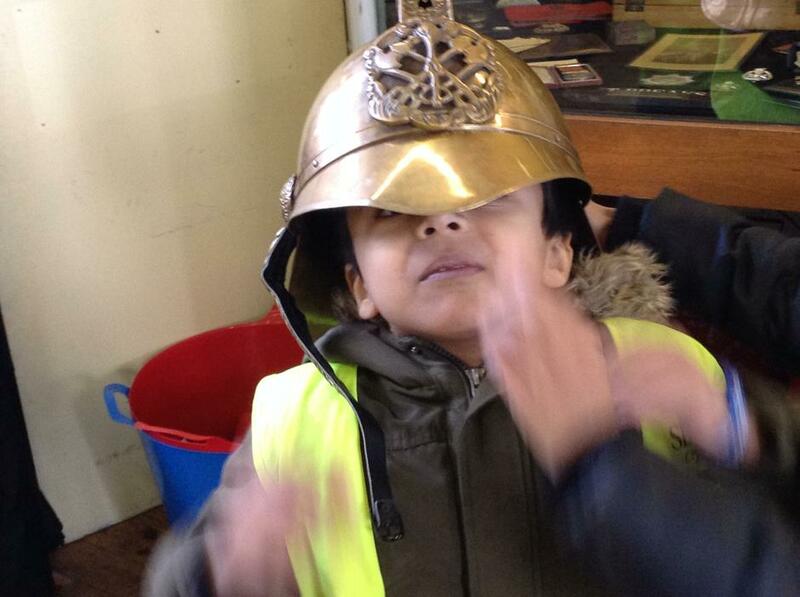 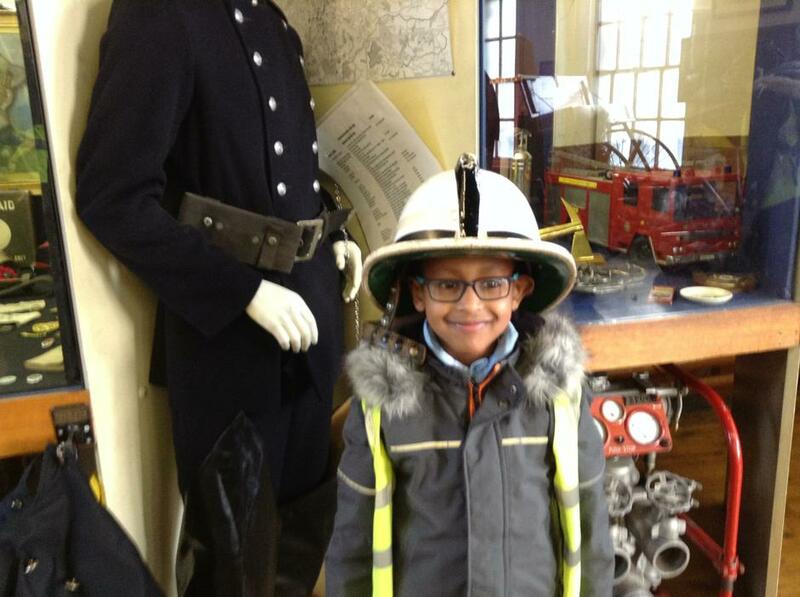 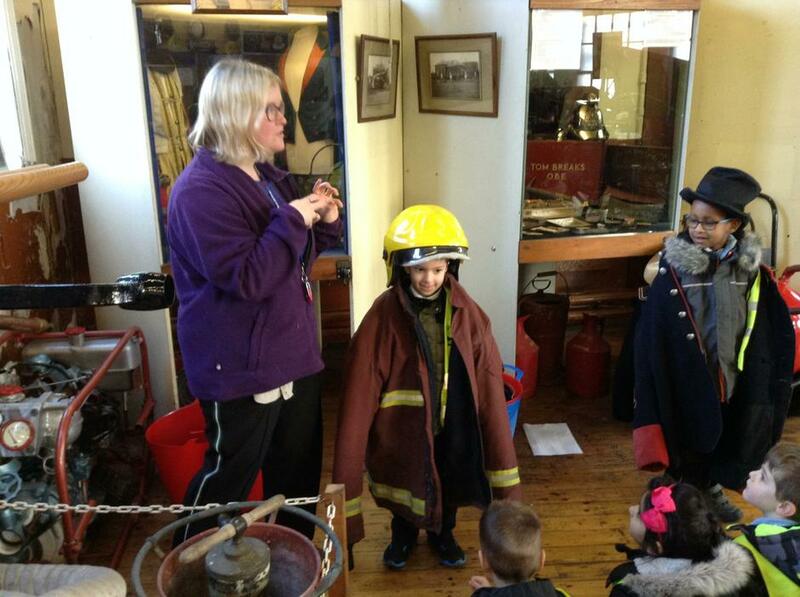 First, we had a lesson on The Great Fire of London and the adult at the museum was so impressed with the children’s knowledge surrounding the topic. 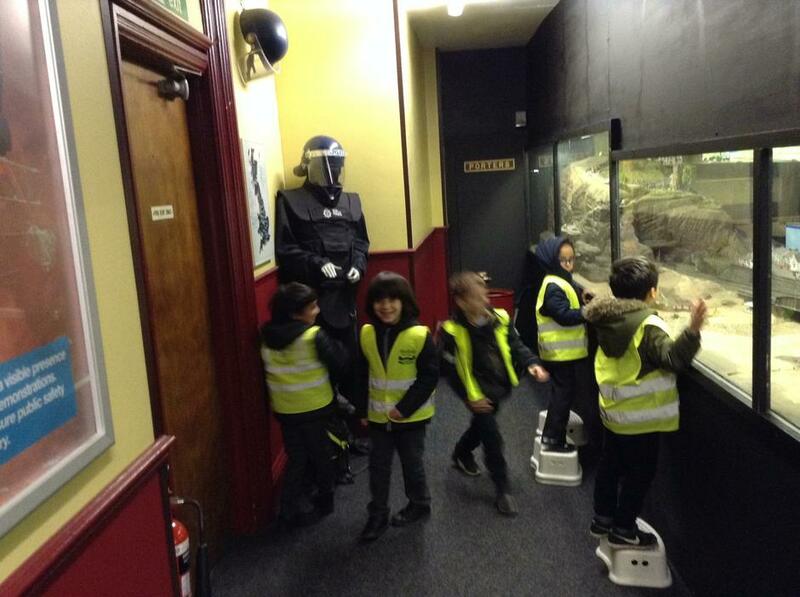 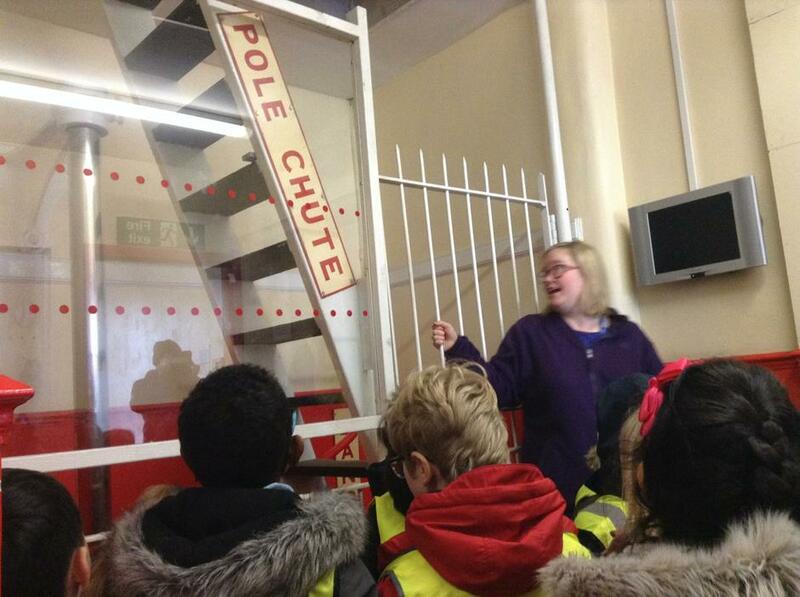 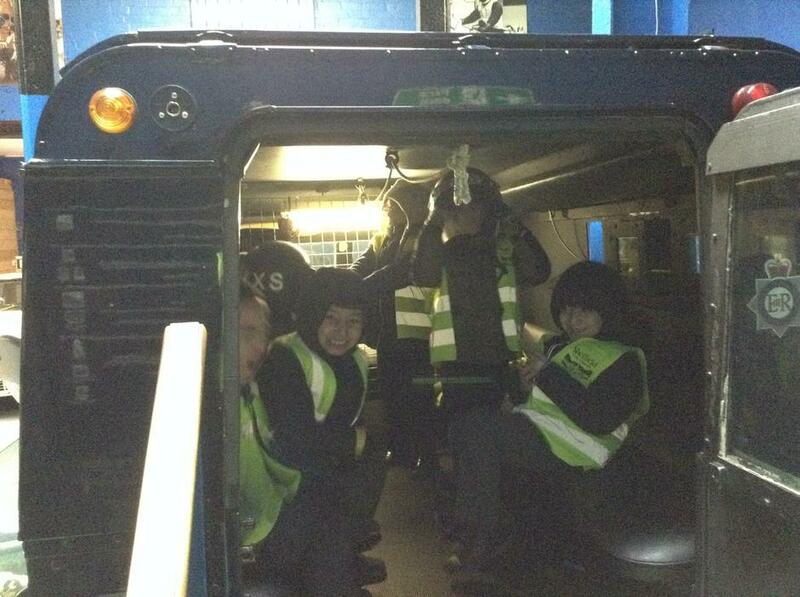 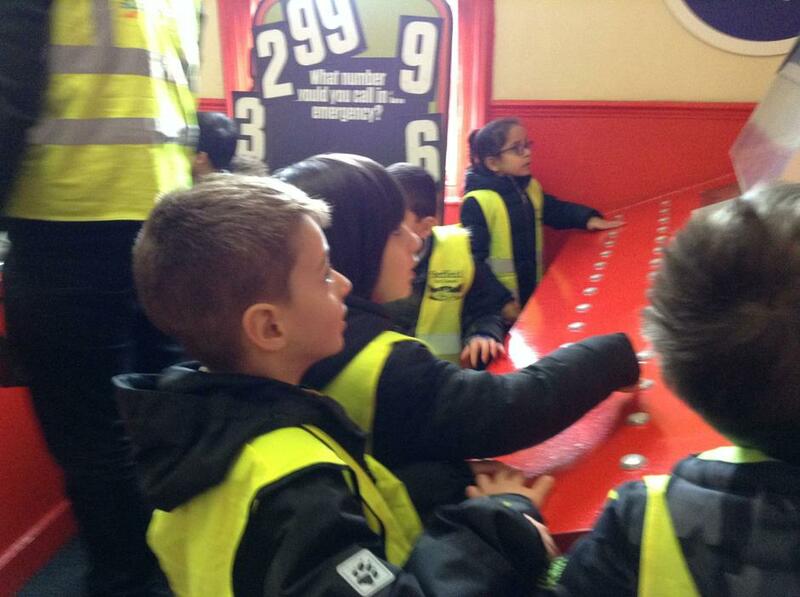 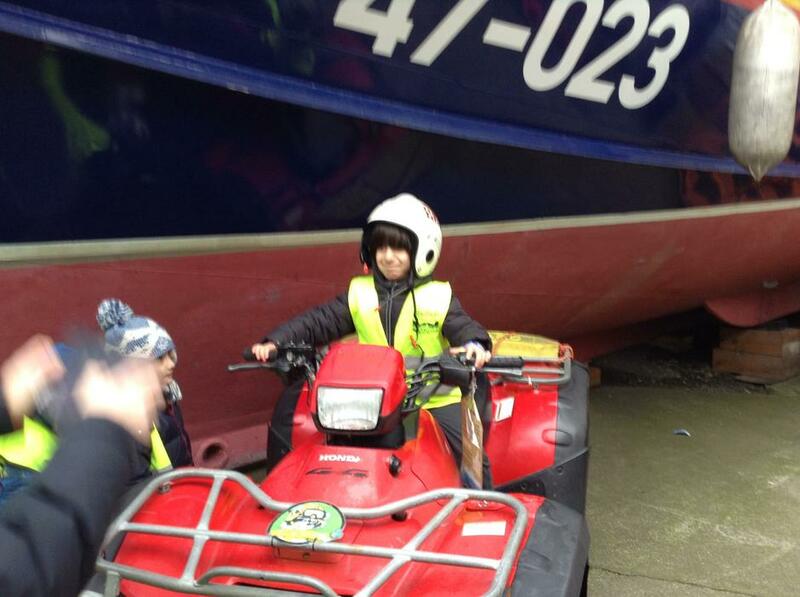 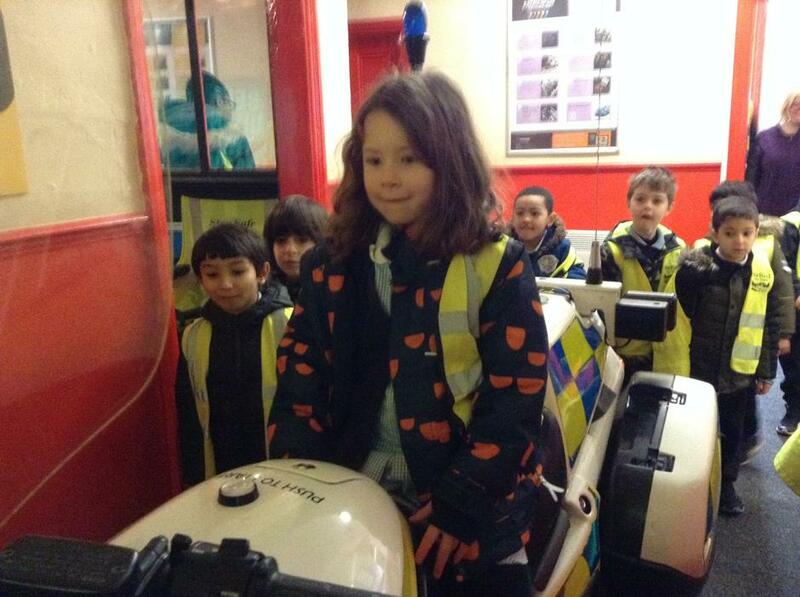 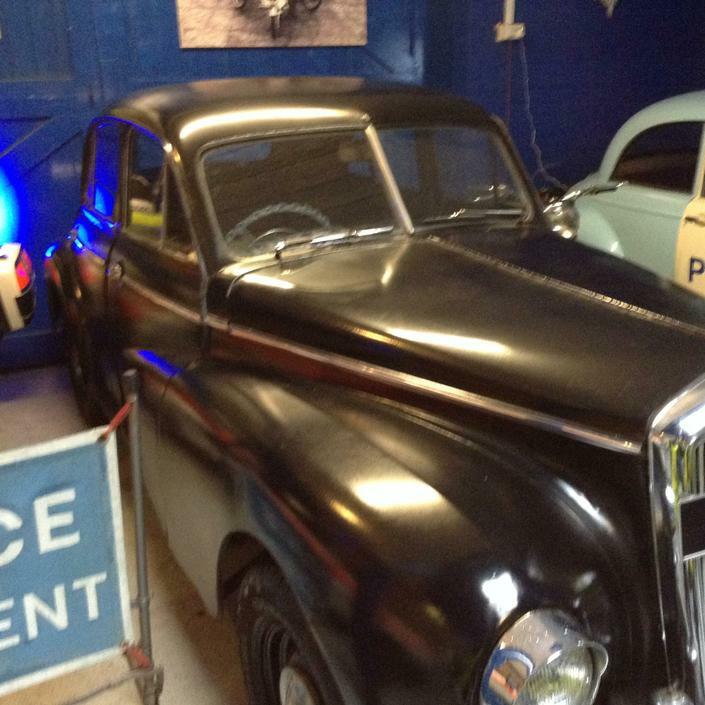 Later on, we explored all the rooms and had a go on the police bike and mini climbing wall. 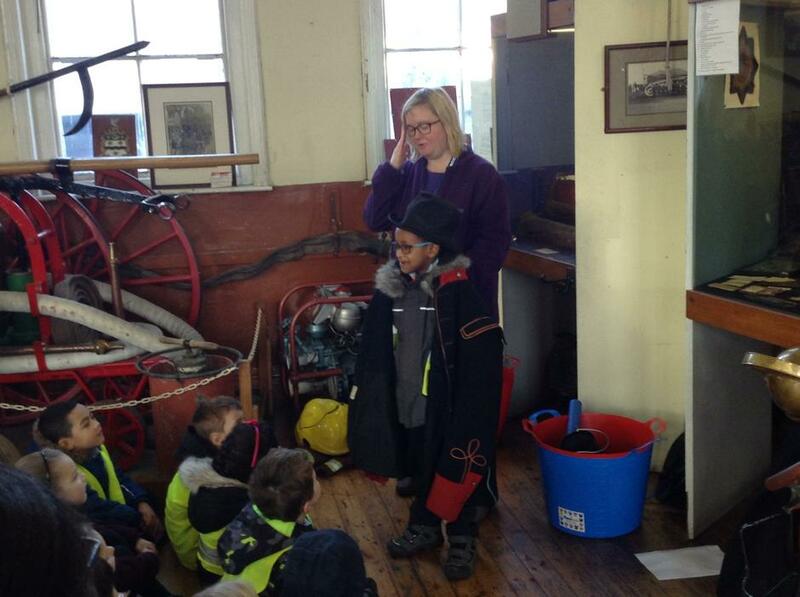 We all travelled back to school and then talked about what an amazing day it had been. 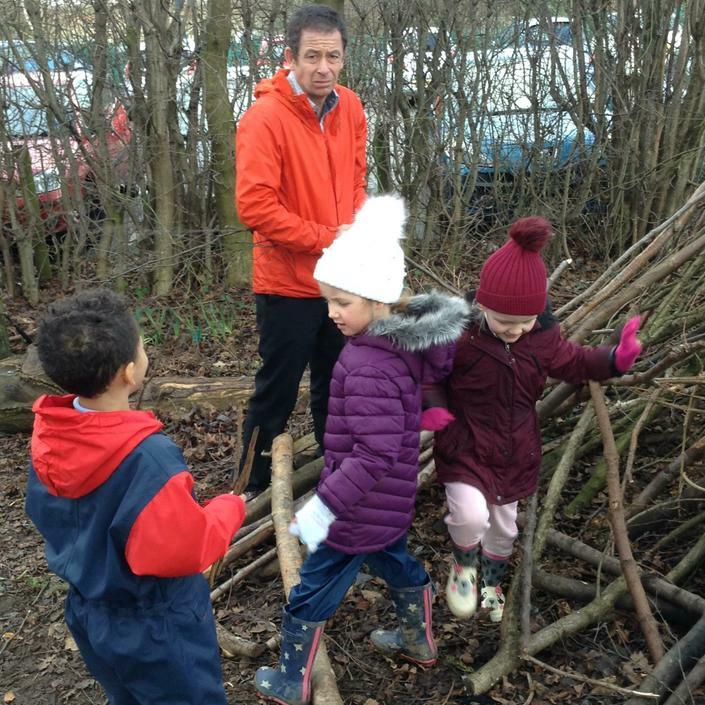 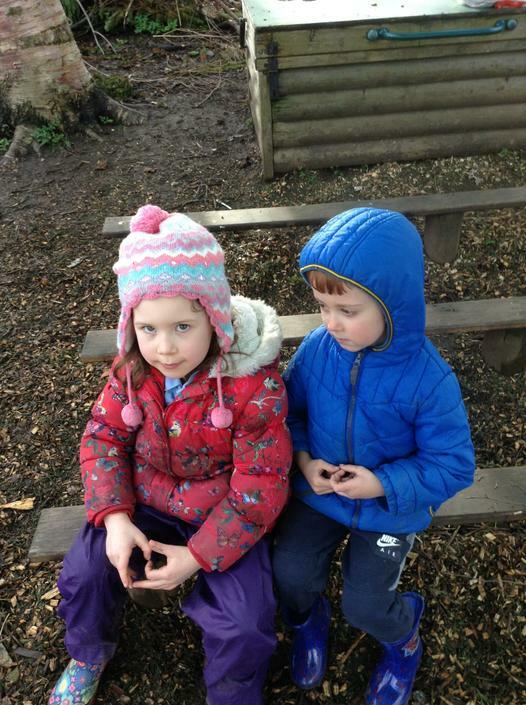 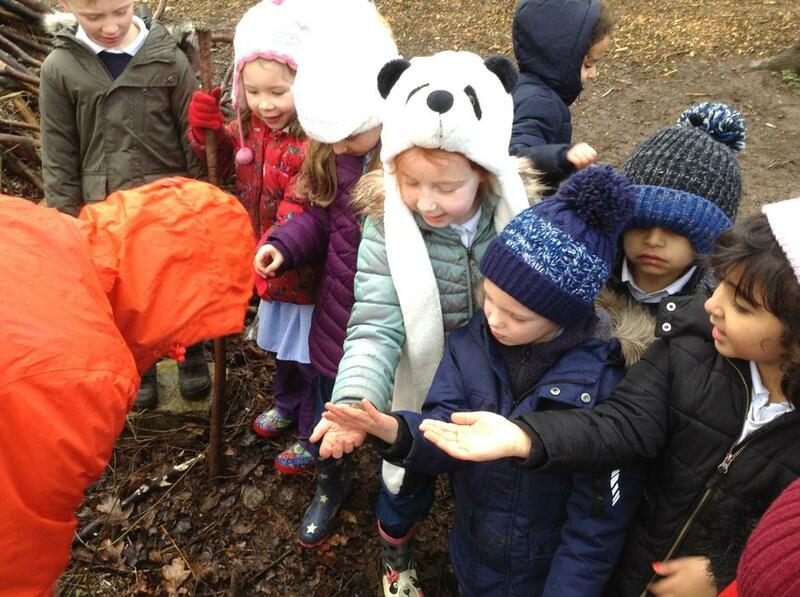 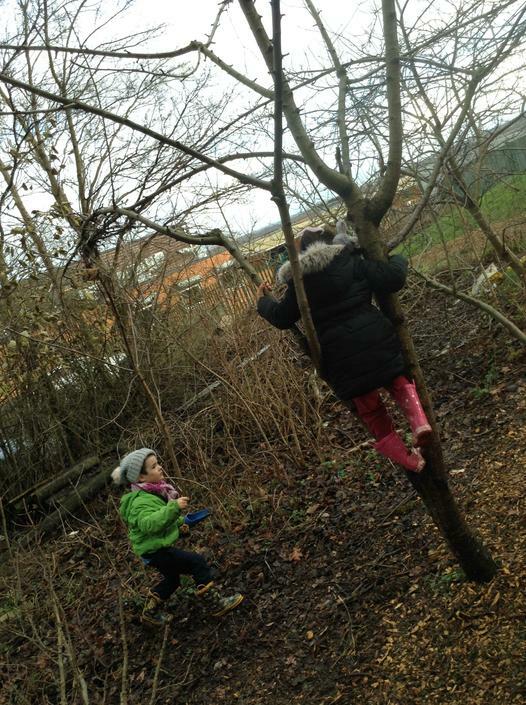 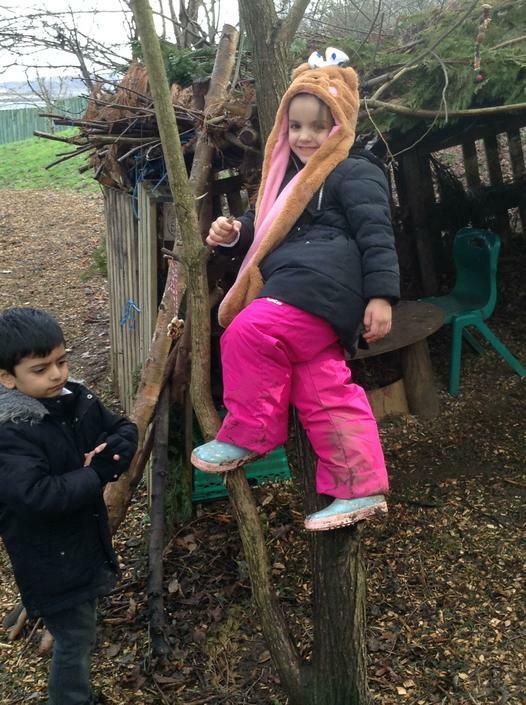 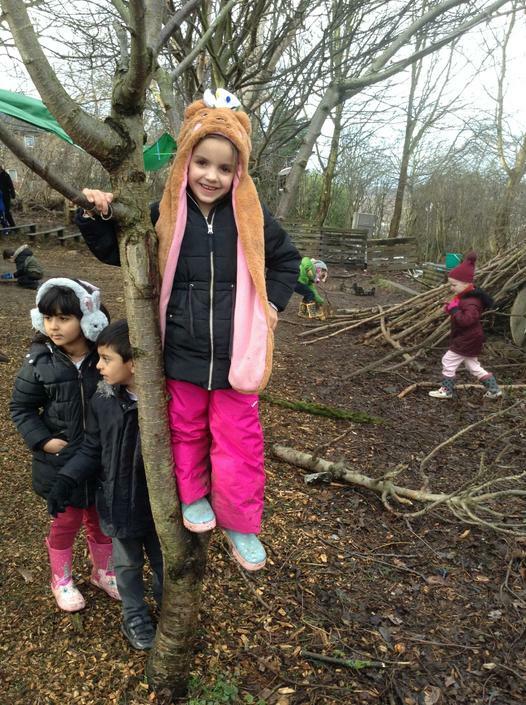 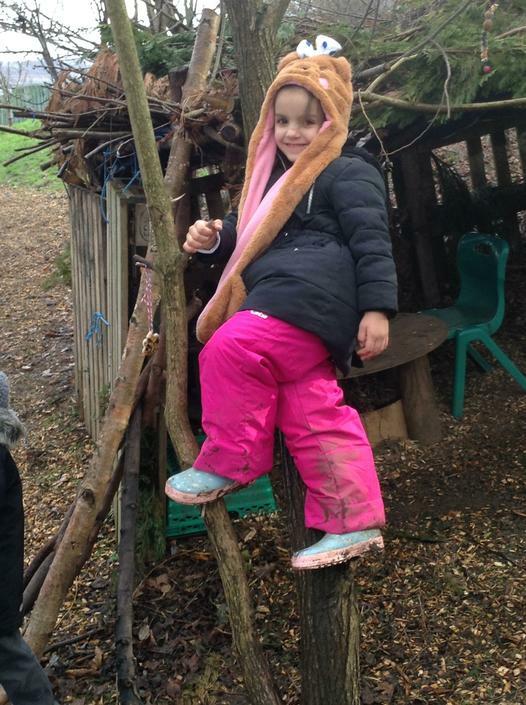 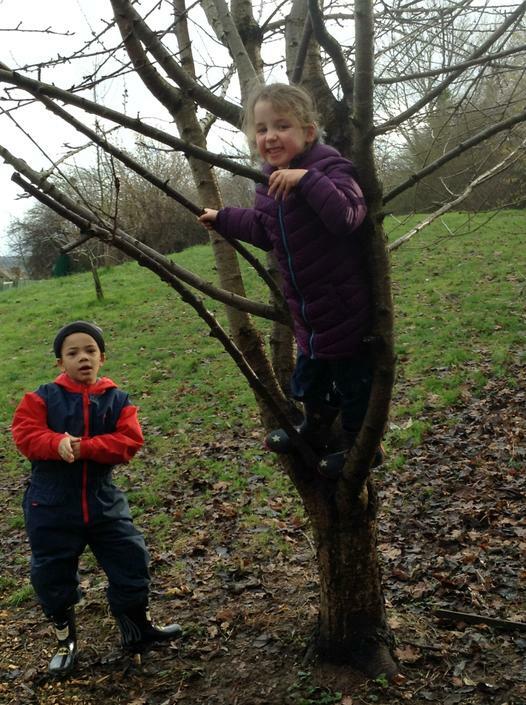 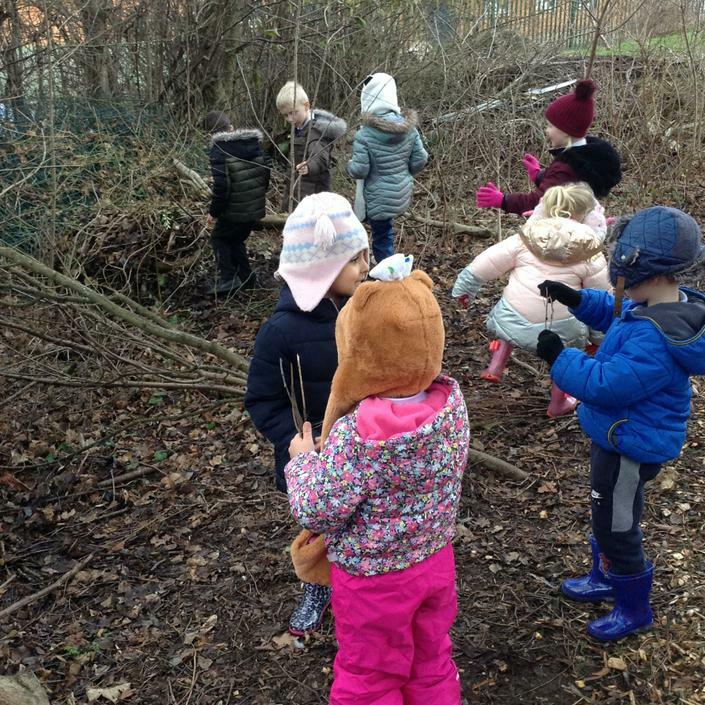 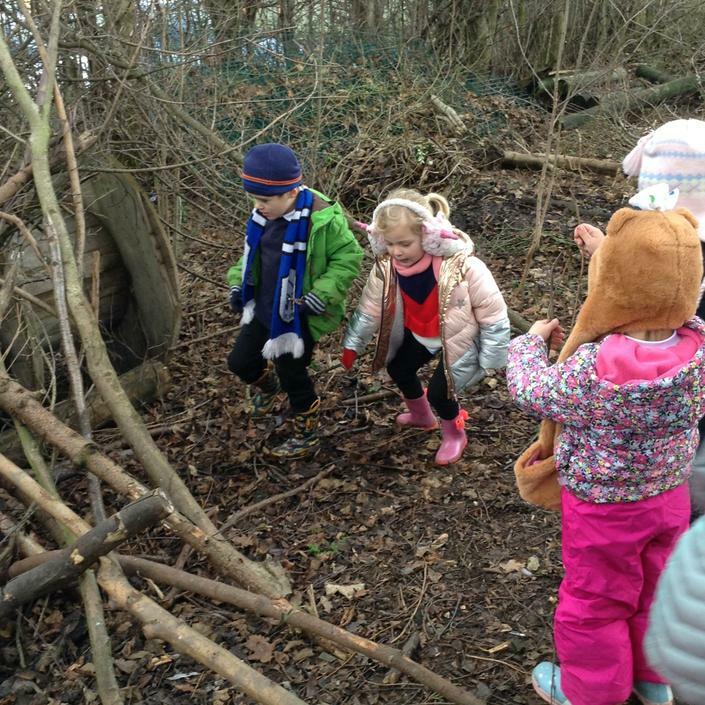 Next week, is another exciting week as it is forest school and we have planned many fun activities for the children to do. 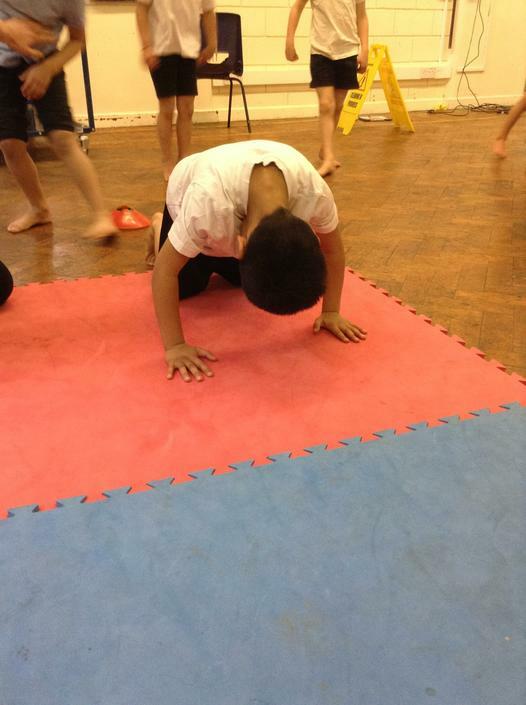 Underneath are all the pictures from this week most of them showing how much fun we had on our school trip. 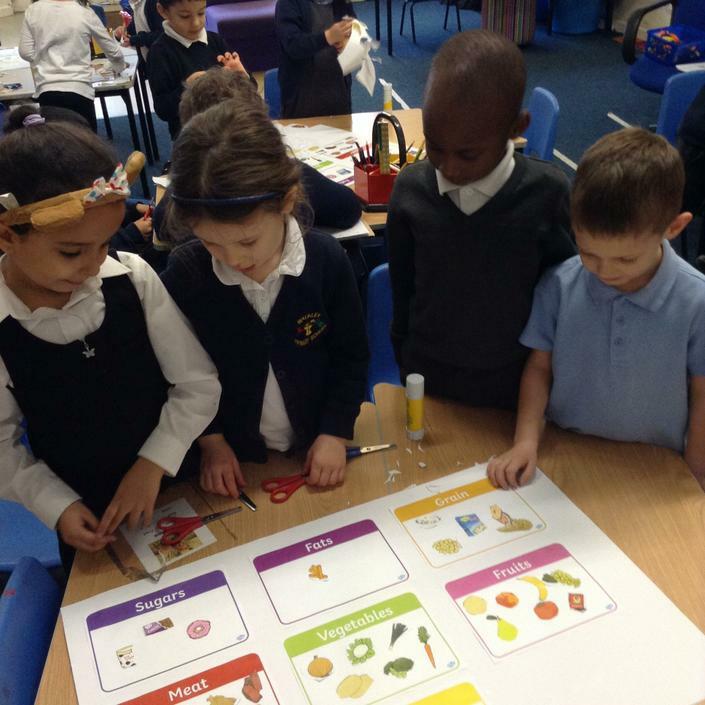 This week we have some much fun with our learning. 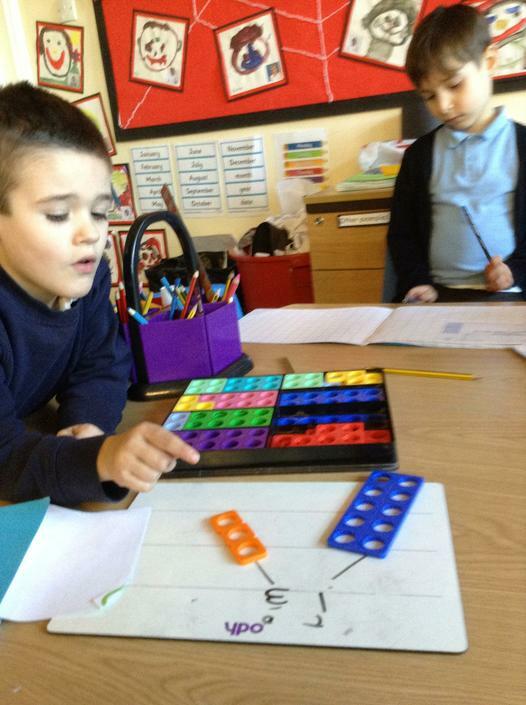 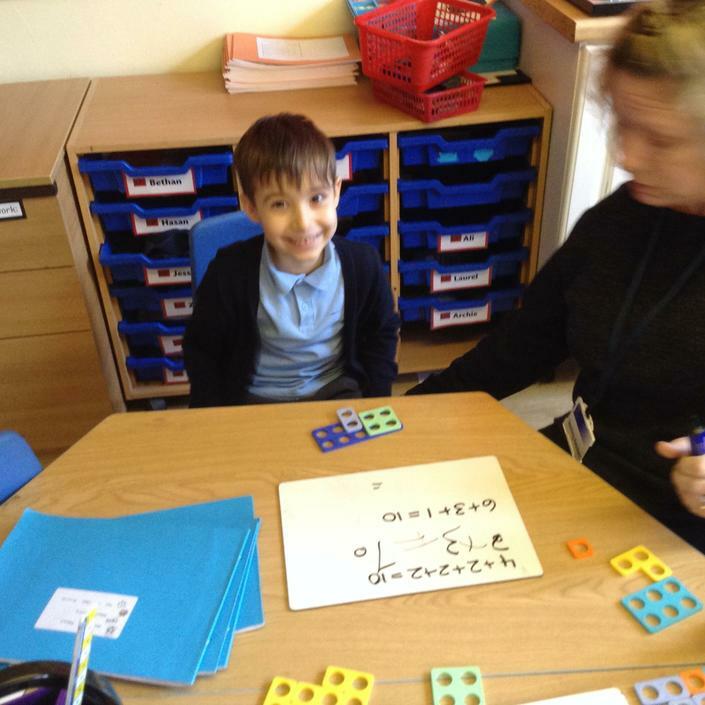 In maths, we looked at place value and how to partition numbers into tens and ones. 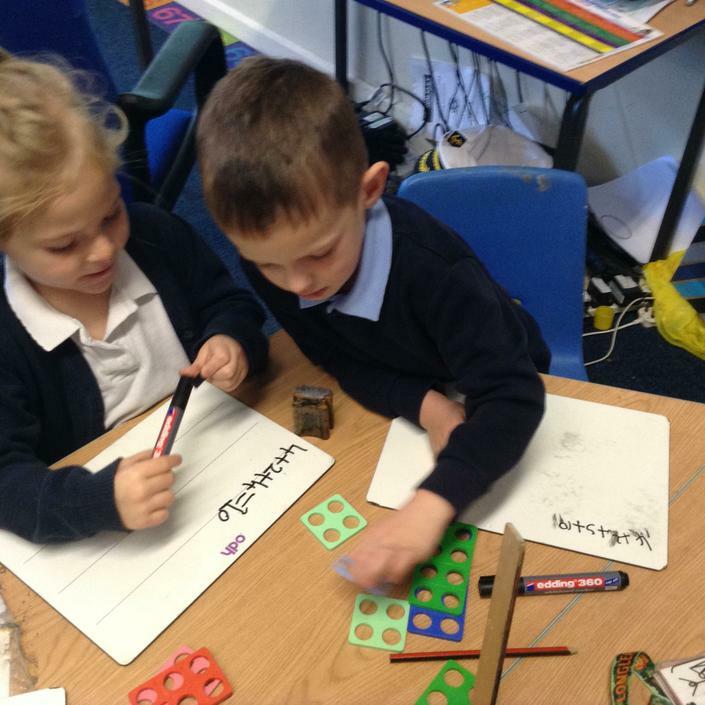 We started off by using ten frames to show how many tens and ones were in a number. 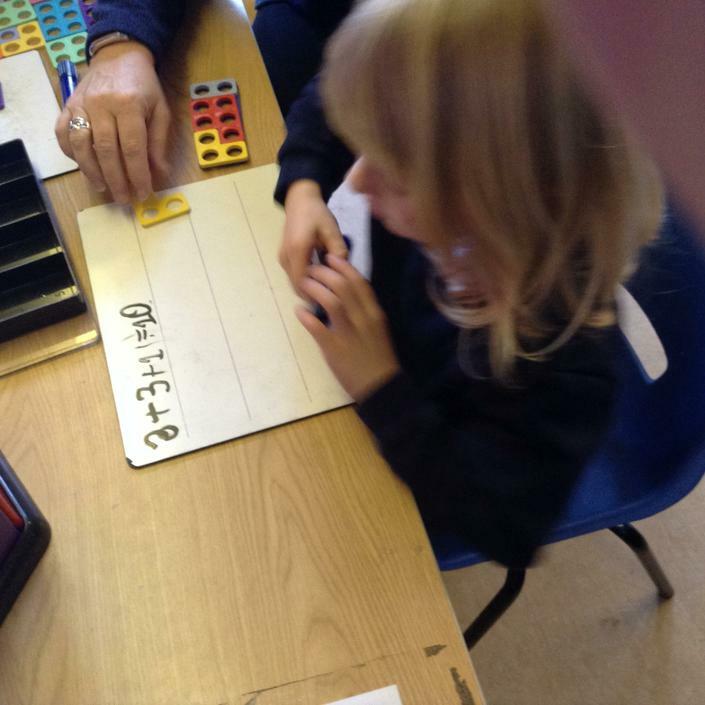 We then progressed to using a number line. 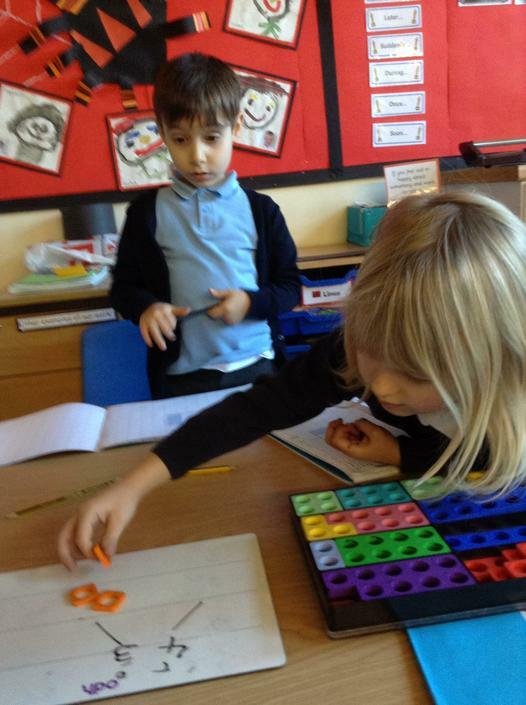 After, we drew sticks from the tens and ones to say how many tens and ones were in the number. 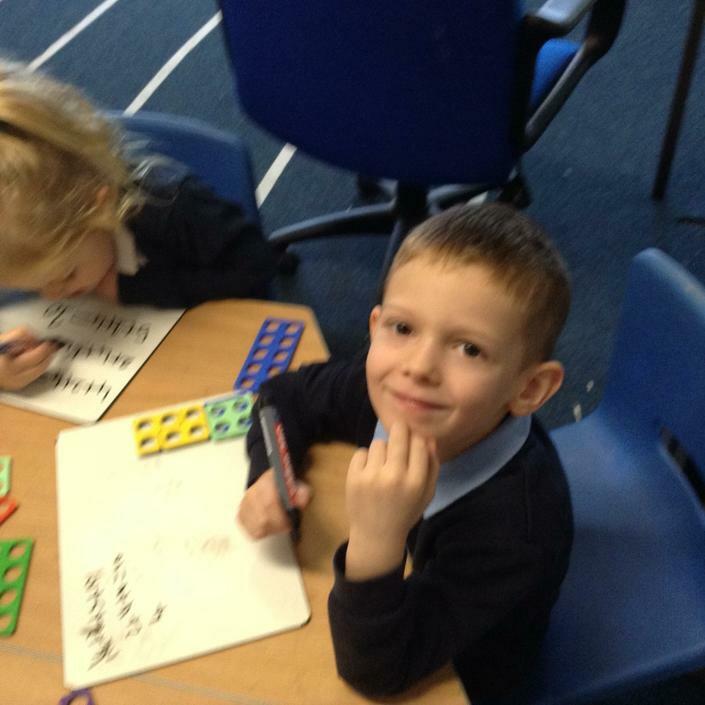 Finally, we added the numbers back together to show the whole number again. 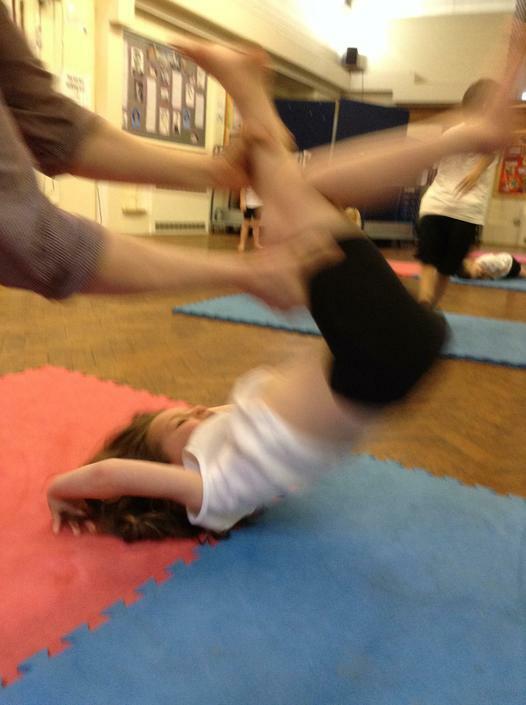 This week in gymnastics, we worked on a new balance. 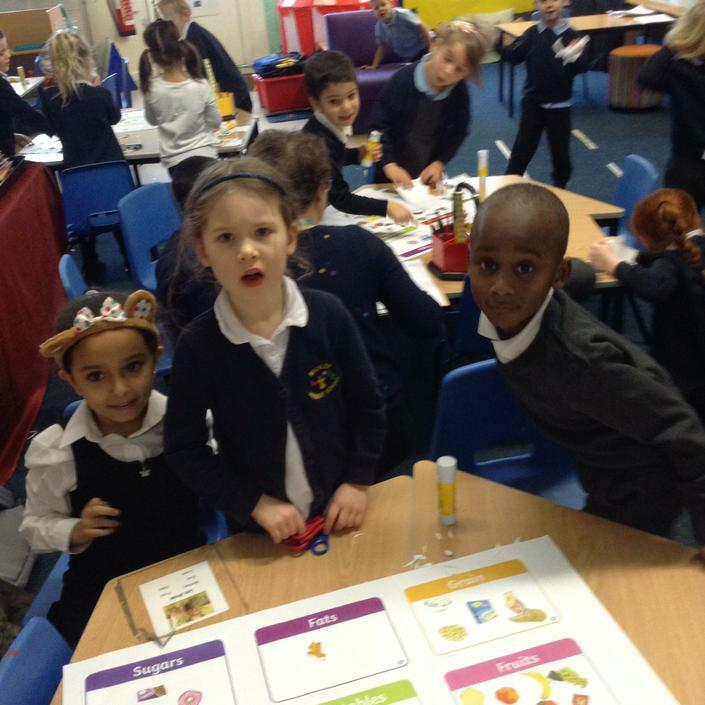 We recapped all the previous rolls we had learnt and had a carousel of activities. 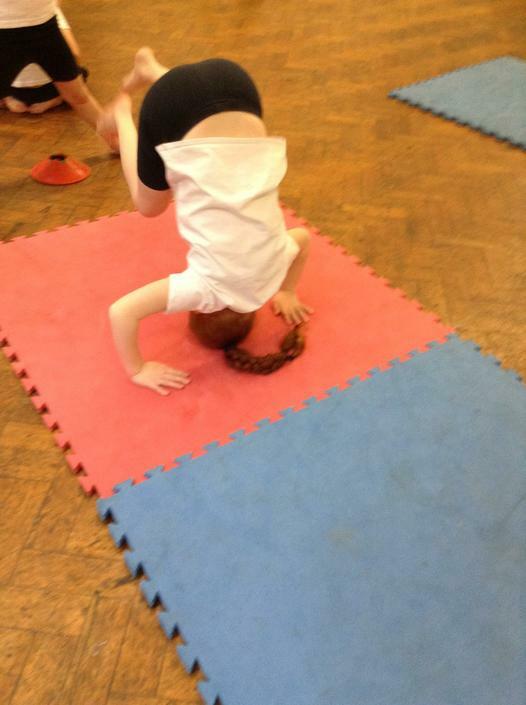 The balance that we learnt this week, was a headstand. 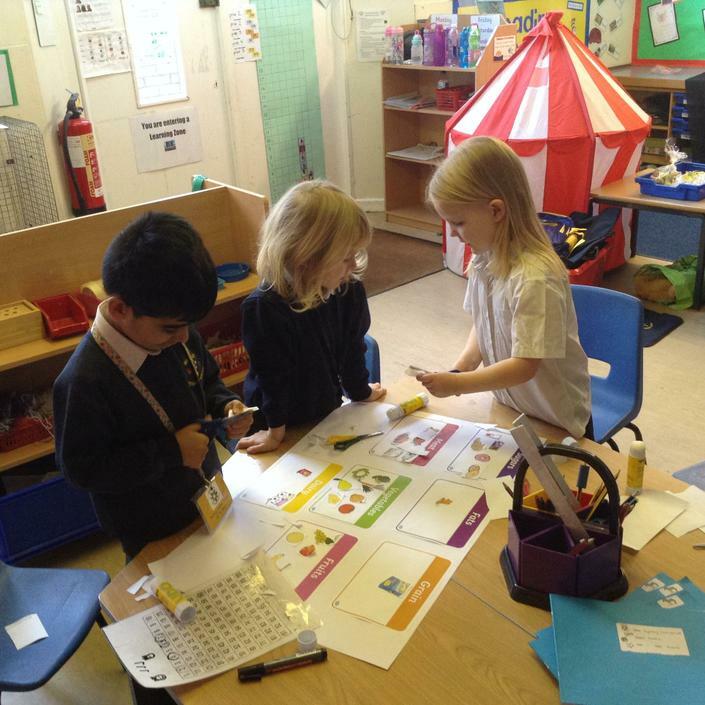 Children worked in a small group while being supported by the teacher and taken through the process step by step. 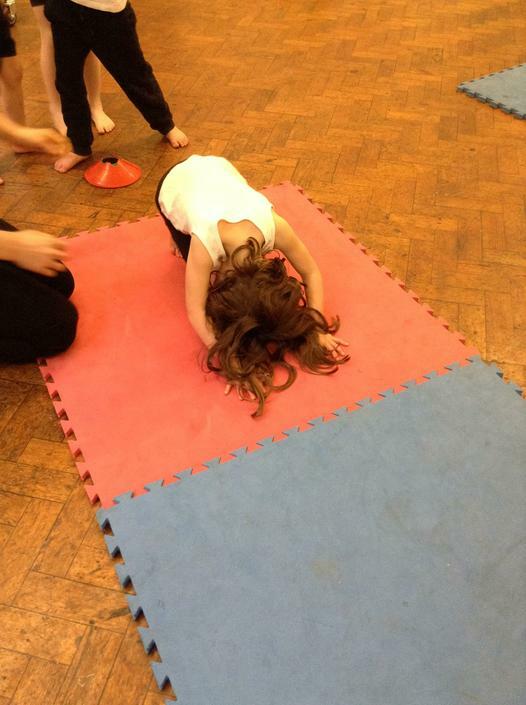 All the children had a go and all did a fantastic job. 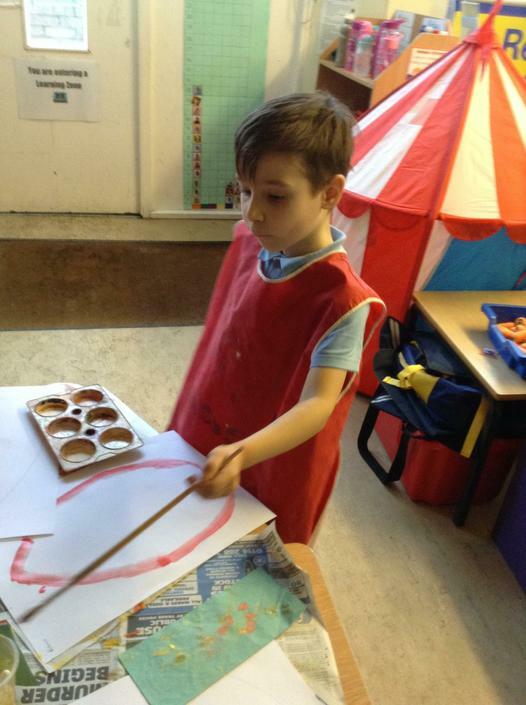 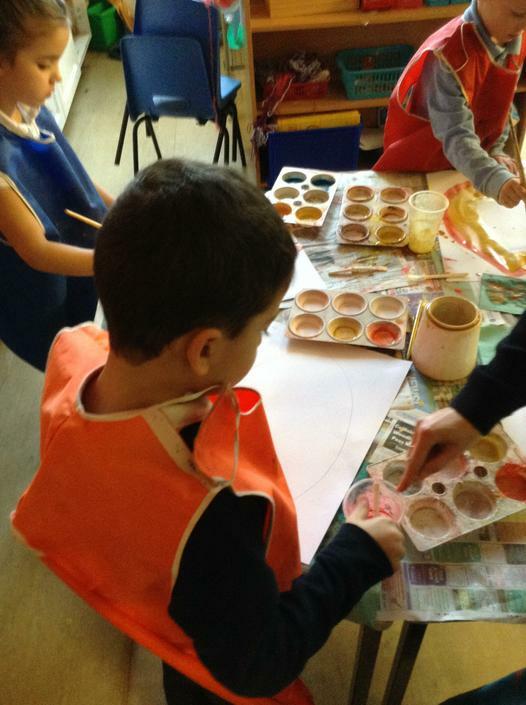 This week, we had a range of activities in our creative curriculum lessons. 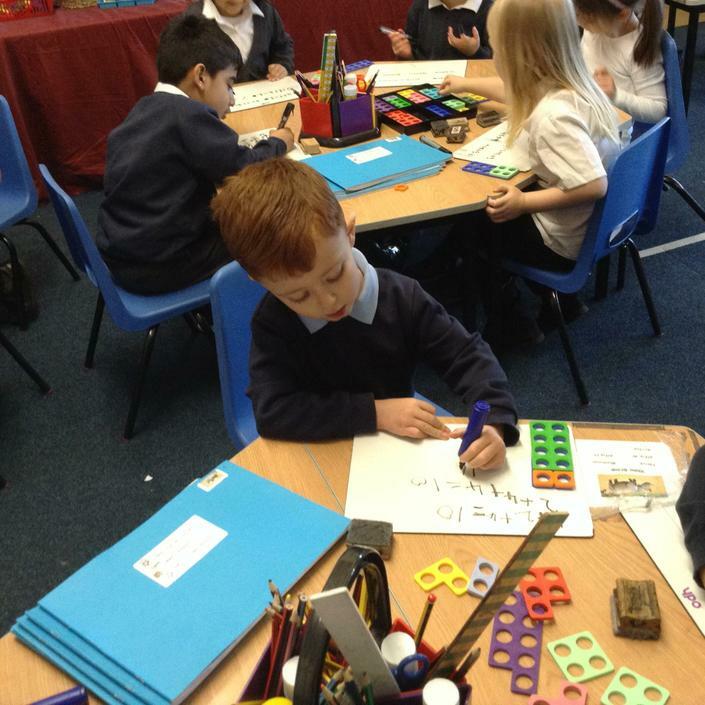 On Monday and Wednesday, the children started to write their first draft of their newspaper report. 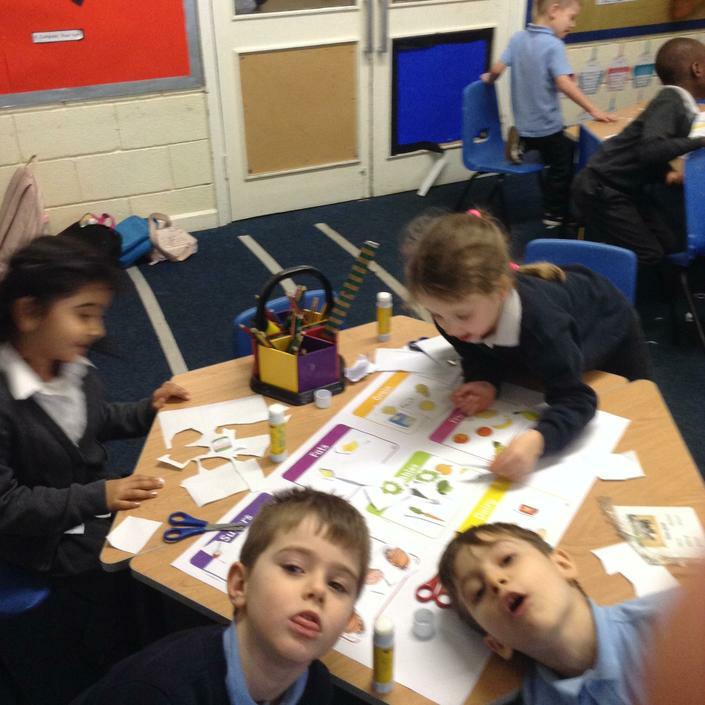 All the children did a great job using lots of adjectives and making their sentences really interesting. 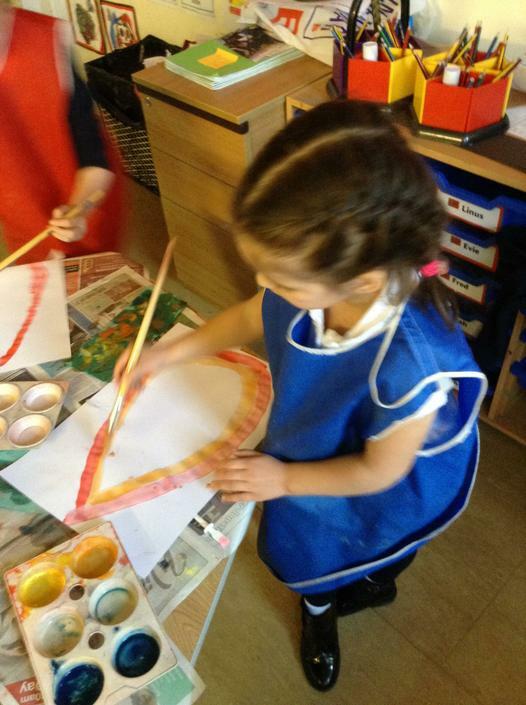 On Friday, we looked at another skill. 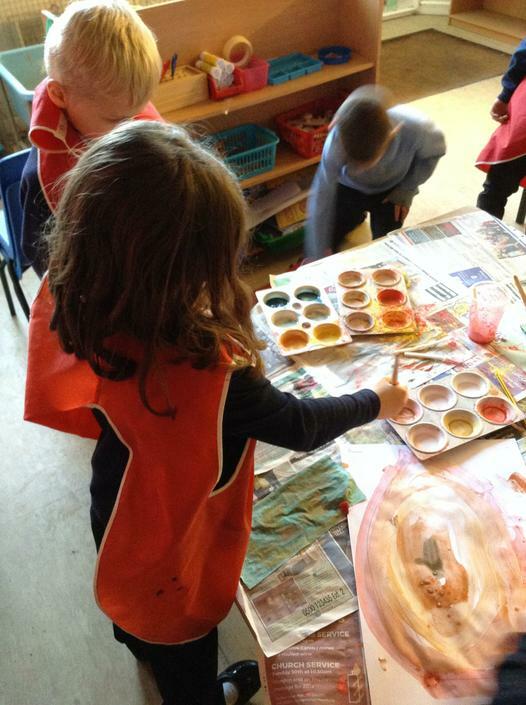 We looked at colour mixing and how to make secondary colours from primary colours. 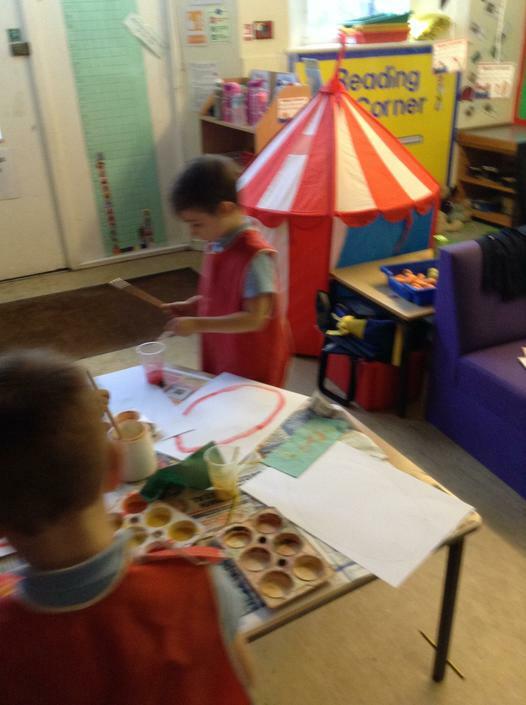 Again, we had a carousel of activities. 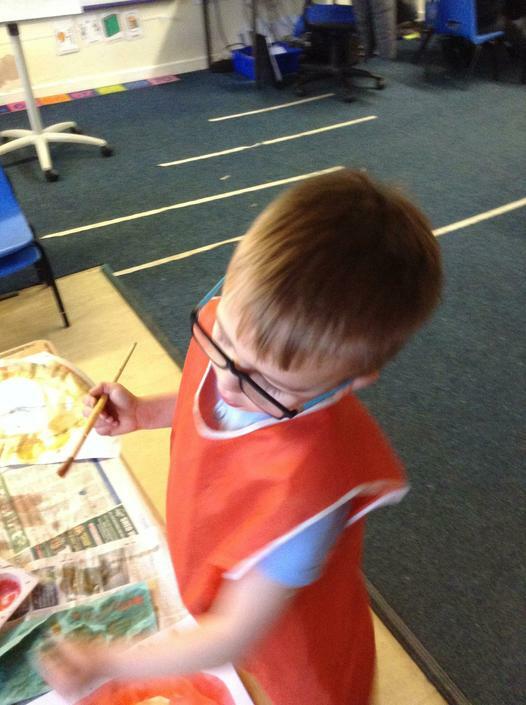 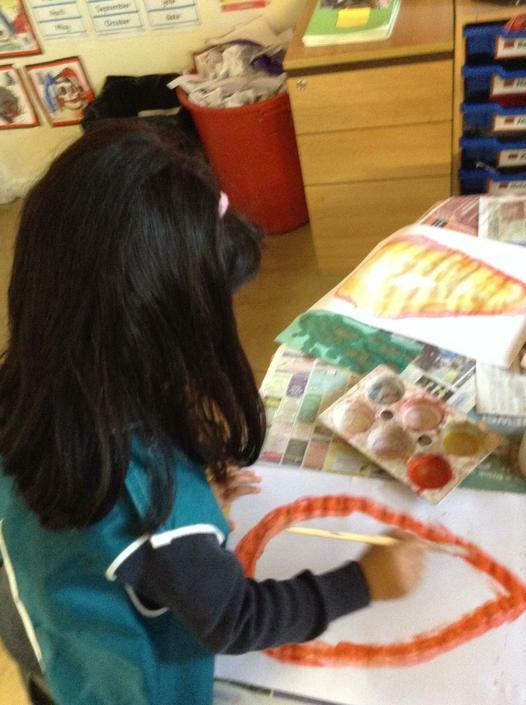 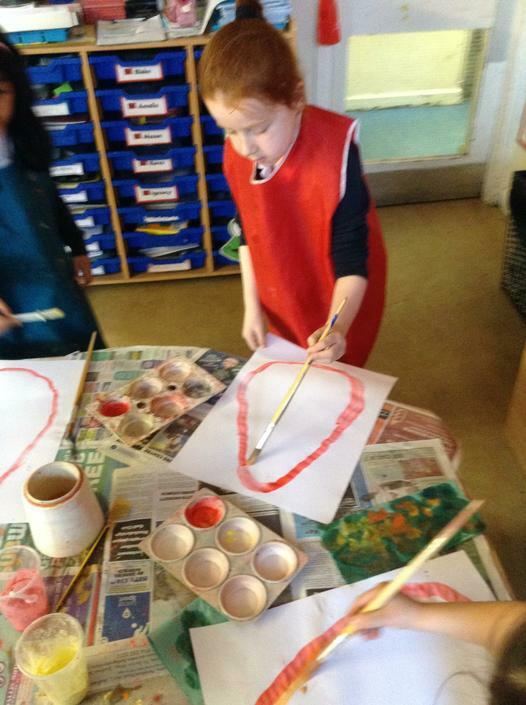 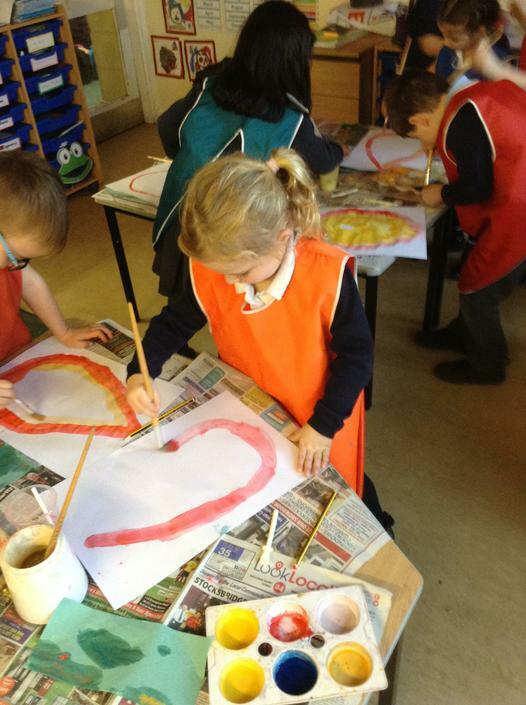 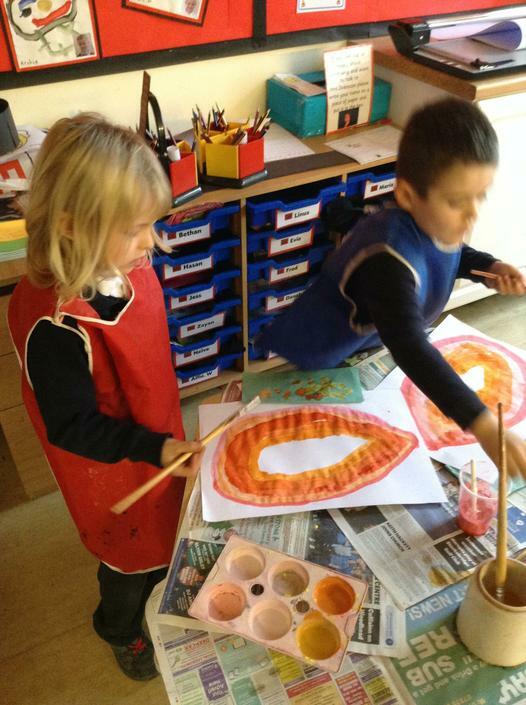 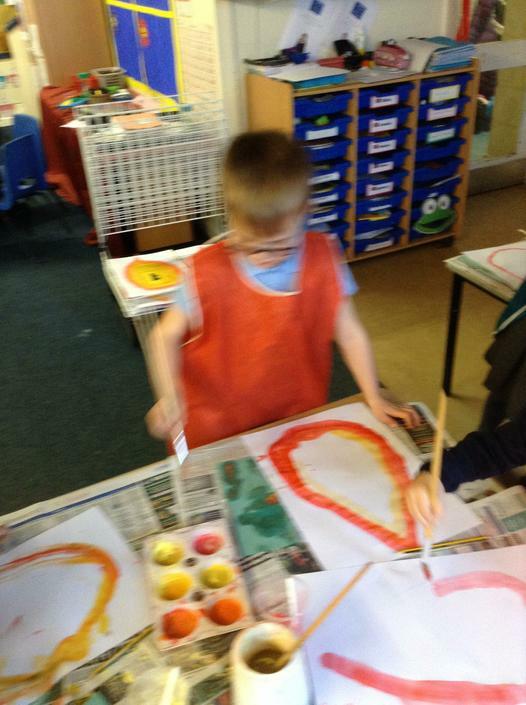 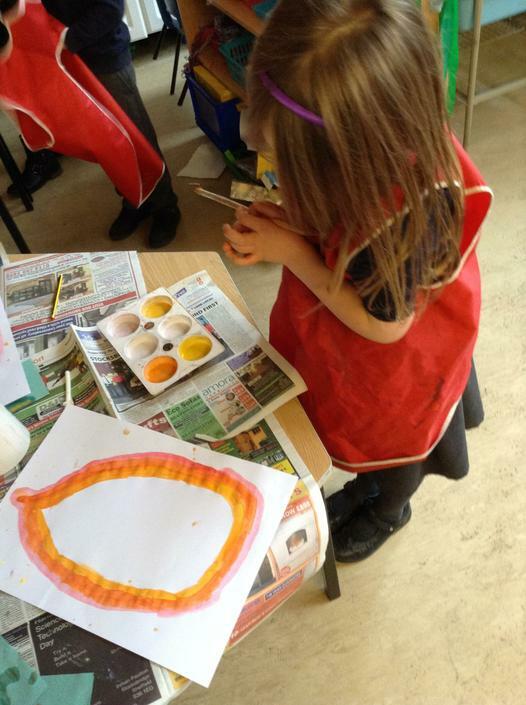 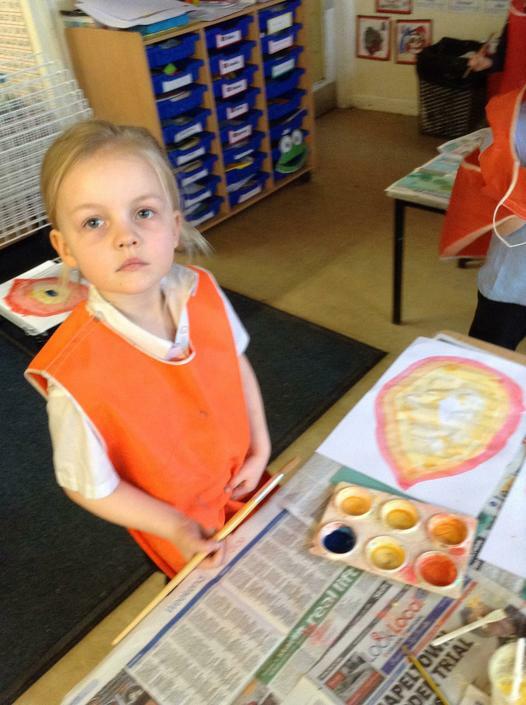 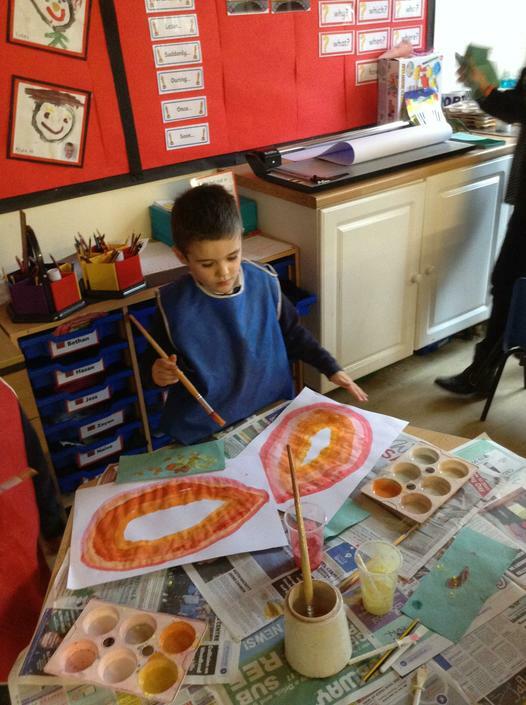 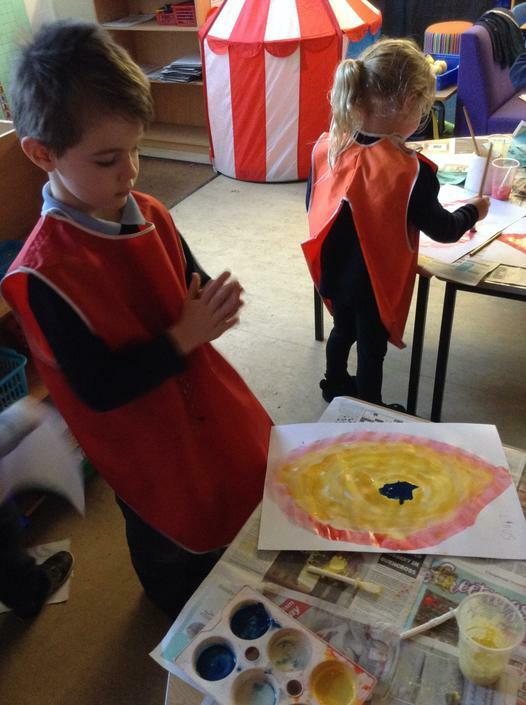 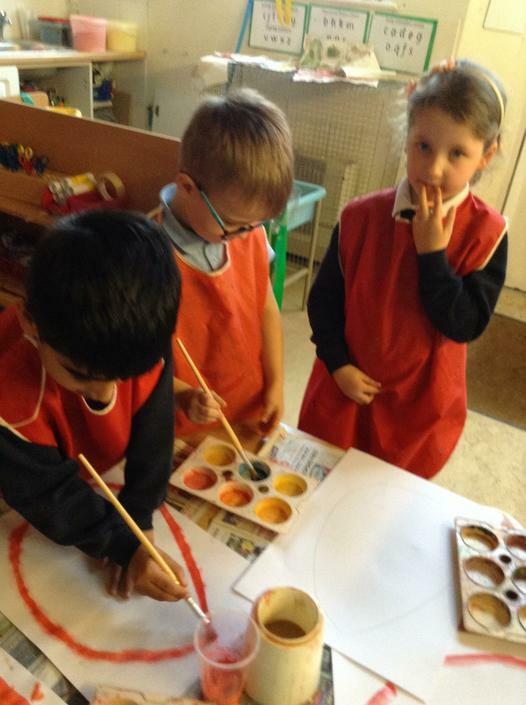 Some children painted a flame using the skills that they had learnt to mix colours and make orange. 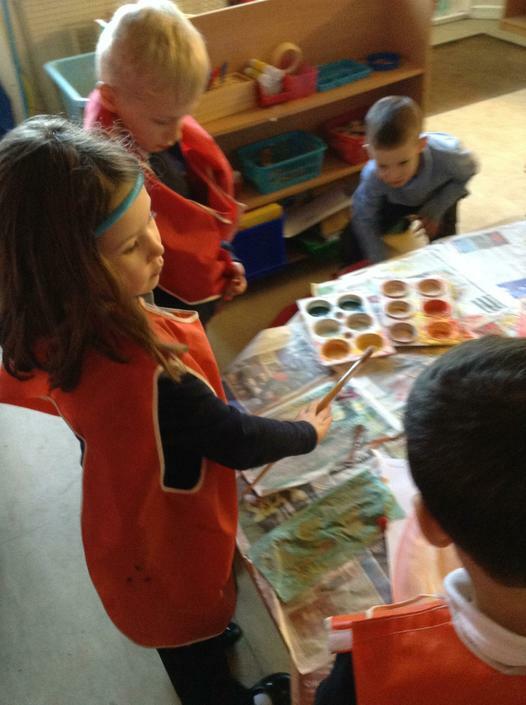 Each time they made the orange lighter and lighter. 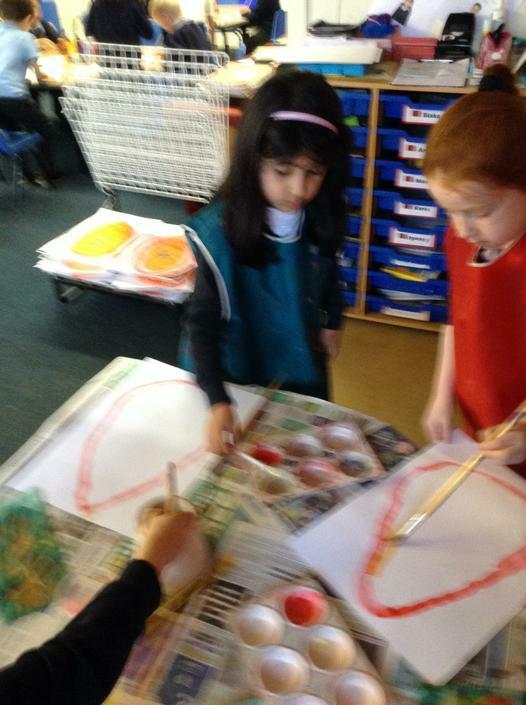 While children were painting, others were making a word mat for The Great Fire of London. 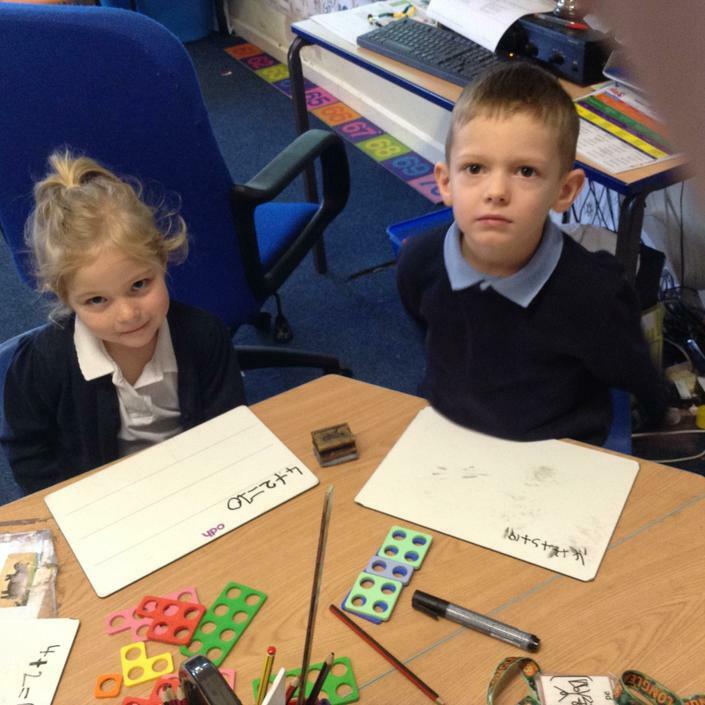 The were writing all the words they could think of that lined to The Great Fire of London. 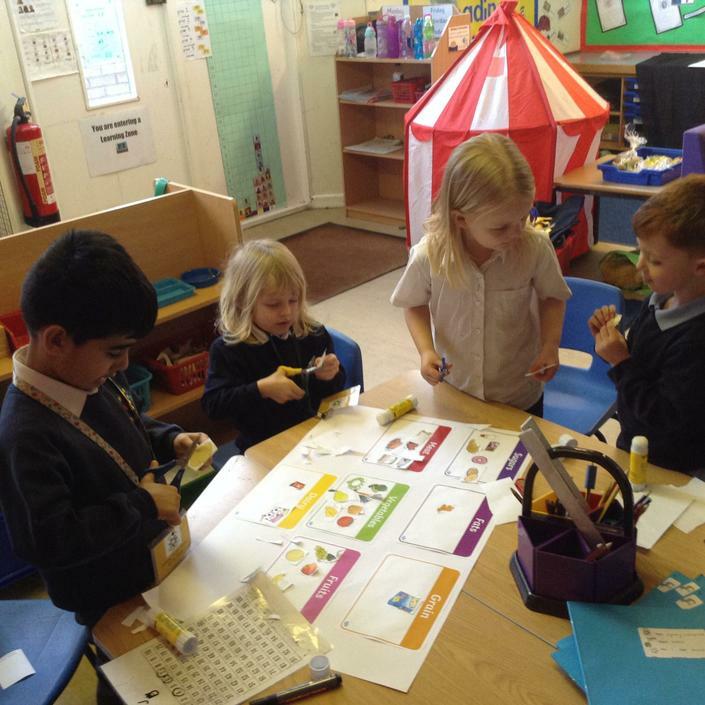 Other children, were reading with the teacher and learning more facts about our theme. 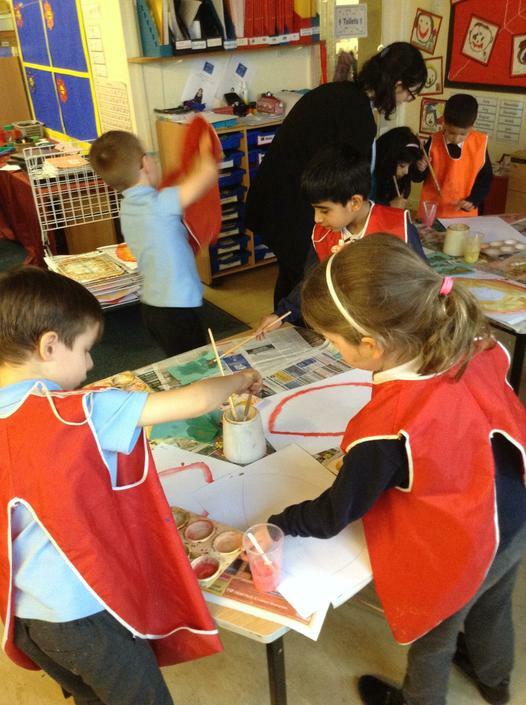 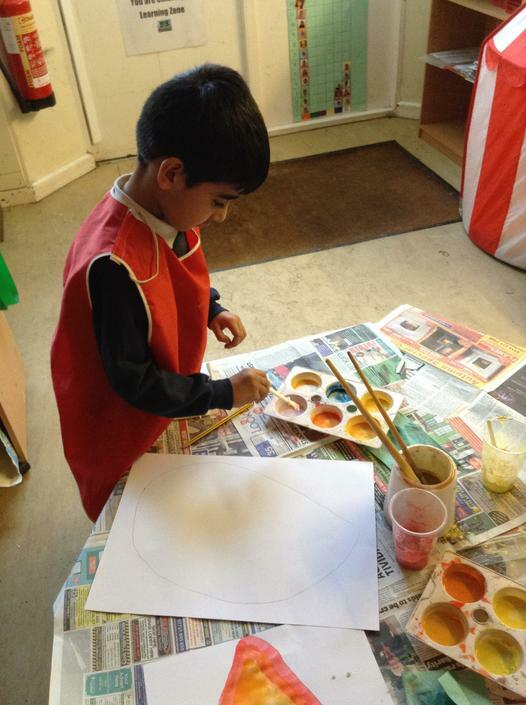 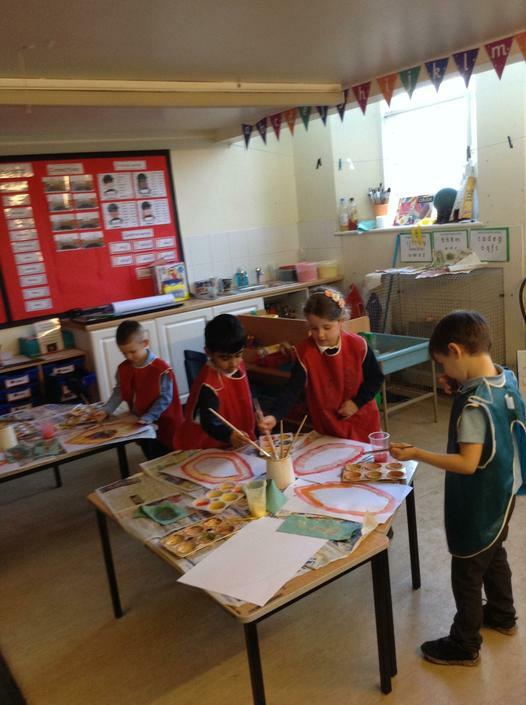 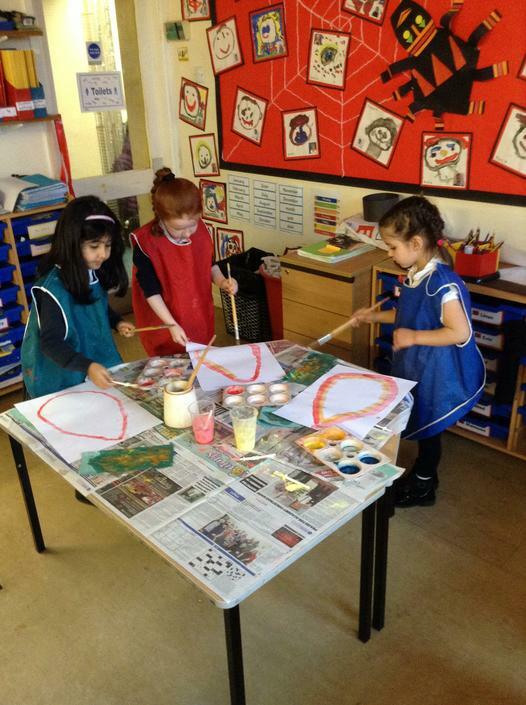 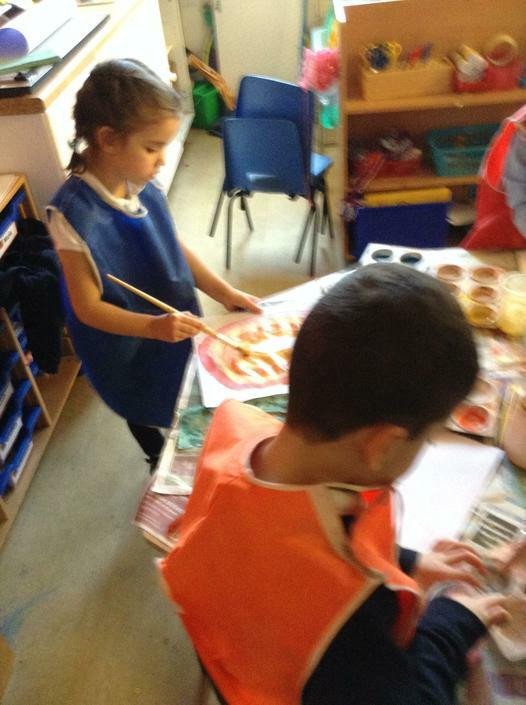 All the children had a chance to do all the activities and the results from the paintings were brilliant. 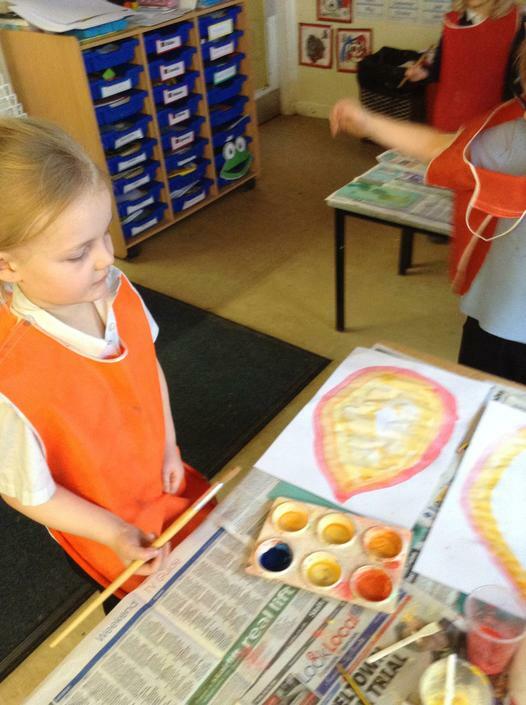 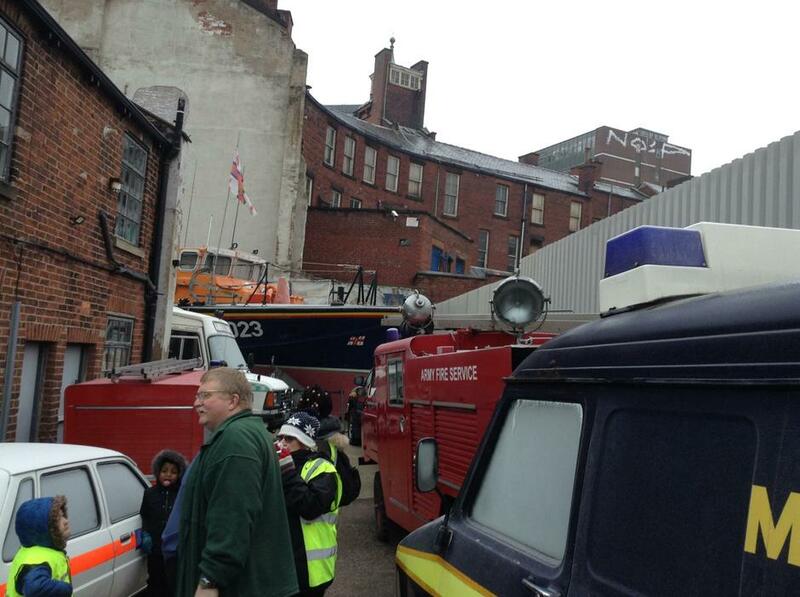 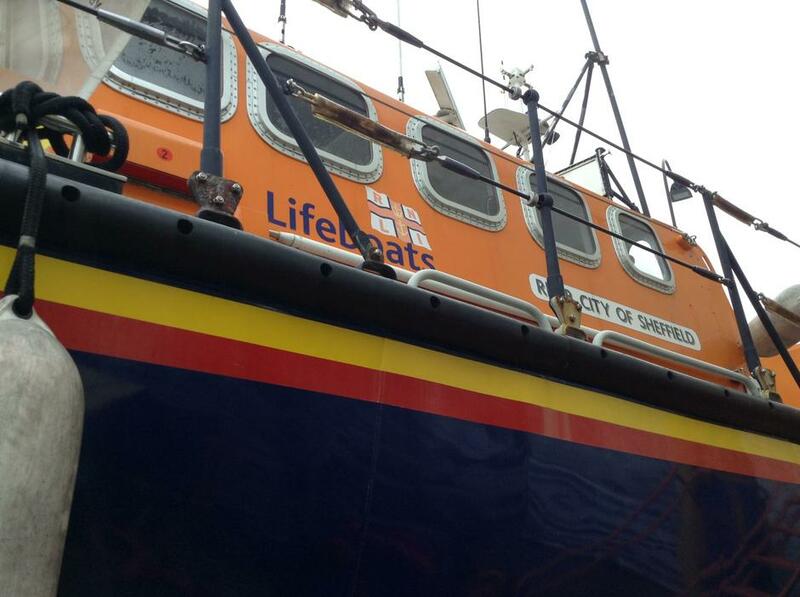 Take a look at some of the pictures from this week below. 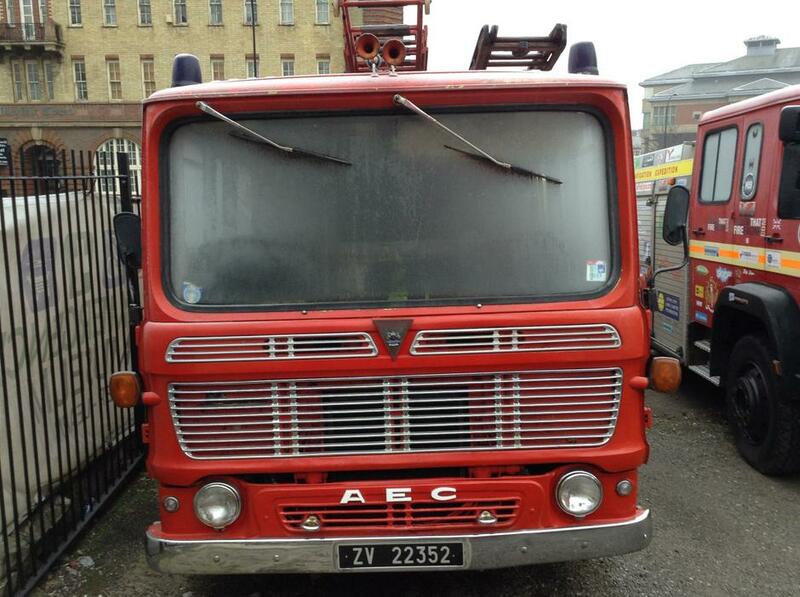 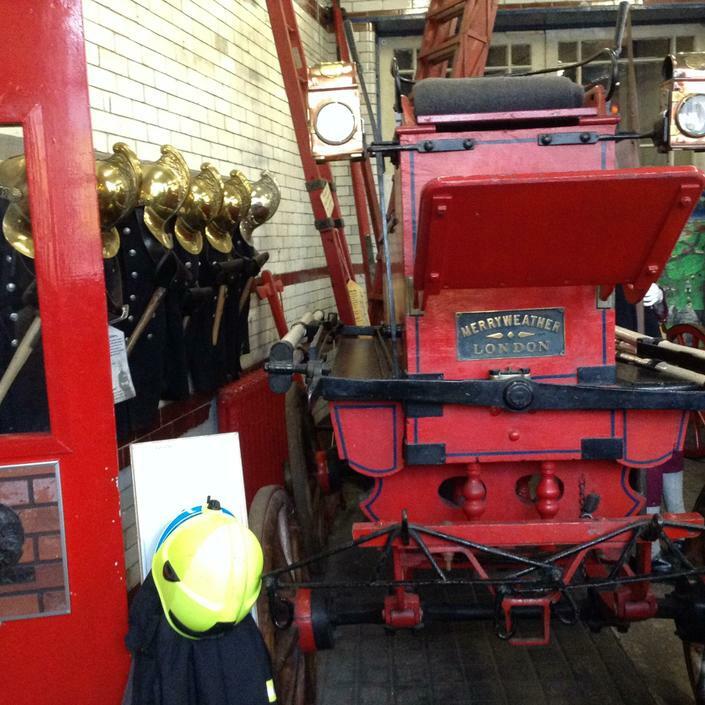 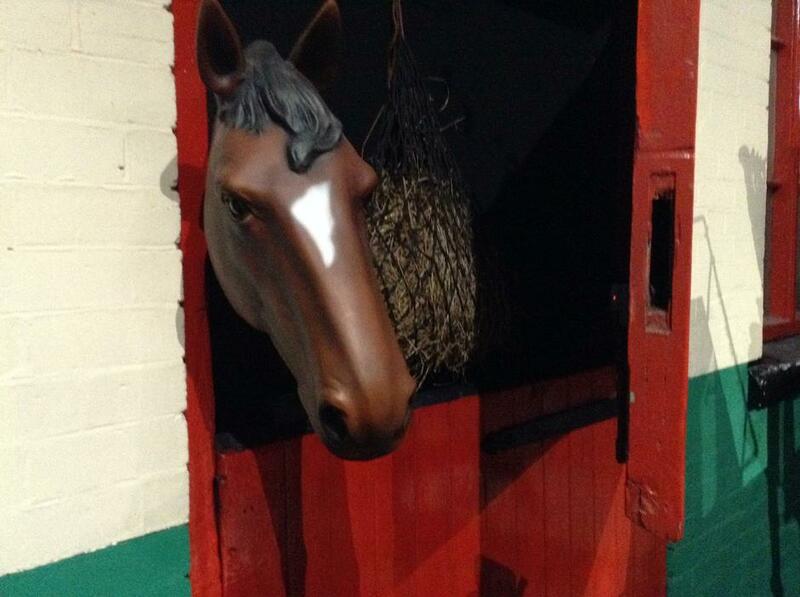 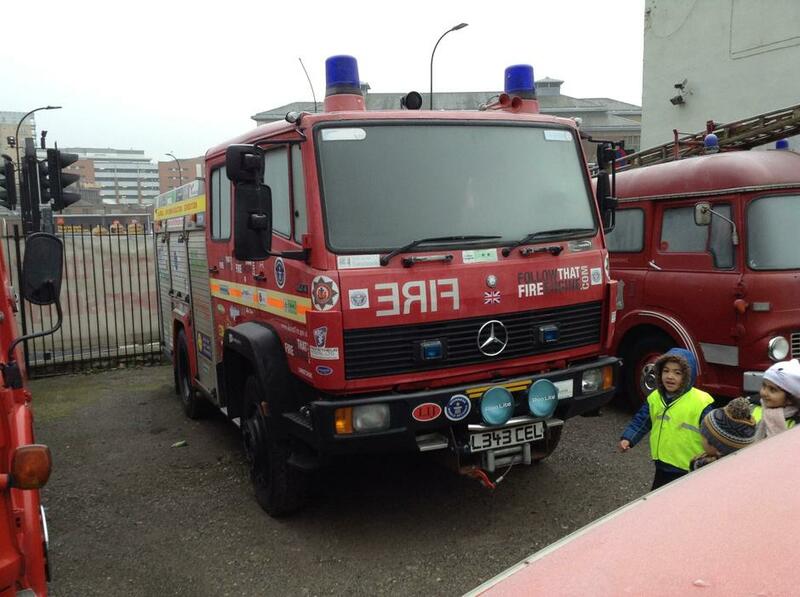 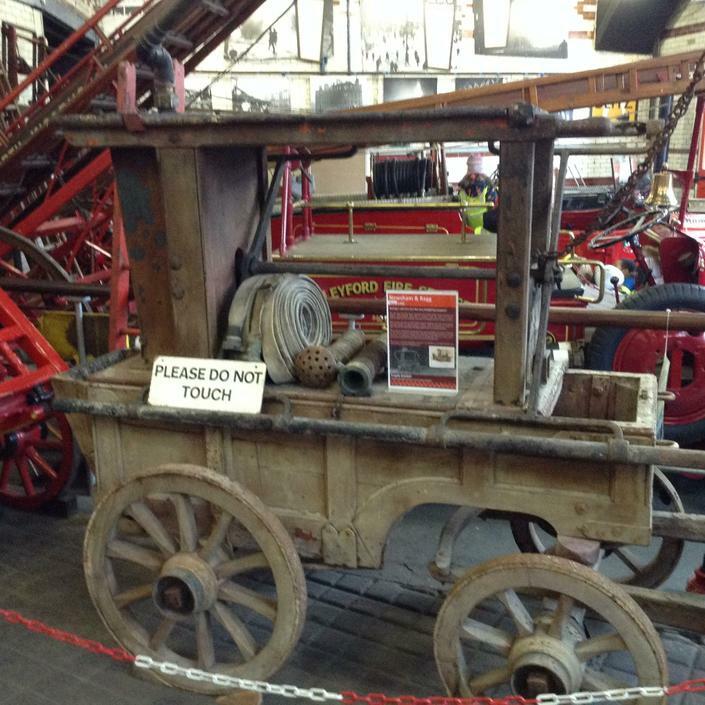 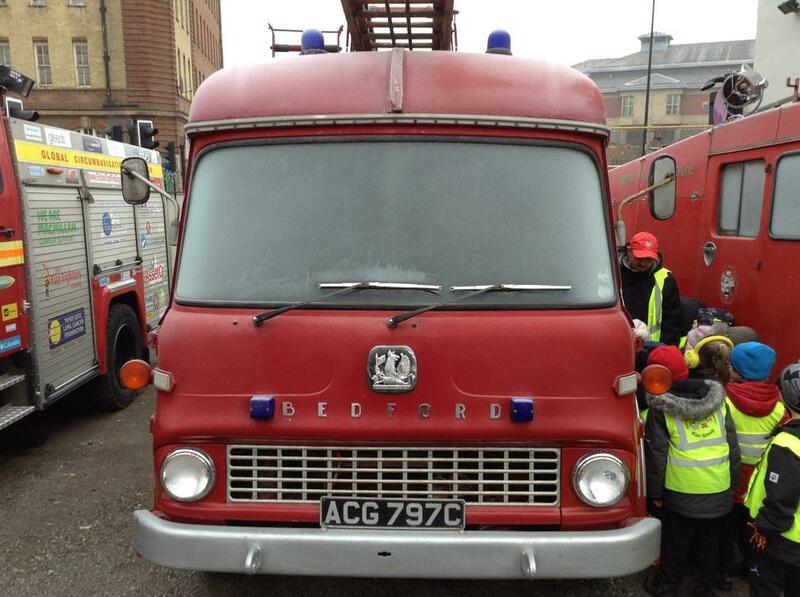 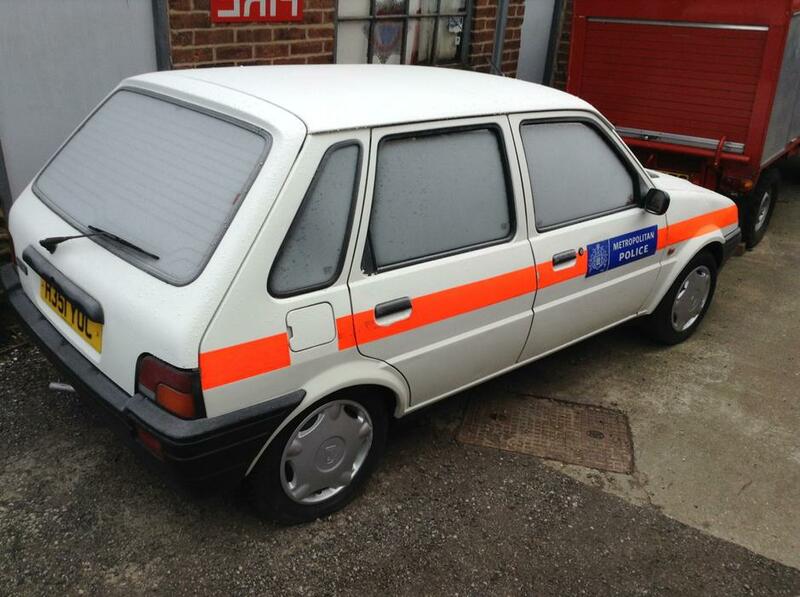 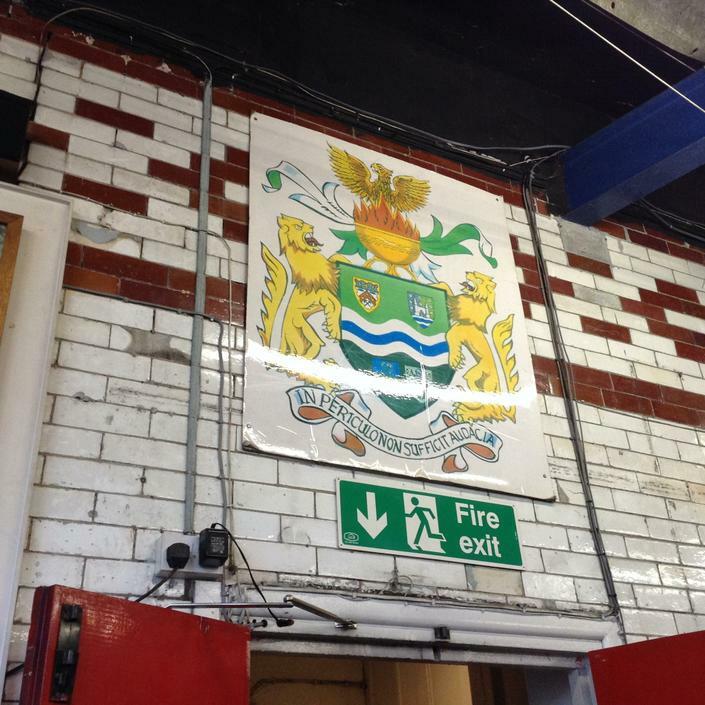 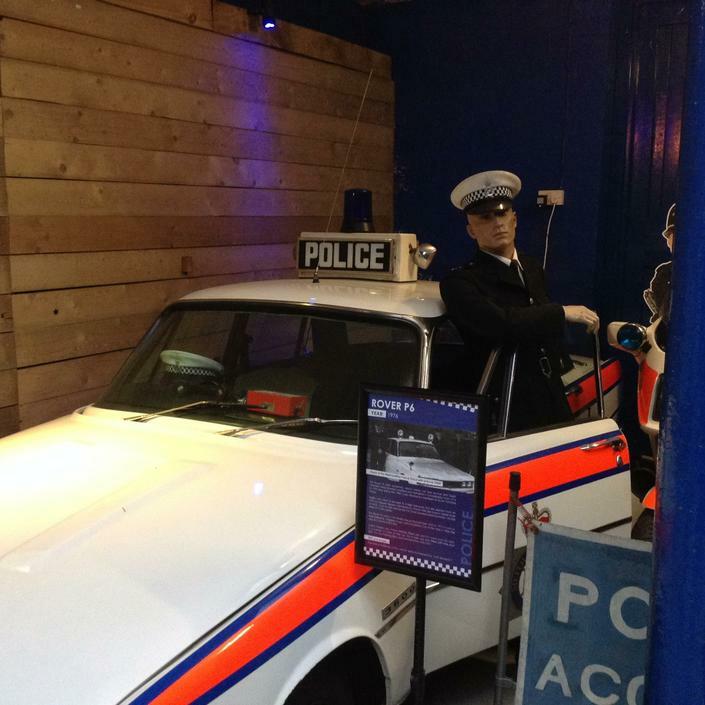 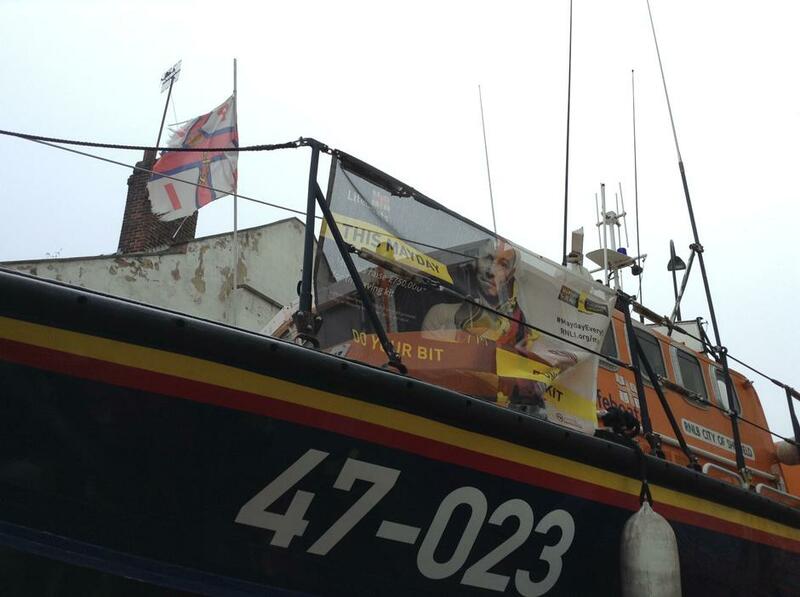 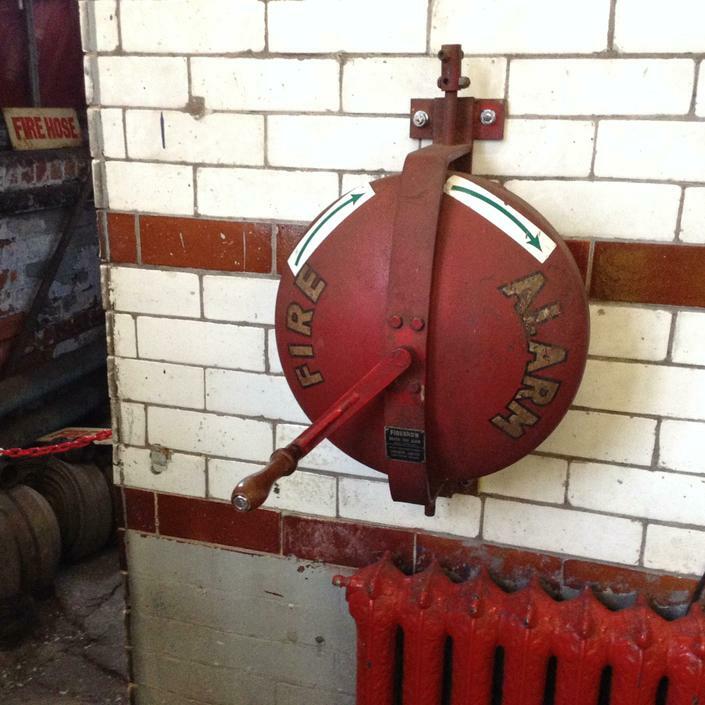 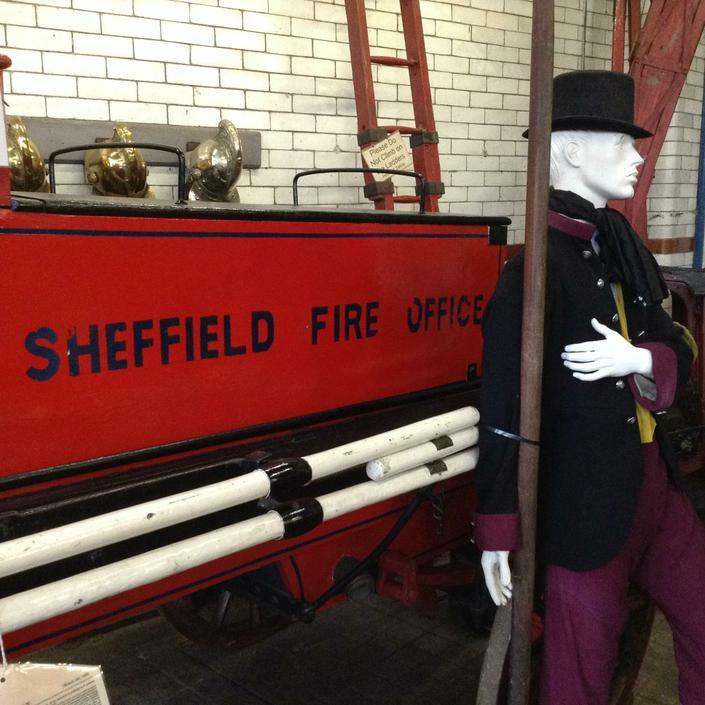 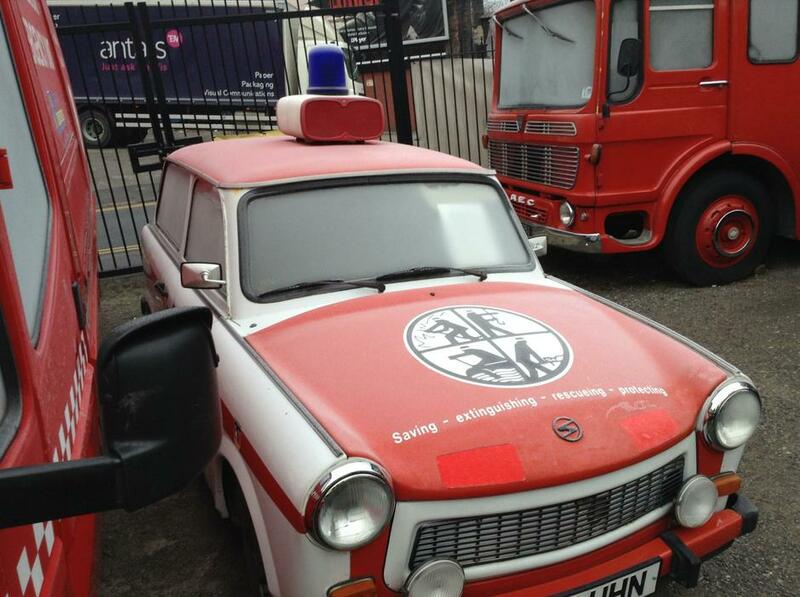 Have a fantastic weekend, and see you all on Monday for another exciting week which includes our trip to the Emergency Services Museum, on Thursday, how exciting! 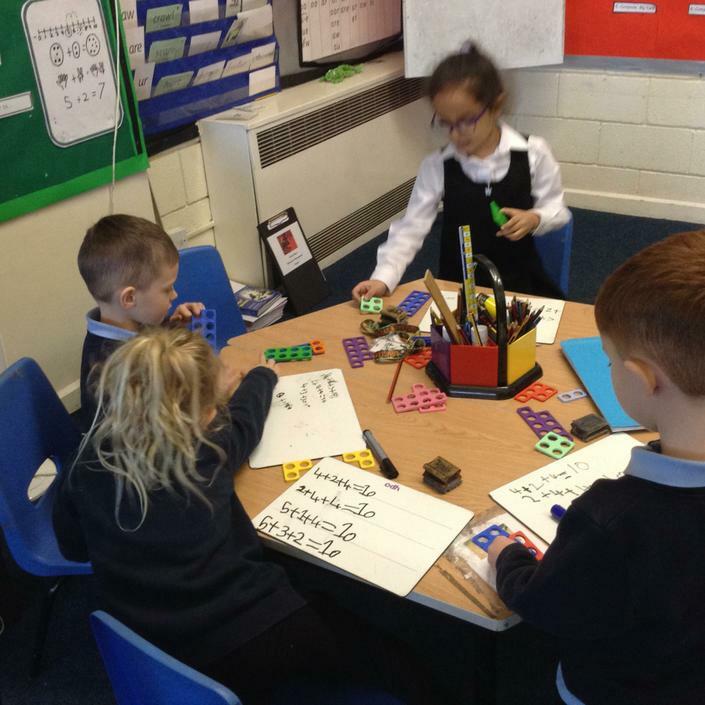 In maths this week, we have being learning about how to make 10 with three different numbers. 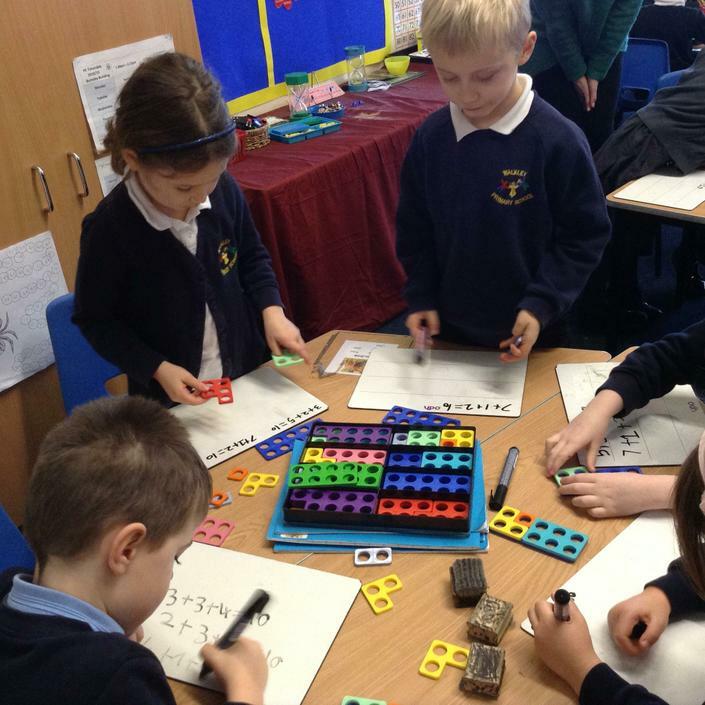 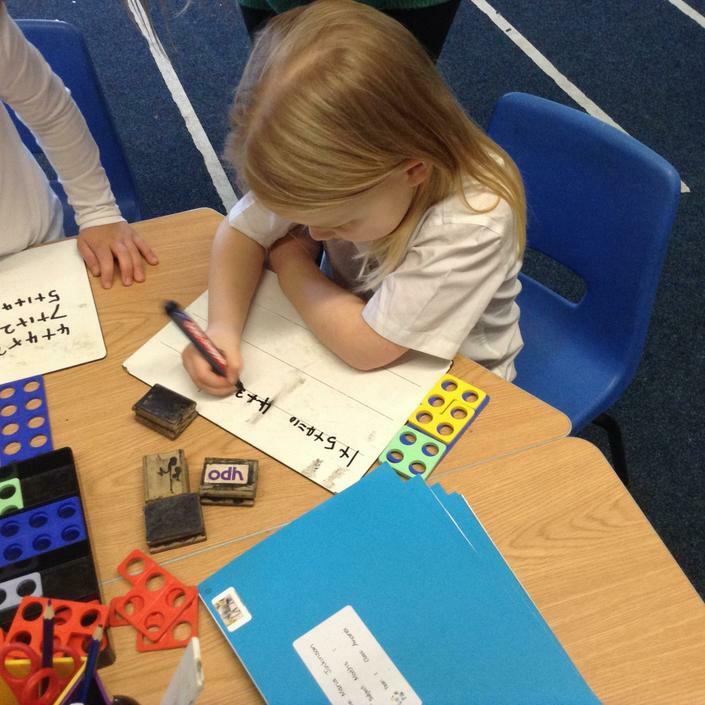 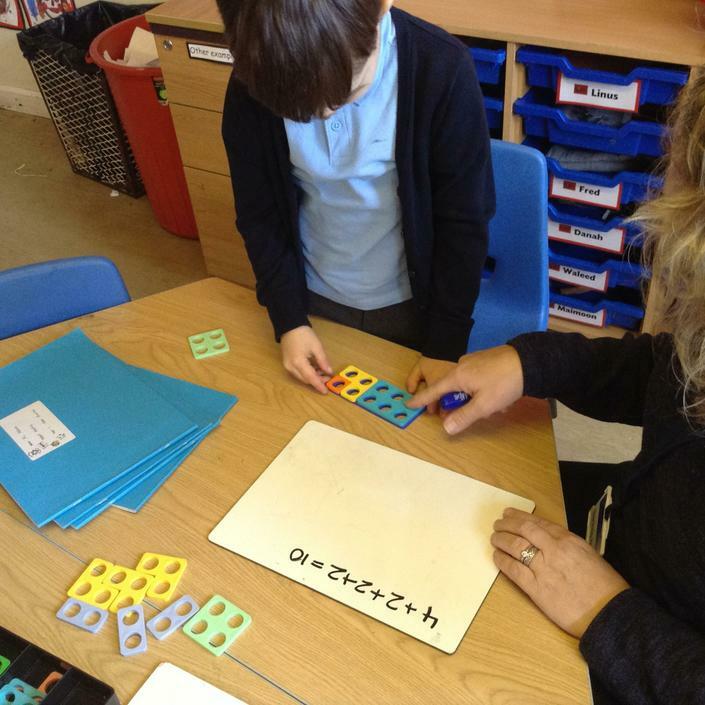 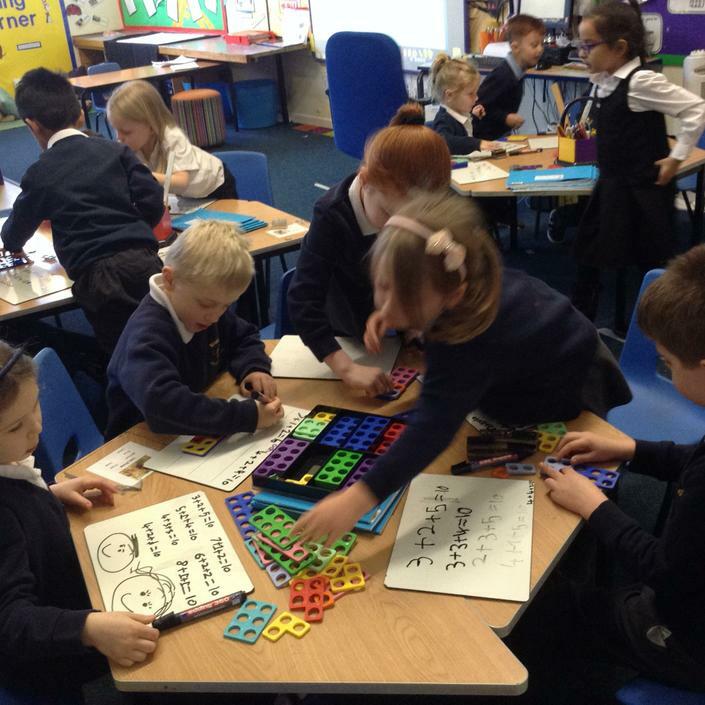 The children used Numicon to help them with their learning. 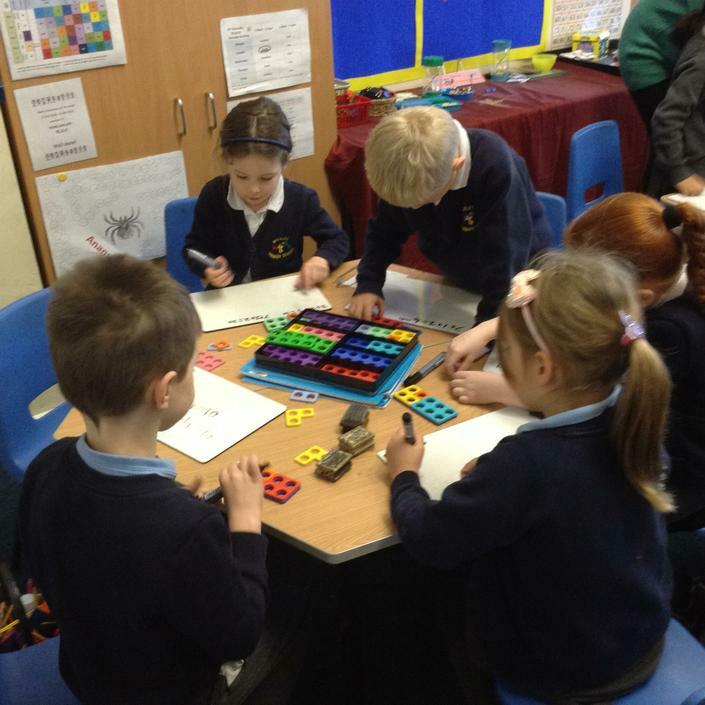 Later in the week, we conducted an investigation to see how many ways there were of making ten. 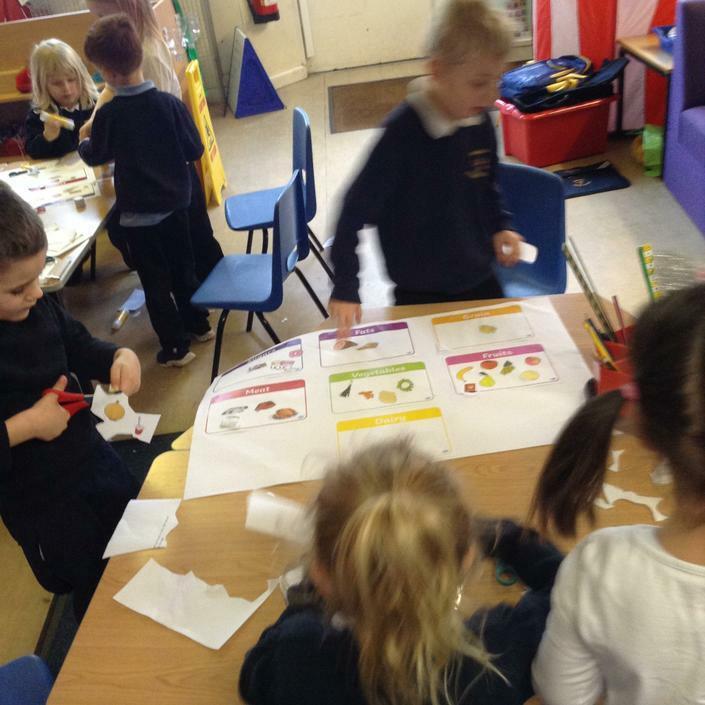 In science this week we have being learning about food groups and how to eat healthily and have a balanced diet. 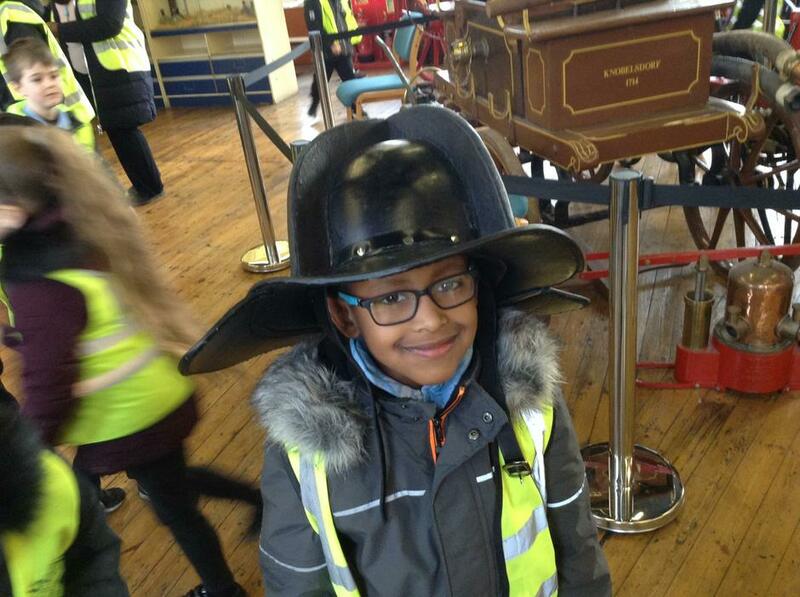 In our theme we have being getting ready to write our newspaper report on The Great Fire of London by writing our brainstorm. 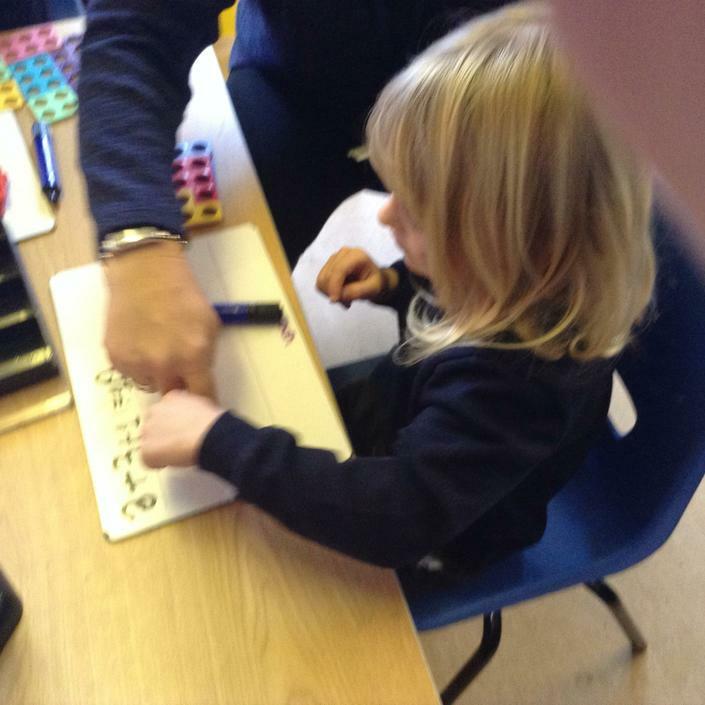 It has been so wonderful to see everyone back at school this week. 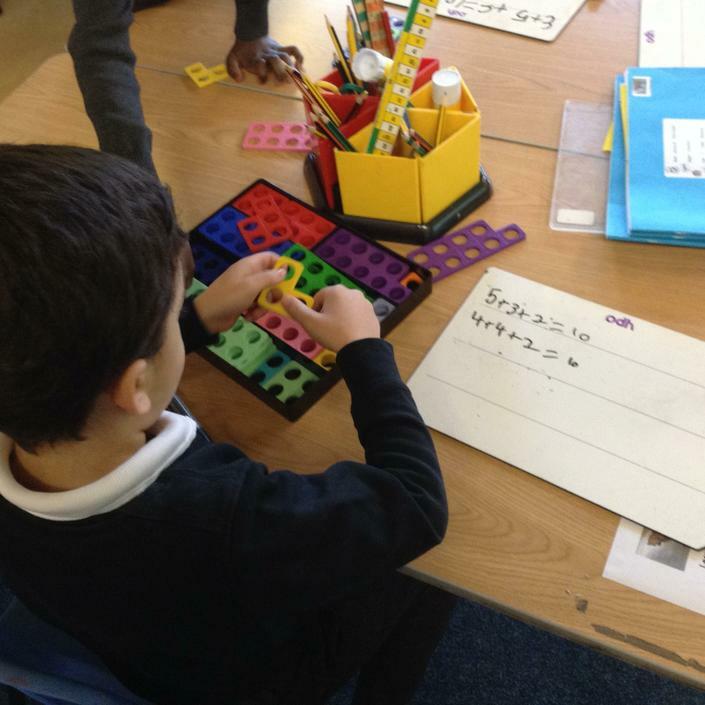 This week we have being looking at place value. 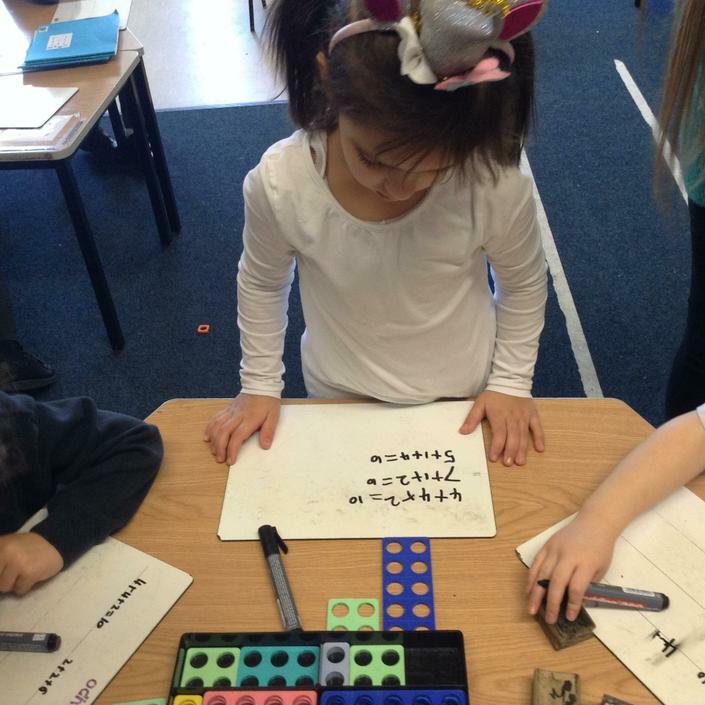 We have being working on finding one more and one less. 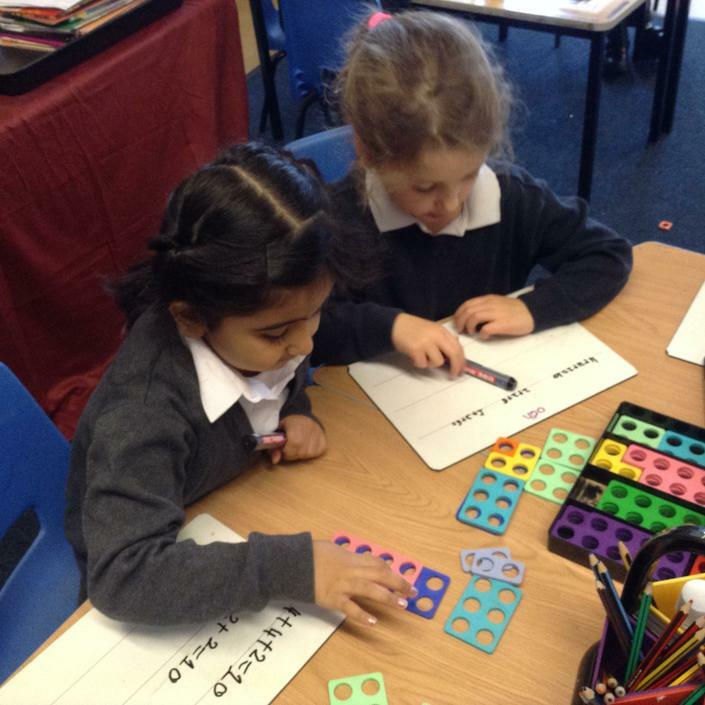 Also, we have being counting in 10's and filling in missing numbers in number sequences. 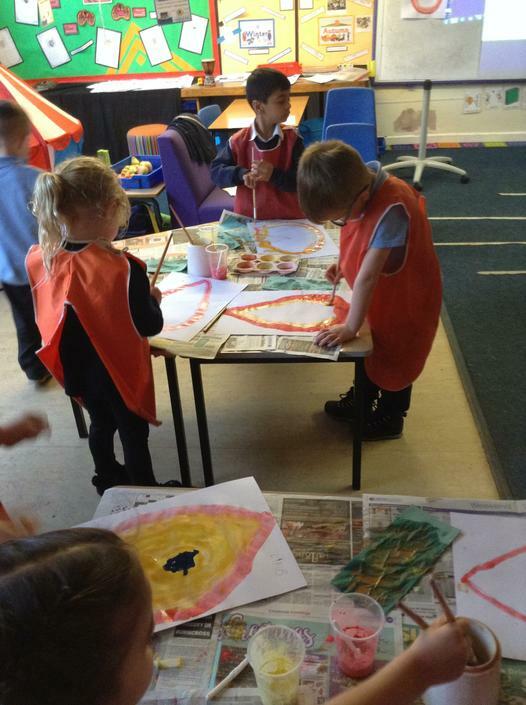 All the children did a fantastic job with this. 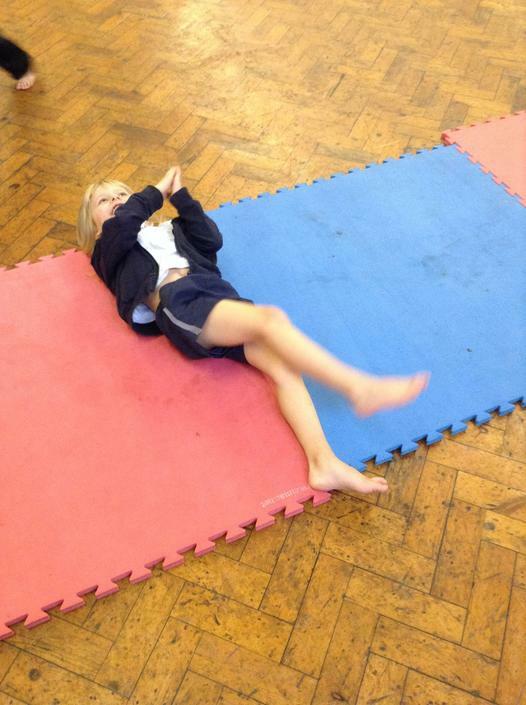 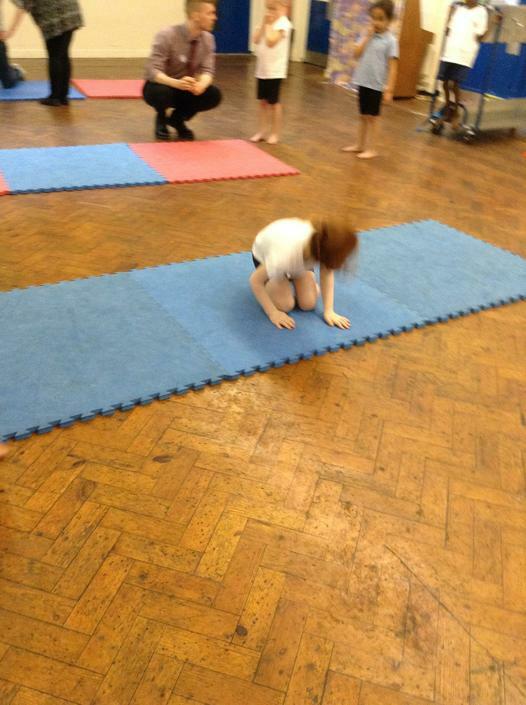 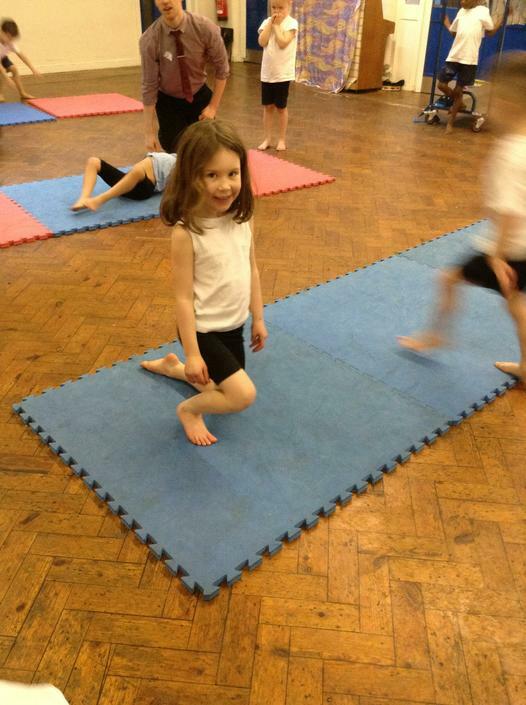 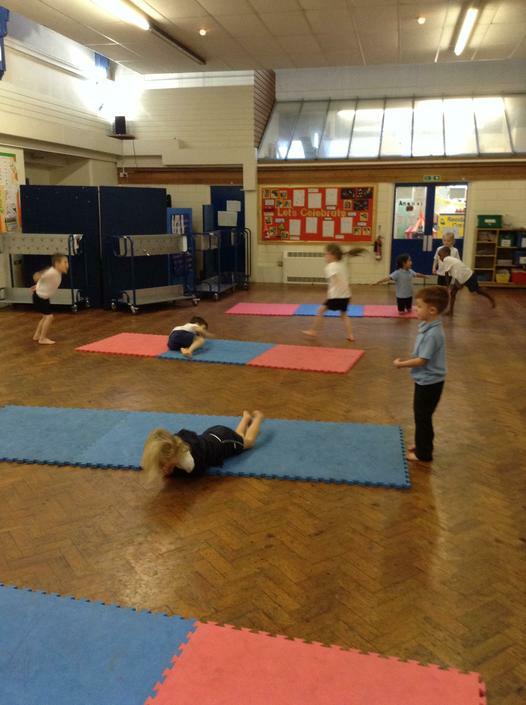 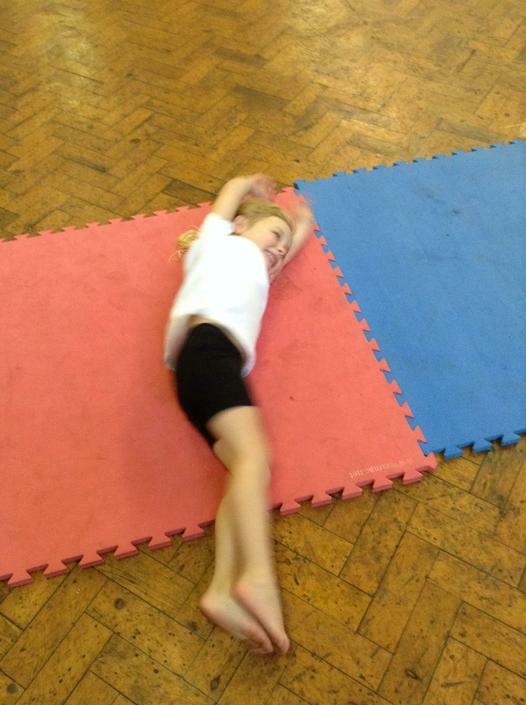 In P.E we have started gymnastics. 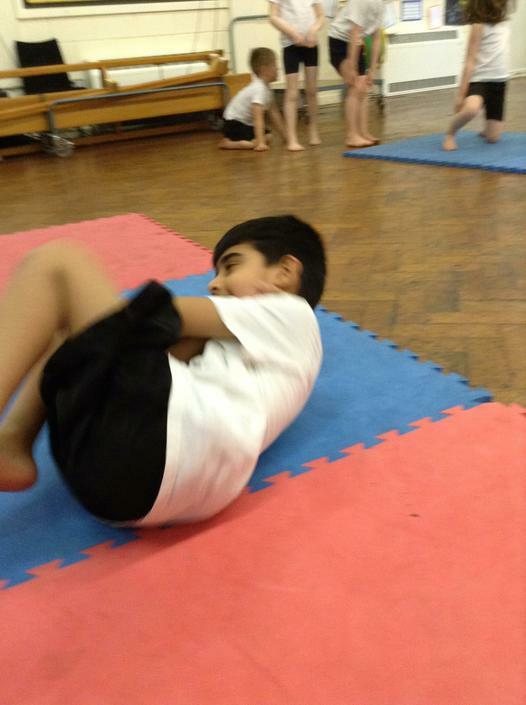 We have being practicing different types of rolls and how to do them safely. 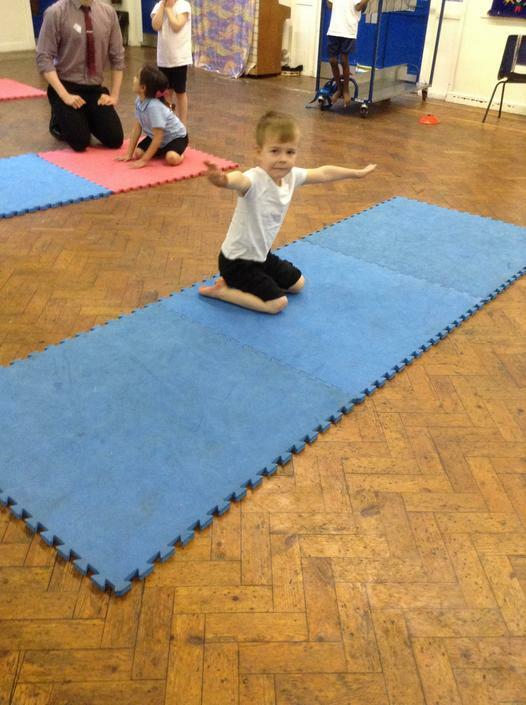 The children really enjoyed this and in Anansi class we have some amazing gymnasts. 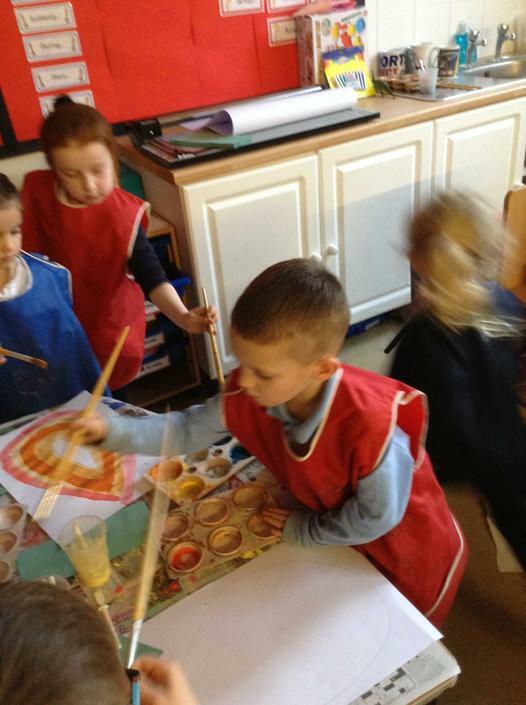 All the children have being doing excellent work in their RWI groups. 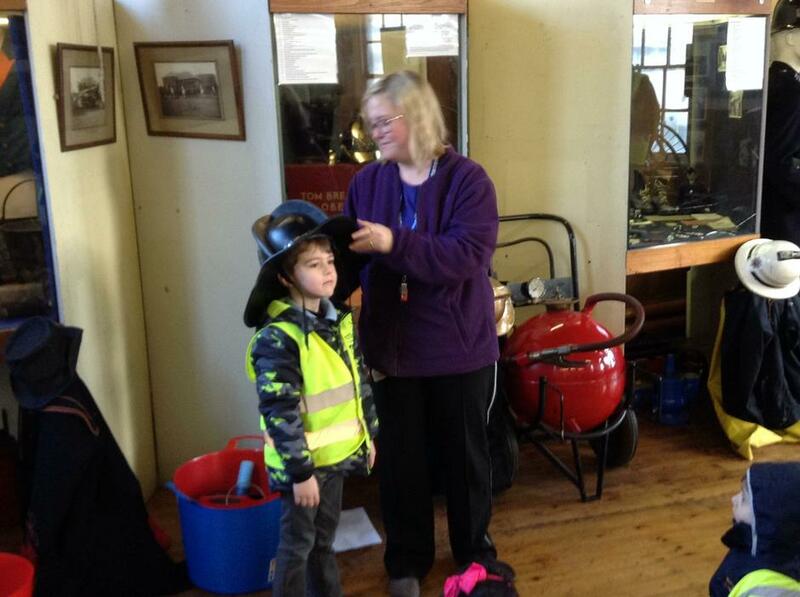 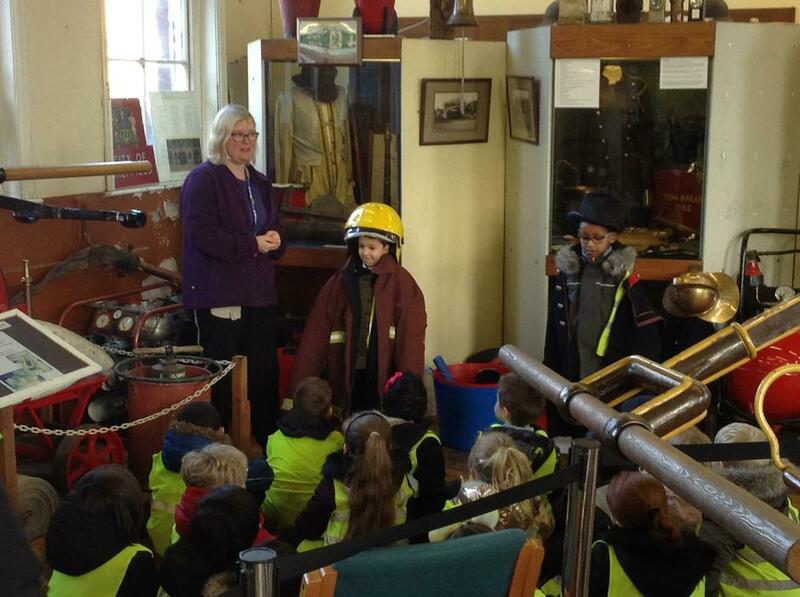 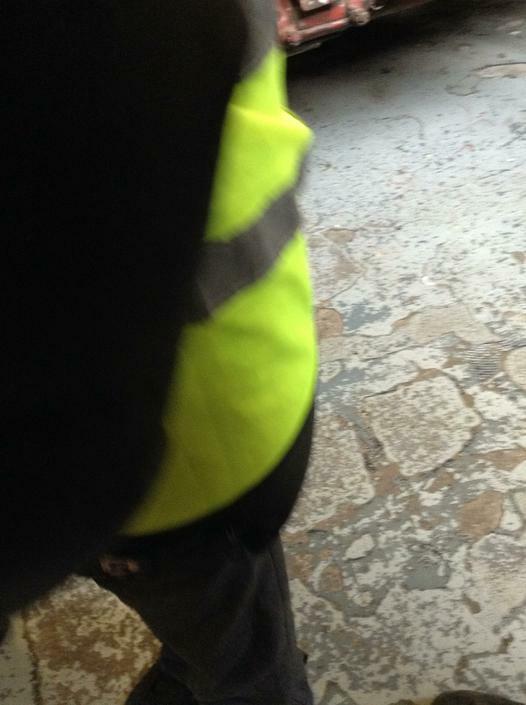 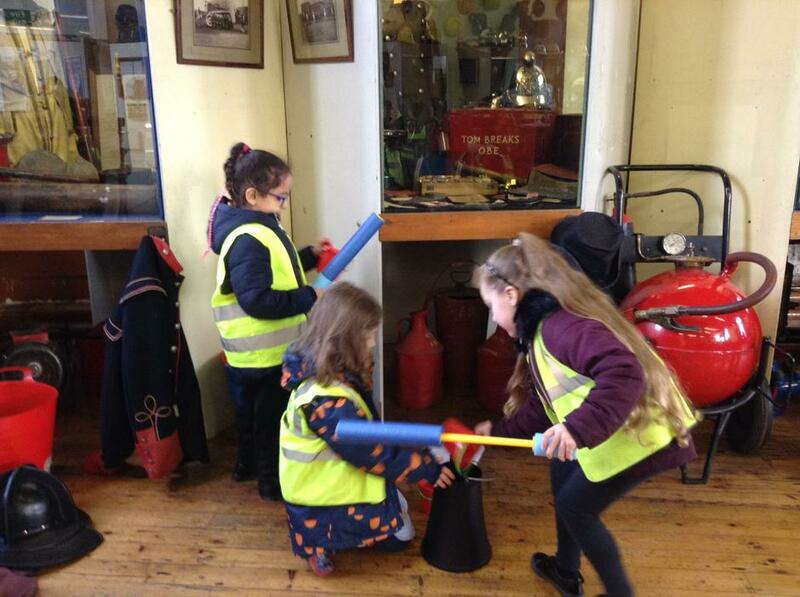 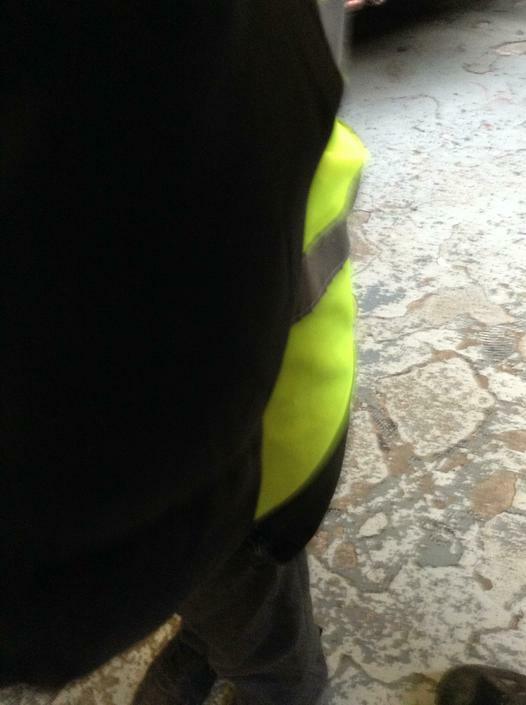 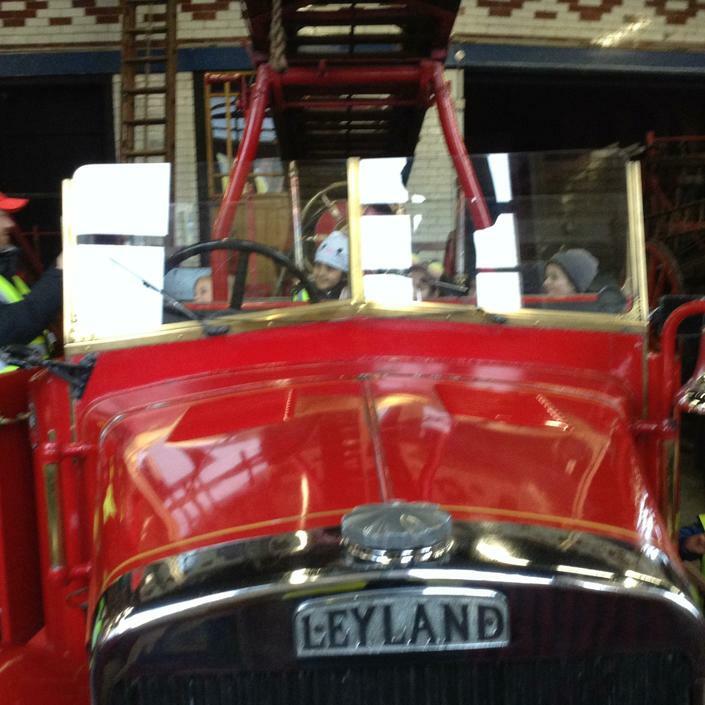 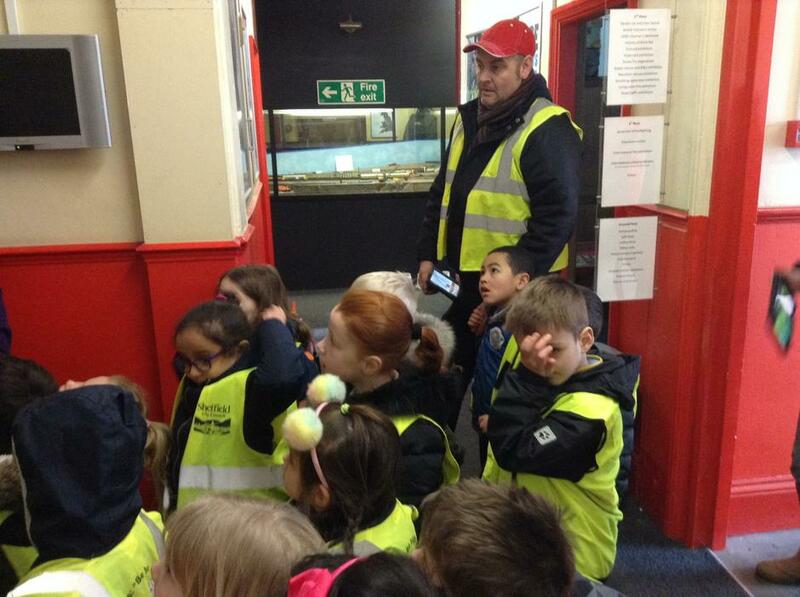 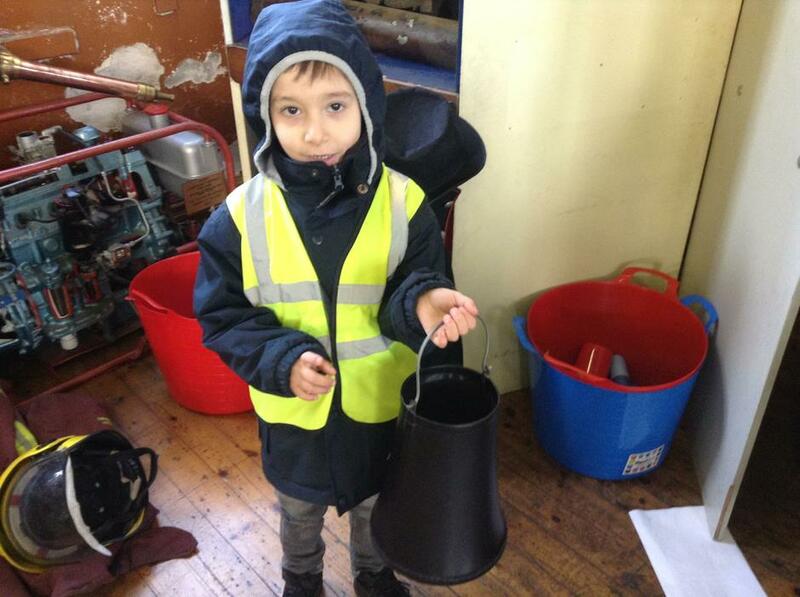 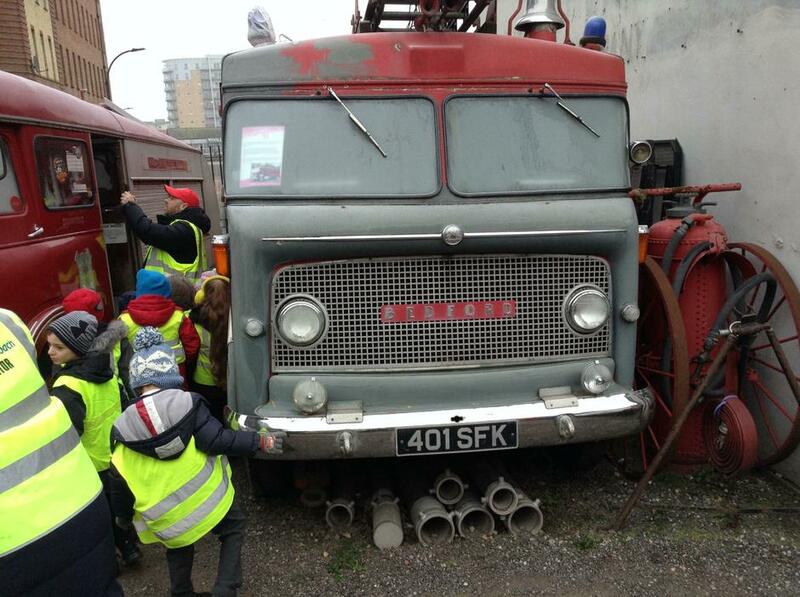 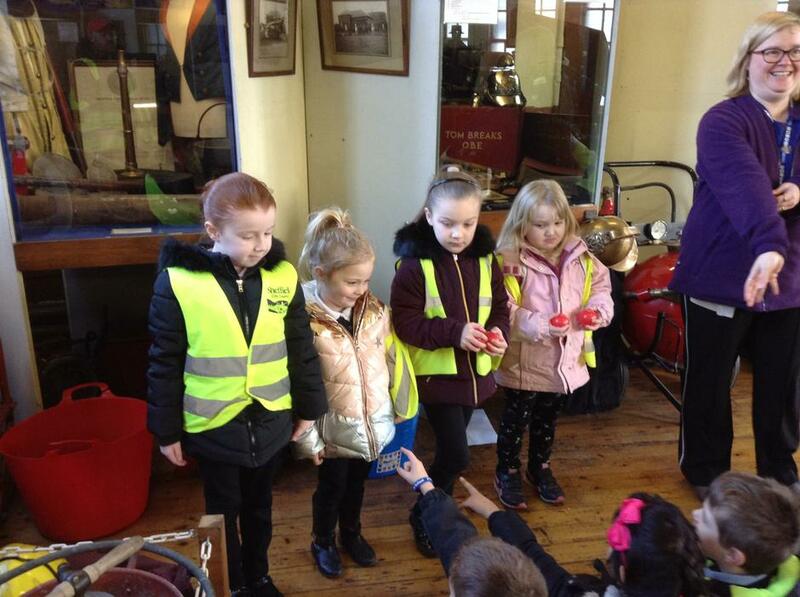 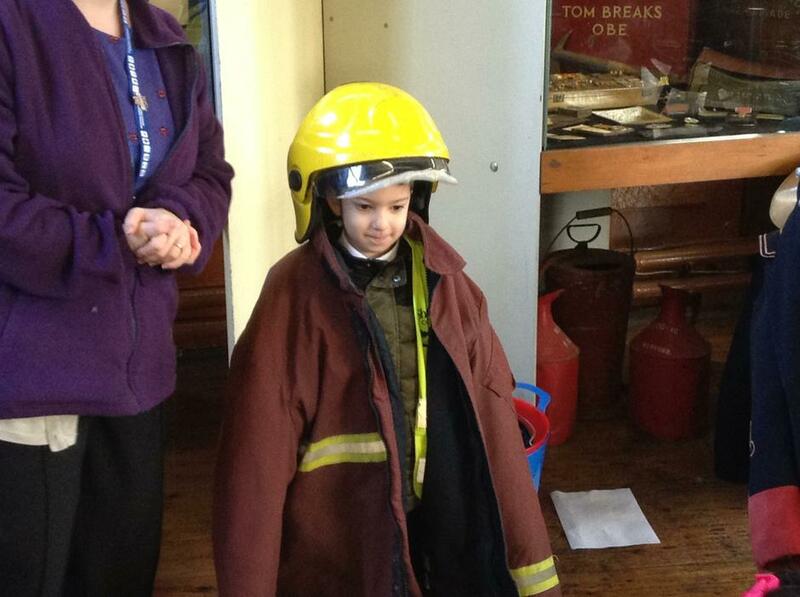 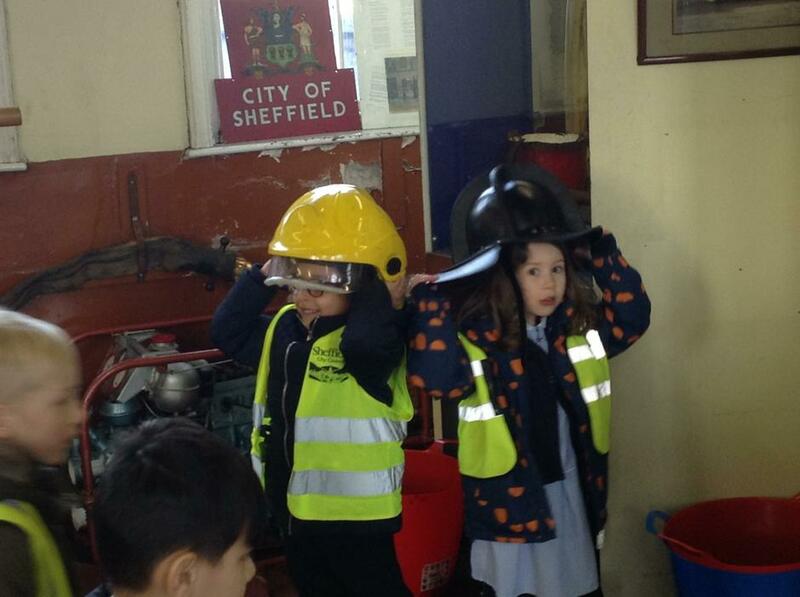 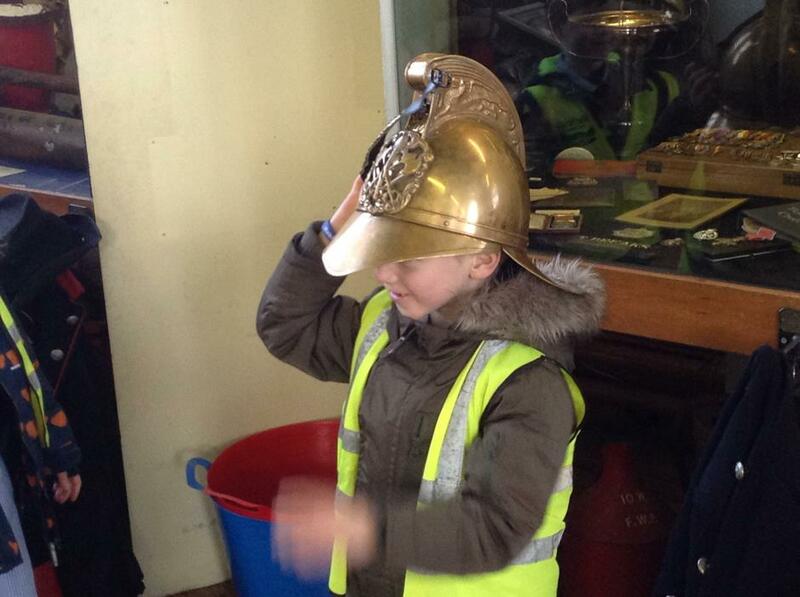 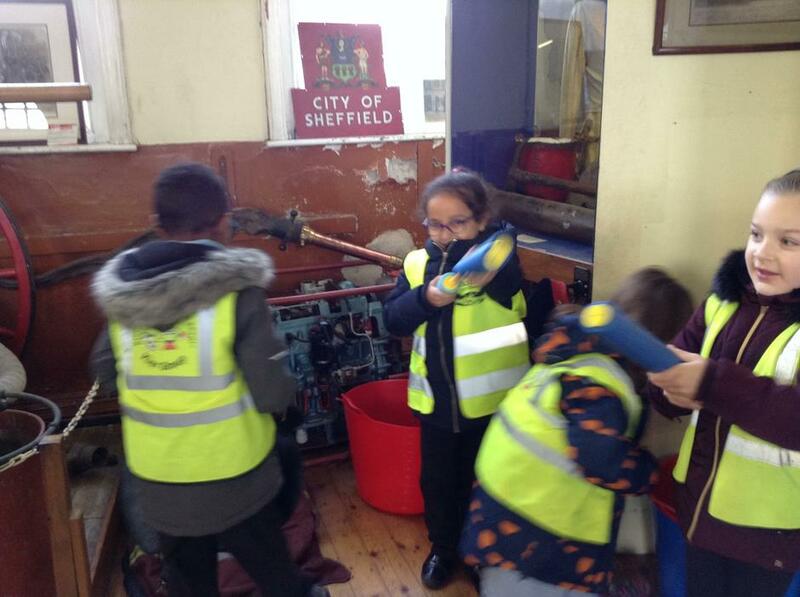 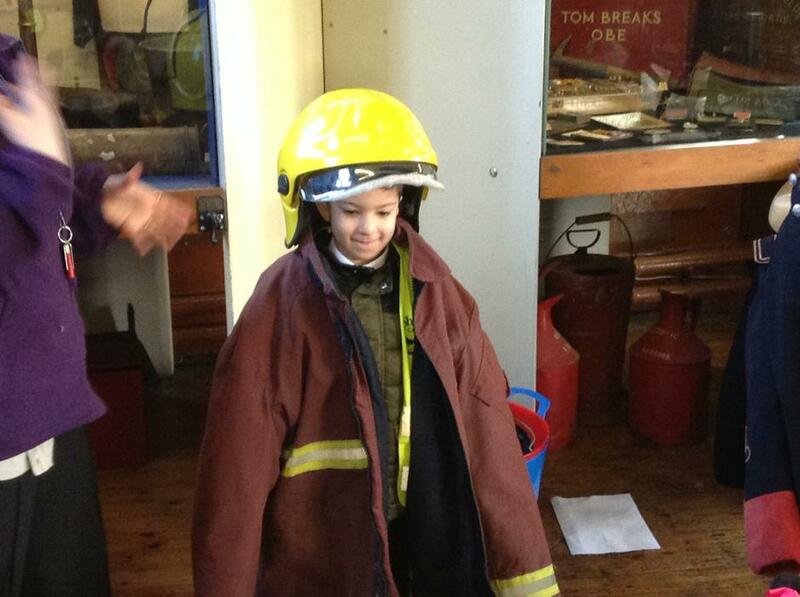 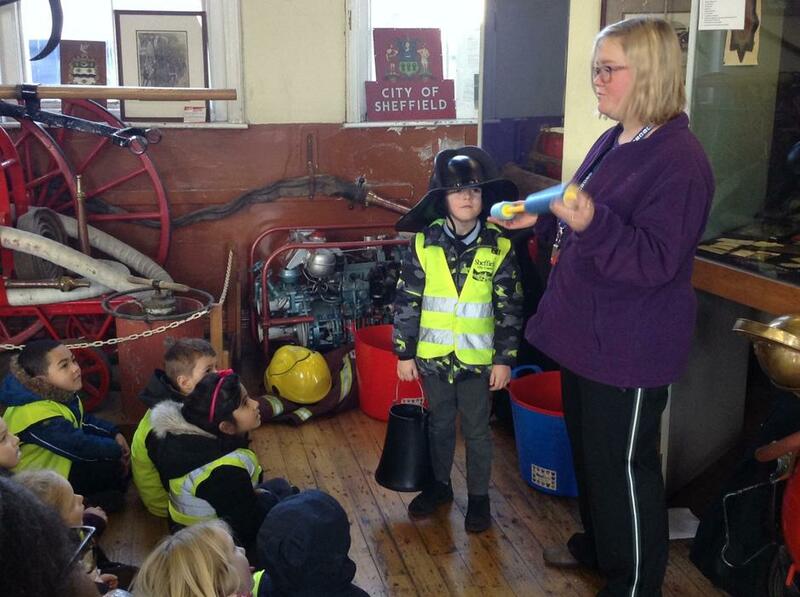 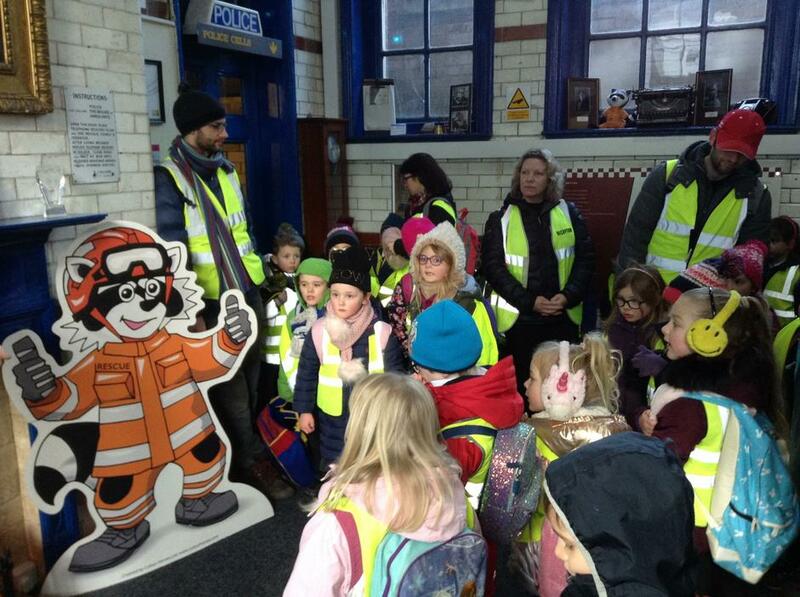 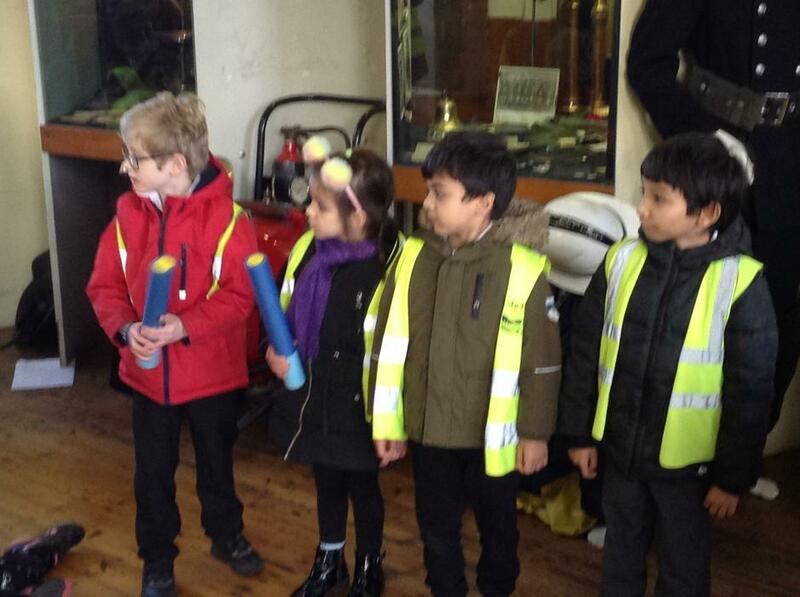 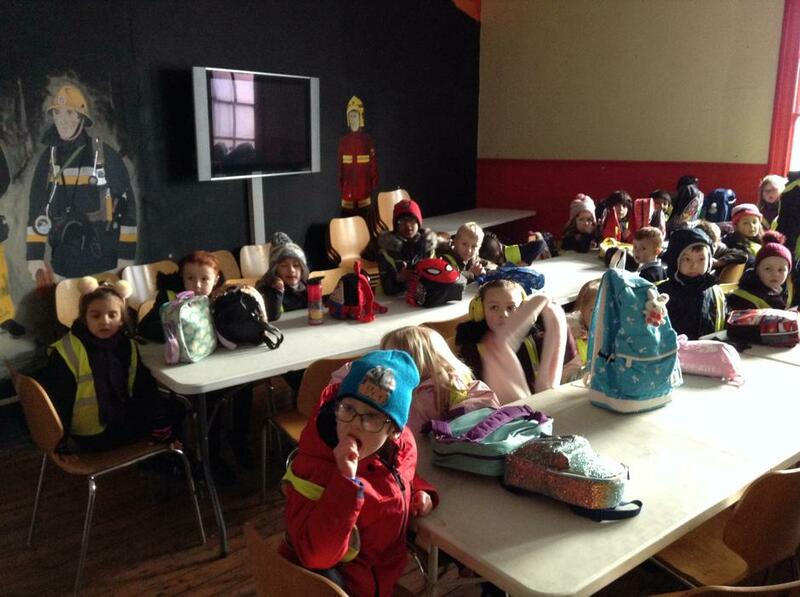 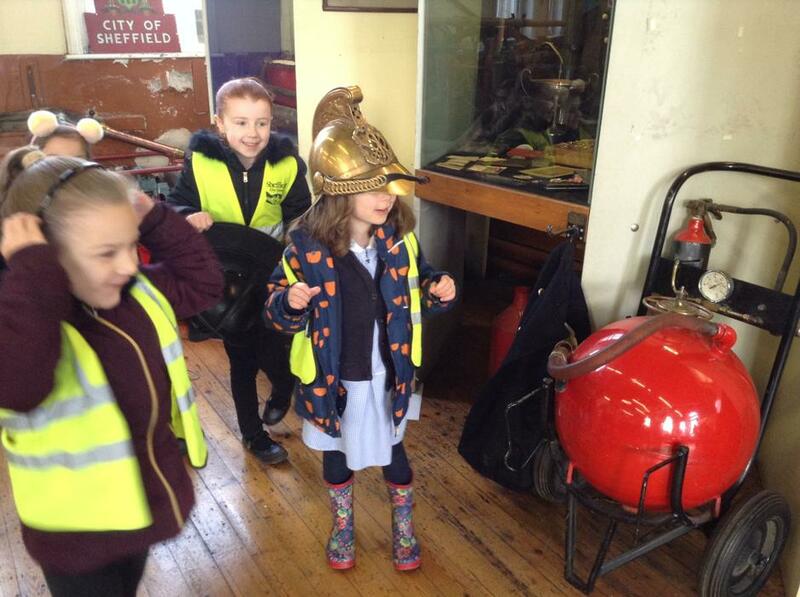 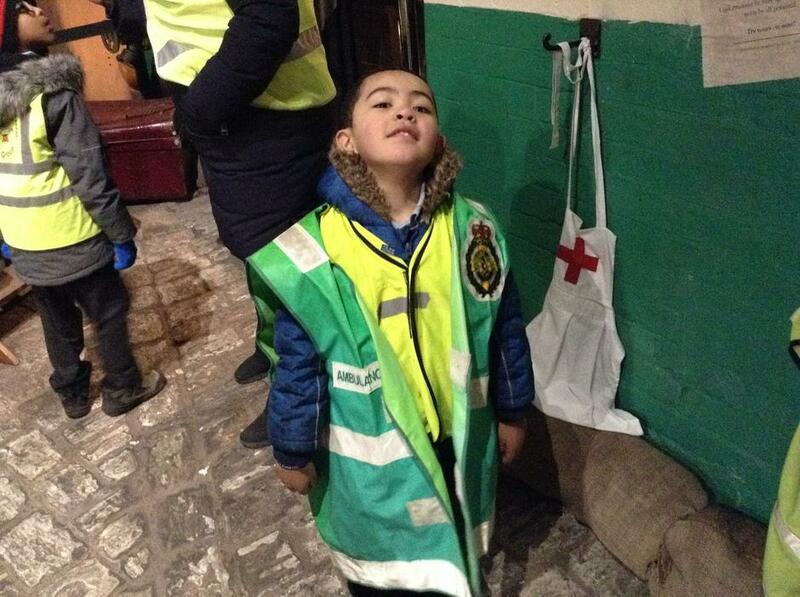 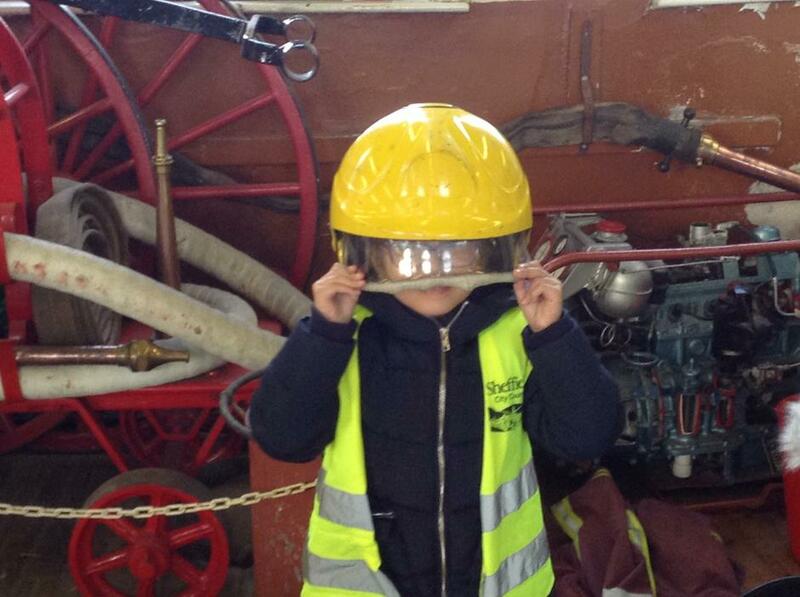 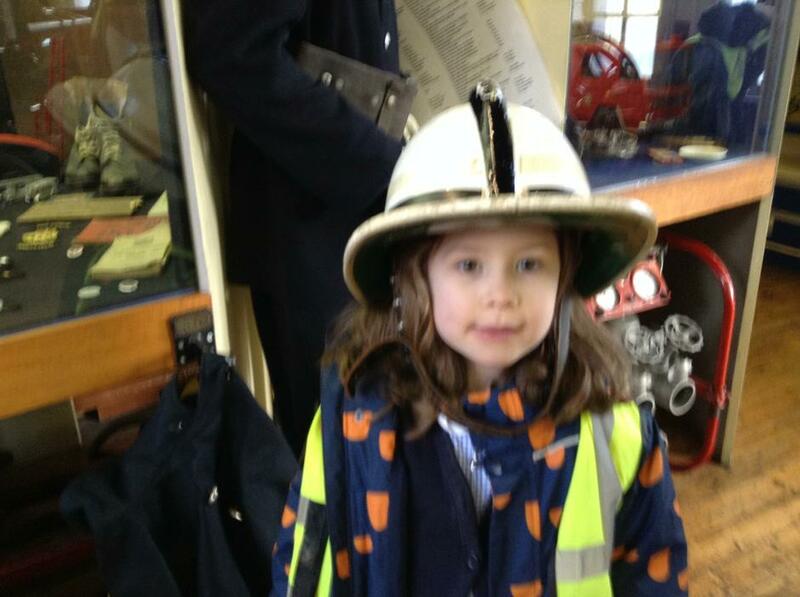 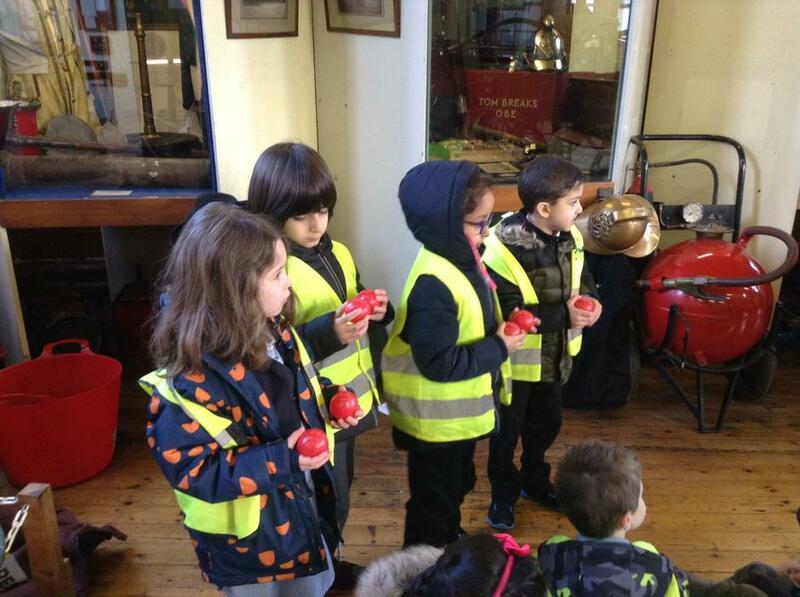 On Monday, the children all became fire wardens for the afternoon. 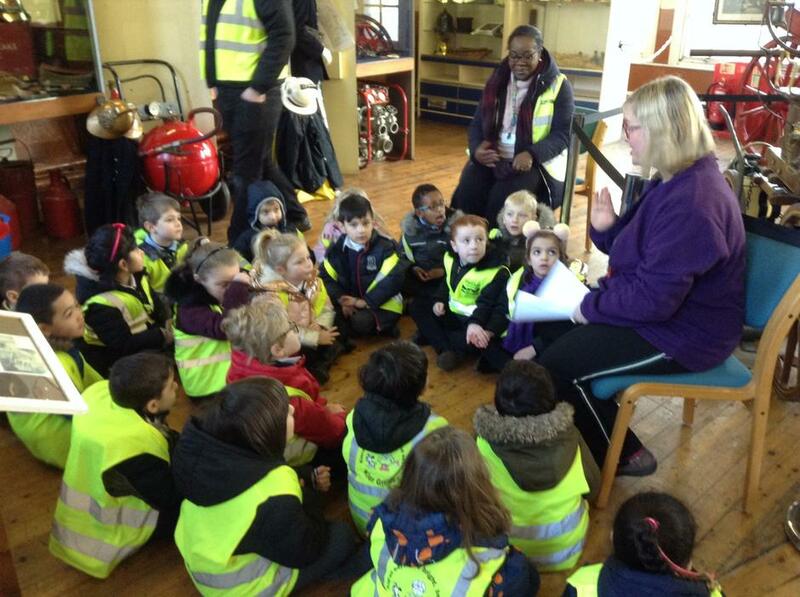 We all learnt about fire and the causes of it and what is needed for a fire to start. 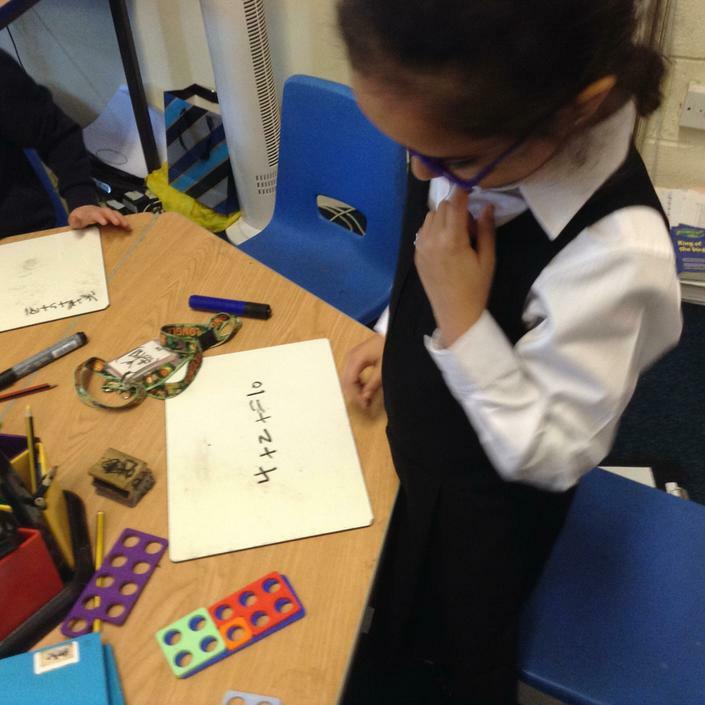 After this, we did some writing about what we had learnt.